So, what’s for dinner??? How do you decide? Me, I check out my fresh ingredients. 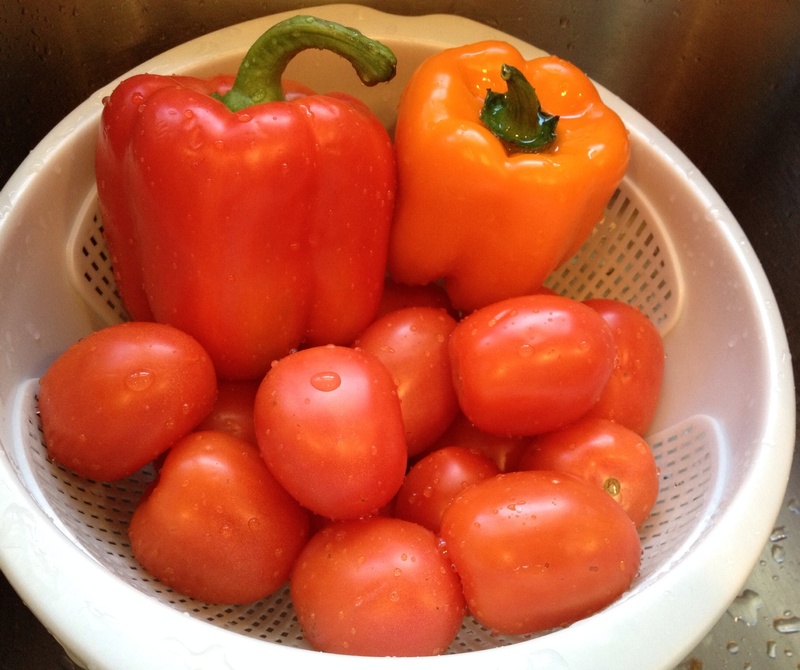 I’ve got Roma Tomatoes, Red Bell Pepper & Orange Bell Pepper, Onions, Garlic….looks like its time for SOUP!!! Just perfect on a 20 degree day! 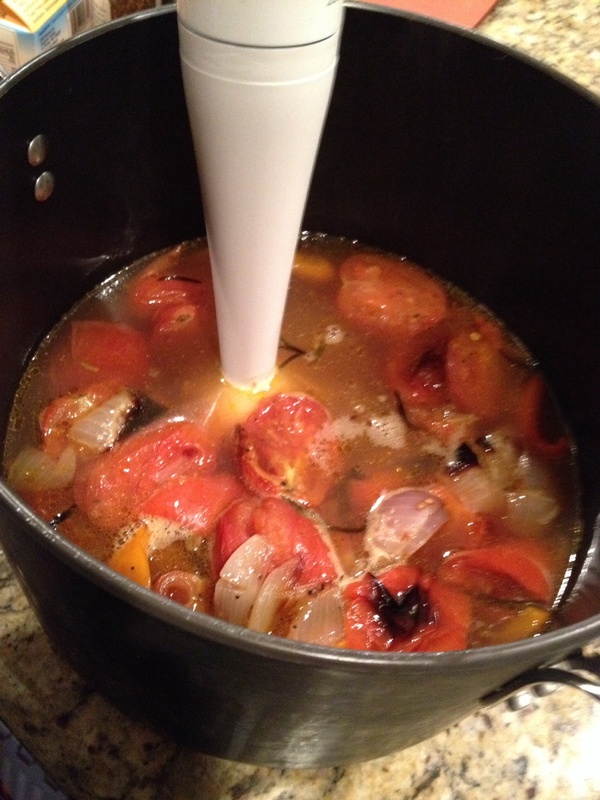 I know I always have stock around….simply in the pantry, or homemade and in the freezer. 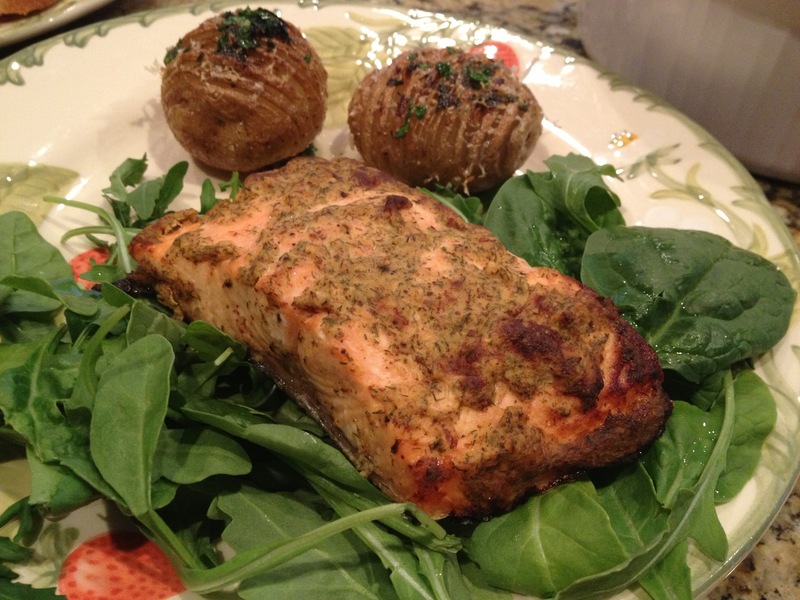 And, of course, plenty of herbs and spices for a guilt-free flavor booster!!! 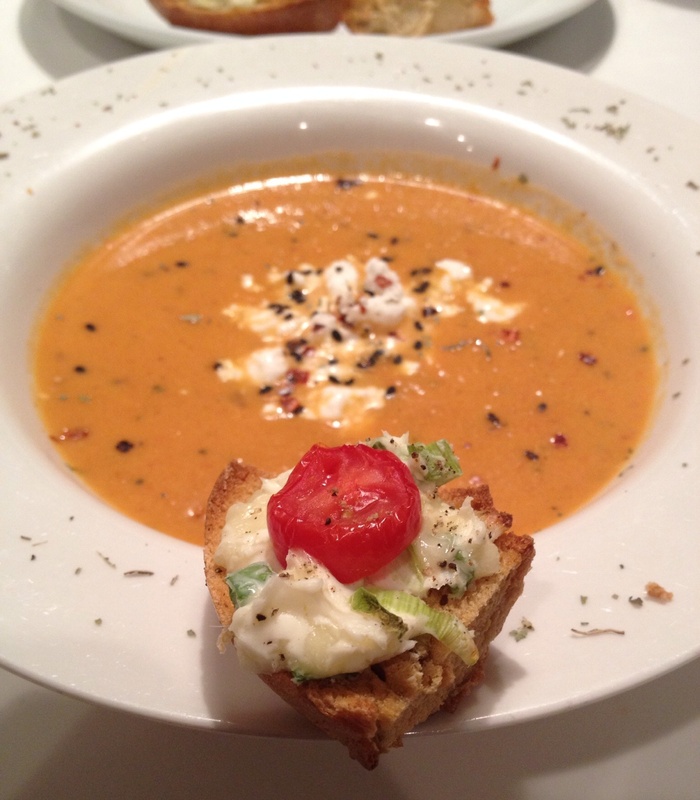 So, let’s make a Skinny Tomato Bisque…but let me karify it! 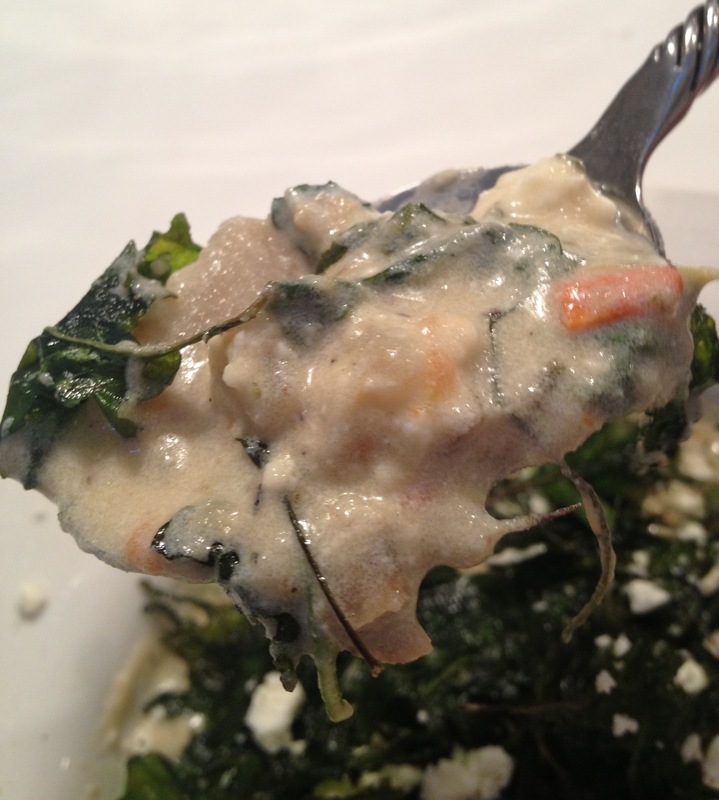 Creamy Healthy Goodness Full of Vitamins and Flavor! Slice Veggies and Drizzle EVOO of choice over. Season. Toss to Coat. 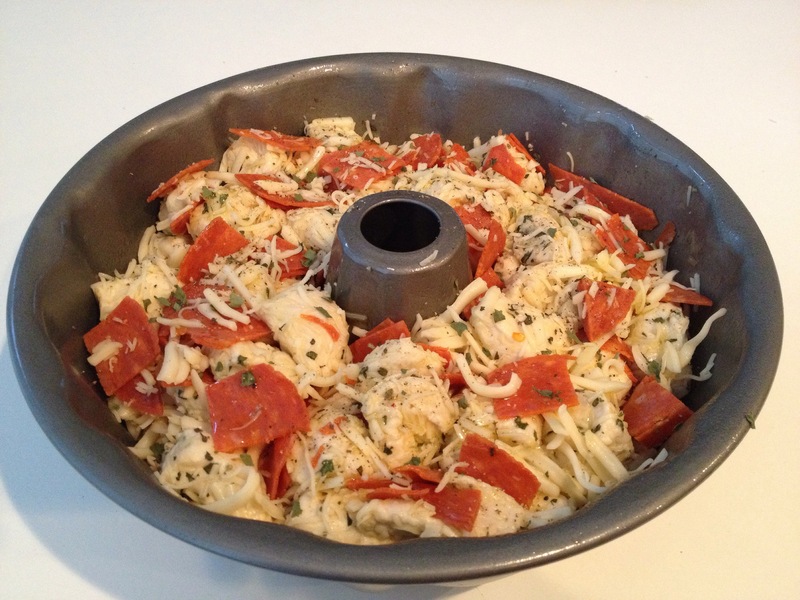 Pop in the Oven. Roast. 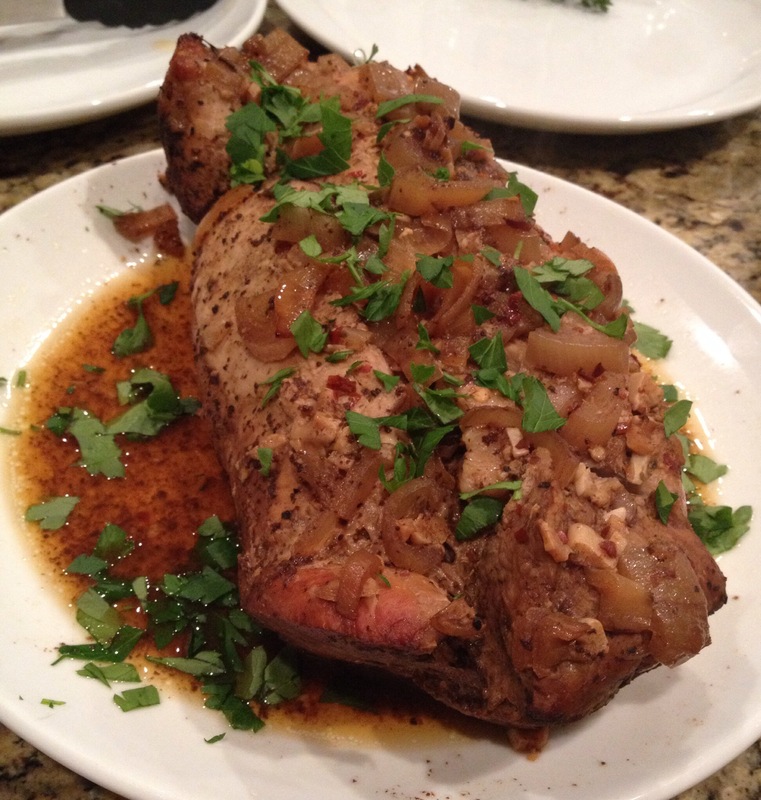 TIP: Roasting brings out the natural sweetness and intensifies flavor. Try it on many veggies and even fruit! TIP: Don’t leave ANY of the delightful dripping behind!!! Pour all the Roasted Veggies and juice into a large pot. TIP: Handheld Immersion Blenders ROCK! Add Spices. Stir. Cook 15 Mins. 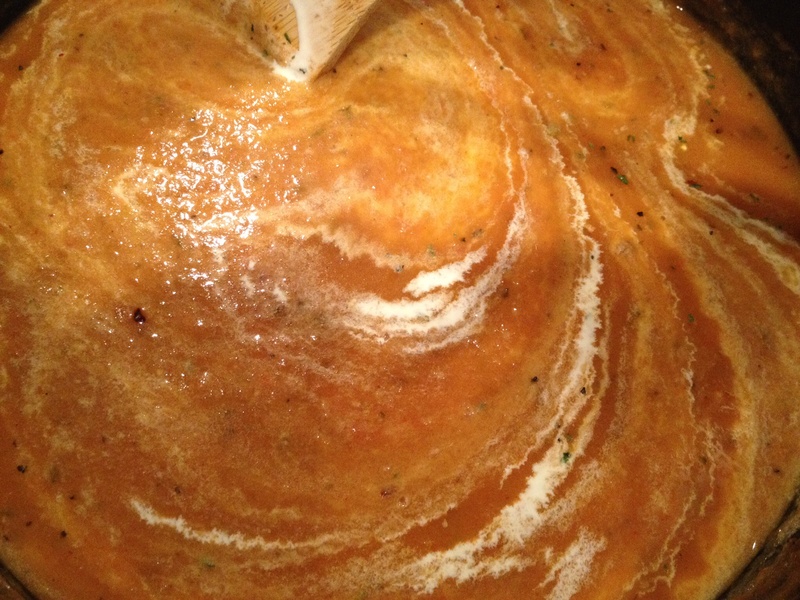 TIP: Pureeing the Onions gives the soup a natural creamy texture! 5 mins before Serving stir in Cream. I also made a twist on the basic grilled cheese sandwich and kicked it up with some fancy croutons! I used the leftover LowFat Cheddar Scallion Cream Cheese from my Skinny Jalapeño Poppers. 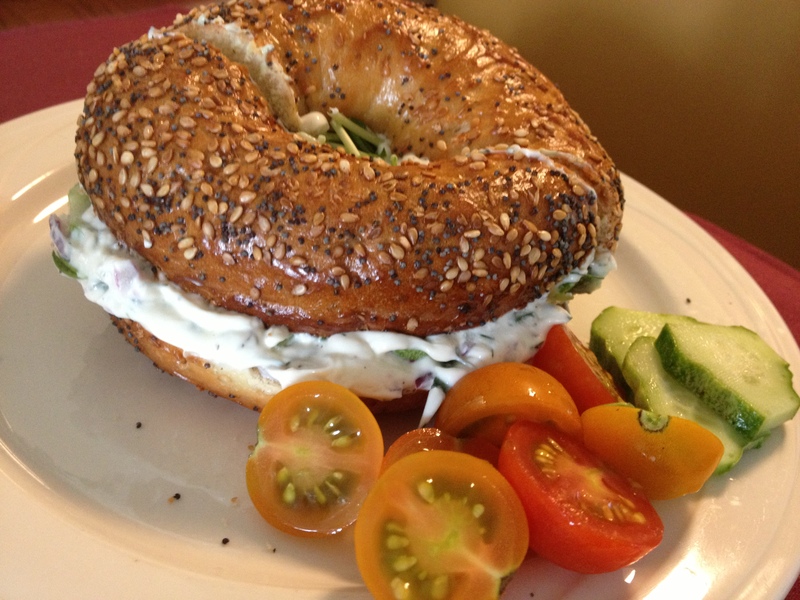 Rustically spread on Bagel pieces and topped with various tomatoes. Pop under the Broiler for a few minutes to melt. 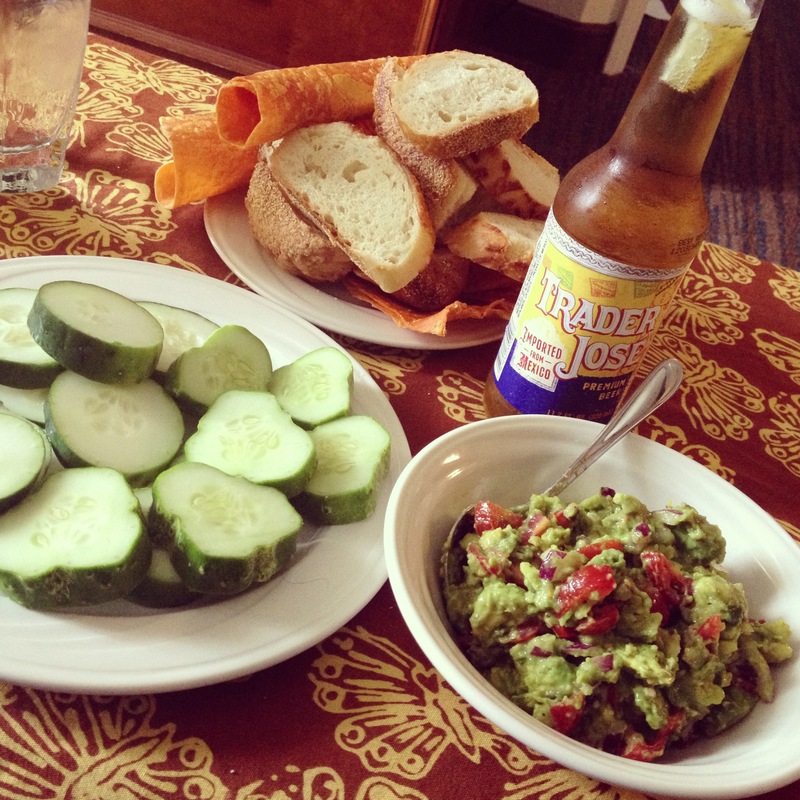 yummmmm….. 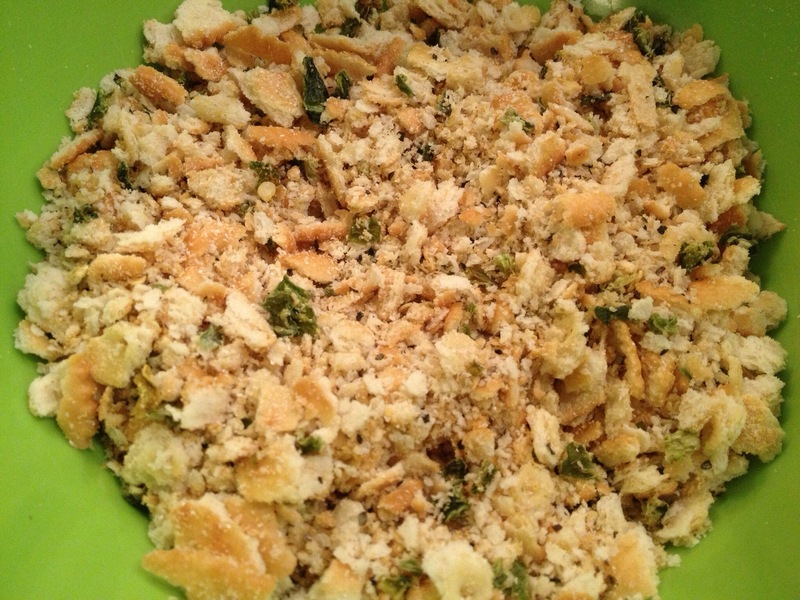 TIP: Don’t forget to season the croutons with SeaSalt and Fresh Ground Pepper before serving! They complement each other perfectly! 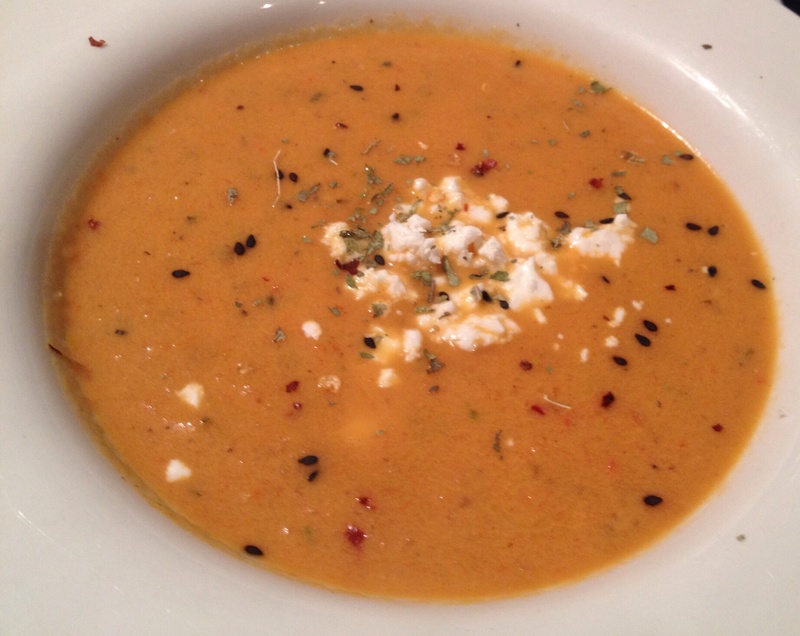 The Bisque is Perfectly Light and Delicious! 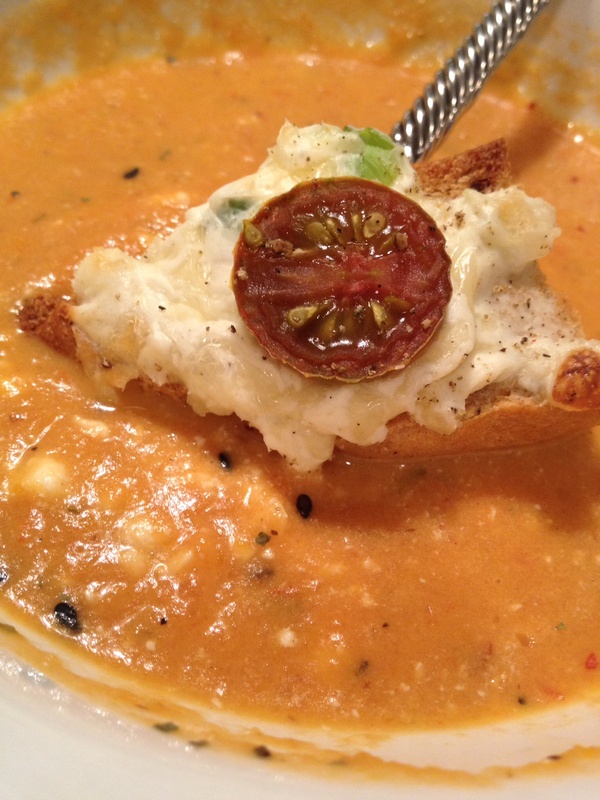 The Rustic Crouton is Simply Sensational! 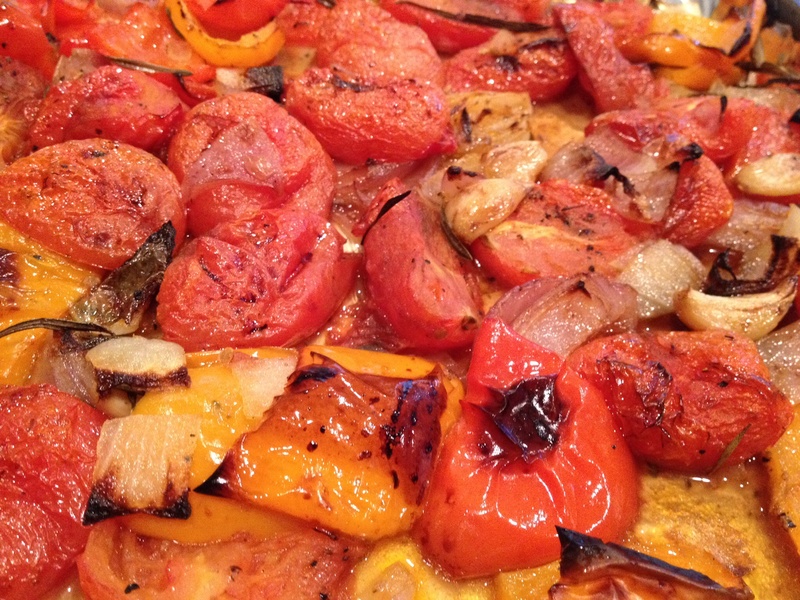 The Broiled Fresh Tomatoes are KILLER! *Preheat Oven 425. 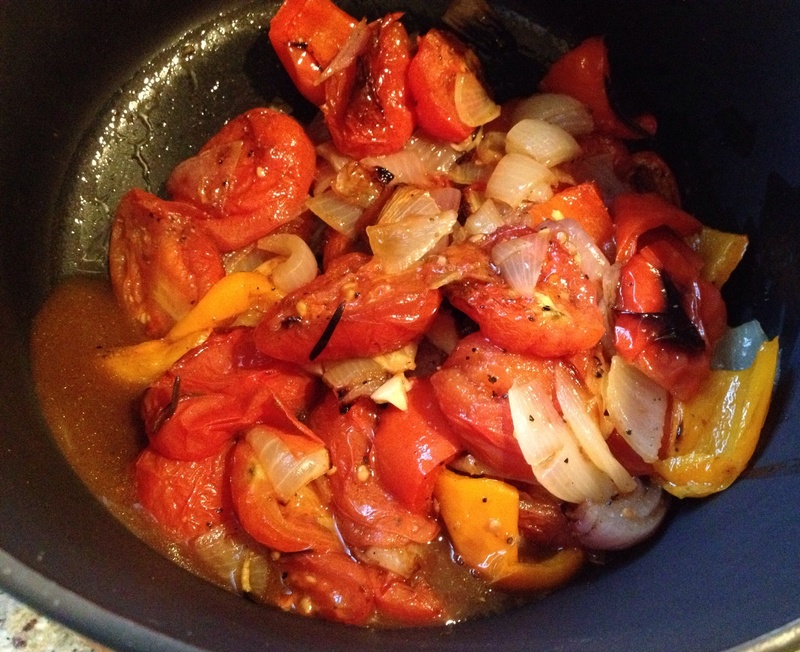 Slice Tomatoes in Half and Roughly Chop Peppers & Onions. Put in a large bowl. Add Fresh Garlic and Rosemary Sprigs. Drizzle Olive Oil, Sea Salt and Pepper. Toss to combine. Spread Out on Roasting Pan. Roast in Oven 40-50 mins, flipping veggies once. Roast until brown around the edges (A.K.A. until desired caramelization occurs). *Carefully Remove Roasted Veggies from Oven. Remove Rosemary Sprigs. Pour Veggies and Drippings into Large Pot. Turn StoveTop to Med. Add Stock. Puree using Handheld Immersion Blender (you can use a regular blender as well. Just be careful when putting hot liquids into a blender…be sure to put a towel over the top in case of explosion!!!) 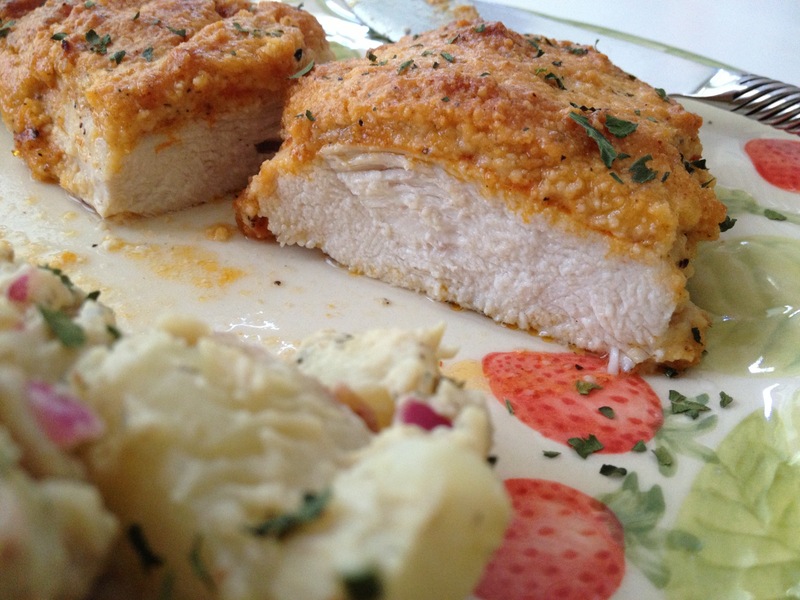 When nice and creamy, add spices and seasonings. 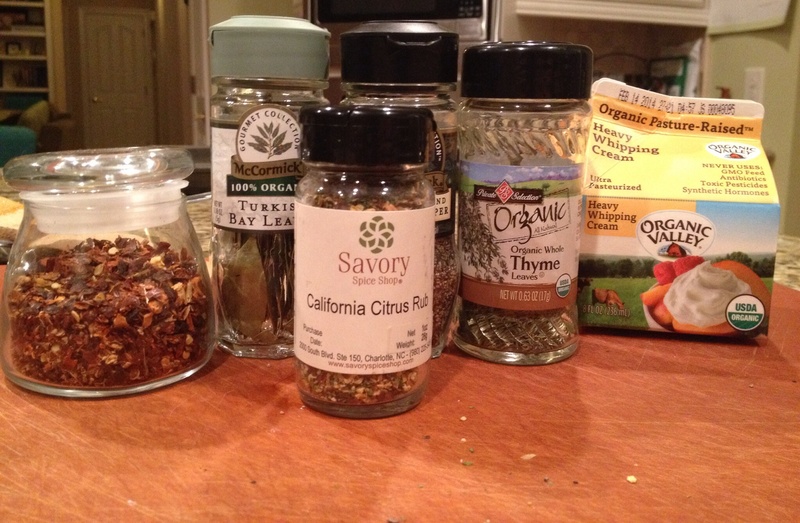 Bay Leaves, Thyme, Crushed Red Pepper, Ground Black Pepper, Salt and Citrus Rub. Let simmer at least 15 mins, or until needed. Slowly stir in cream 5 mins before serving. Garnish as Desired. 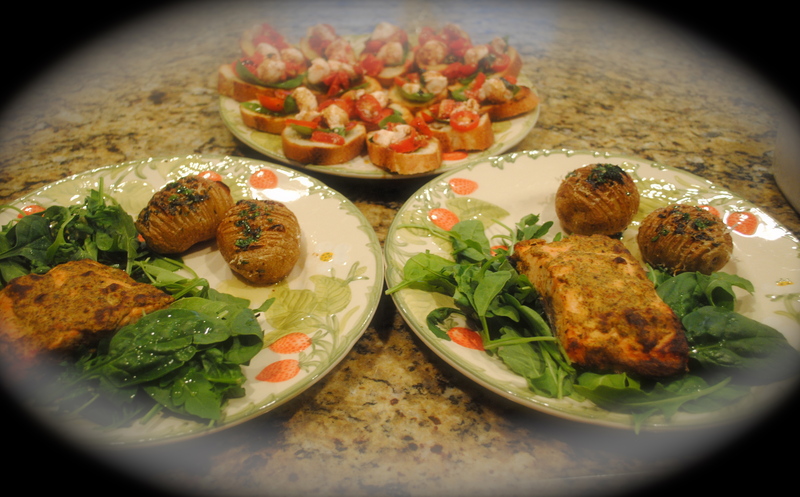 And, as always, these recipes are COMPLETELY ADAPTABLE!!! 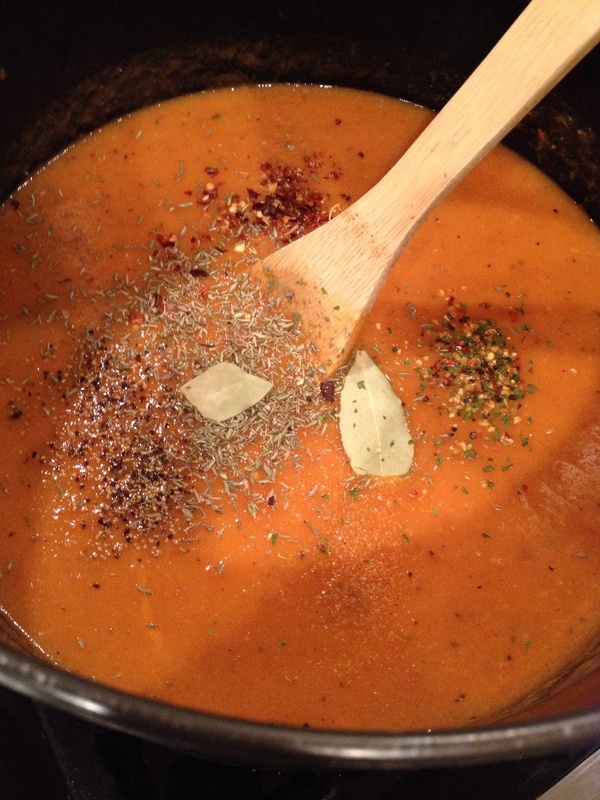 From your diet to ingredients…soup is one of those foods you can easily change up! Don’t care for Rosemary (or simply don’t have it), use the typical flavoring of Basil instead or punch things up with a lemony Thyme. Don’t have the California Citrus Rub (pepper, lemon & orange peel, garlic, crushed red pepper, parsley, etc) or Milanese Gremolata (notes of: garlic, lemon, parsley & hint of mint) just lying around?!?!? Which I’m sure you do not, add 1 Organic Lemon juice and zest when adding in the spices to brighten the flavor of the soup! Use any Tomato you like. 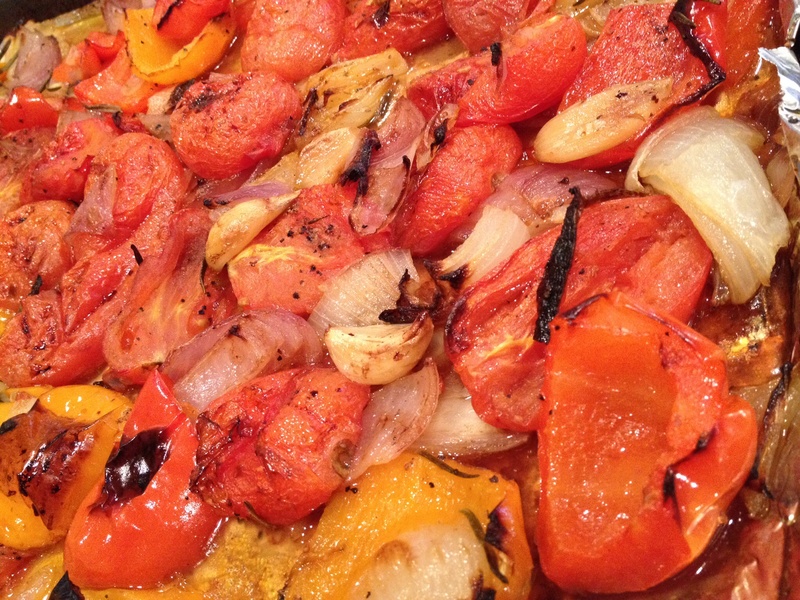 I prefer Roma when roasting and making Tomato Soup because they contain fewer seeds. Use any Bell Peppers you want! I suggest using 2…it doesn’t matter if you use Orange, Red or Yellow, which tend to be sweeter, almost fruity. I would not suggest using Green, as they will be more bitter and change to color of the soup! Are you watching your diet in a major way?!?!!? I had just under 1/3 cup of Heavy Whipping Cream leftover, probably about 3 TBS. That is not a ton of added calories in a whole pot of soup, but you can always substitute Fat Free Cream or Fat Free Half and Half. If you don’t do dairy, use a Coconut, Nut or Soy Version! 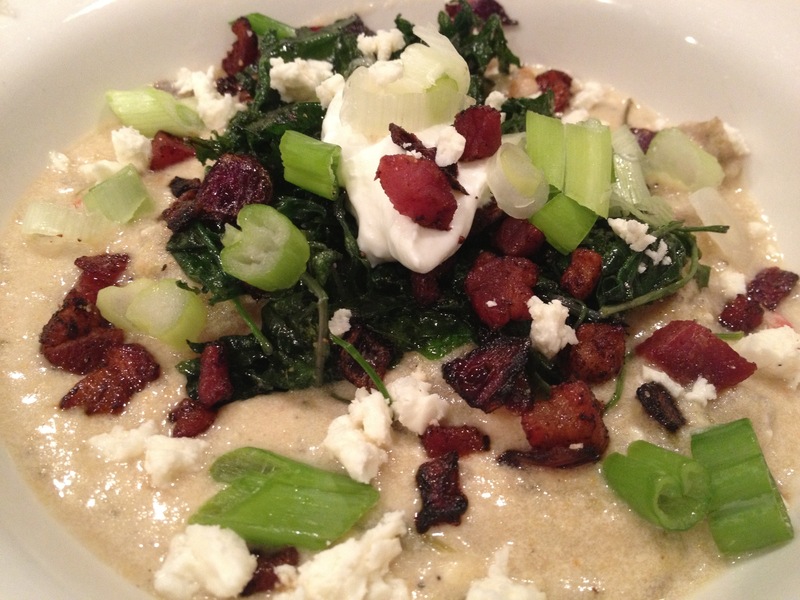 The pureed onions add a natural creaminess, therefore you don’t need to add much cream. 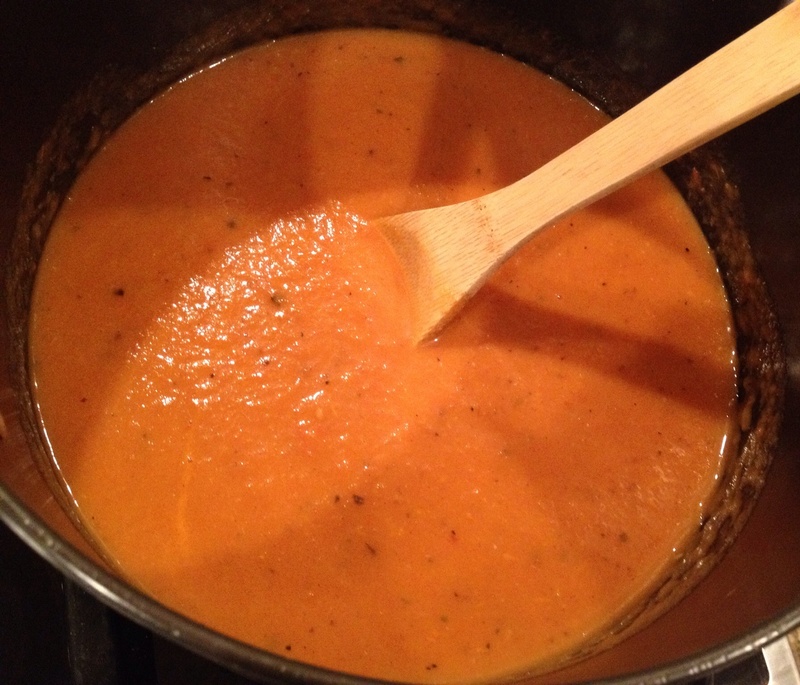 *The difference between Soup and Bisque is Bisque has Heavy Cream. 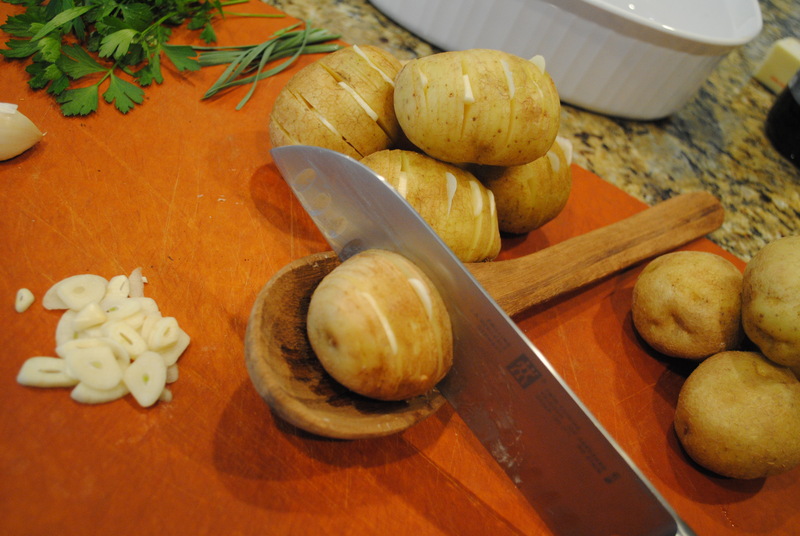 Simply Peel Garlic Cloves: Lay garlic under a large chefs knife with the flat side facing down. Smash. Garlic will pop right out! One of the most simple substitutions: Stock/Broth. I, personally, adore Pacific and Imagine Brands. 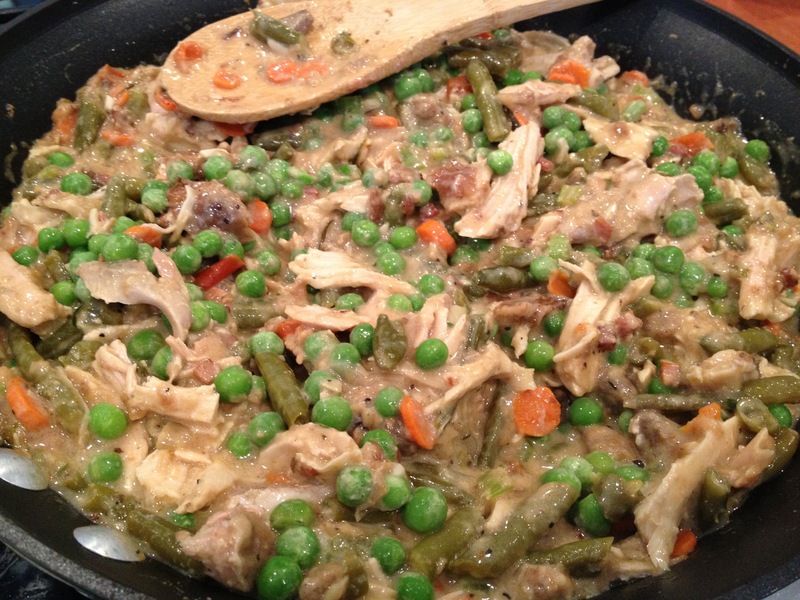 You can use Vegetable, Chicken, Mushroom, etc. Just know the flavor of the broth/stock will change the outcome of the soup. 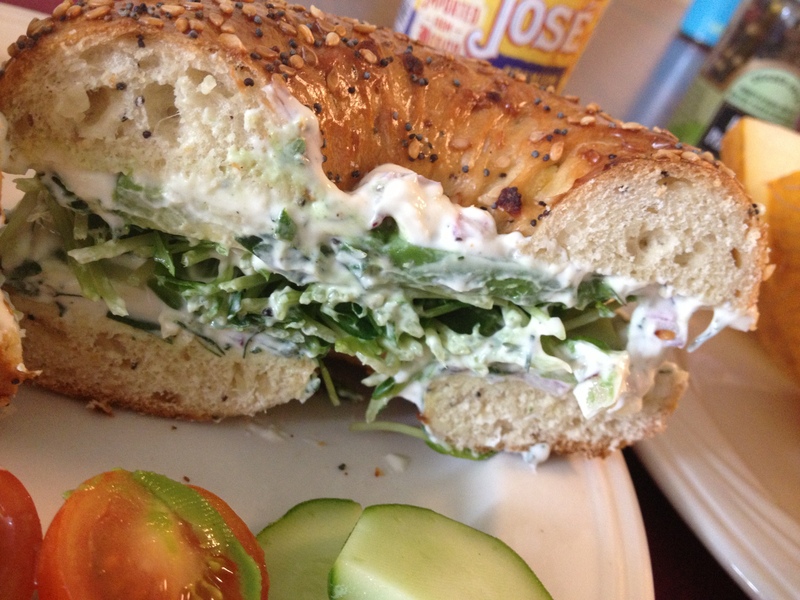 I chose Veggie…nice and light, to let the flavors of the fresh roasted veggies sing! 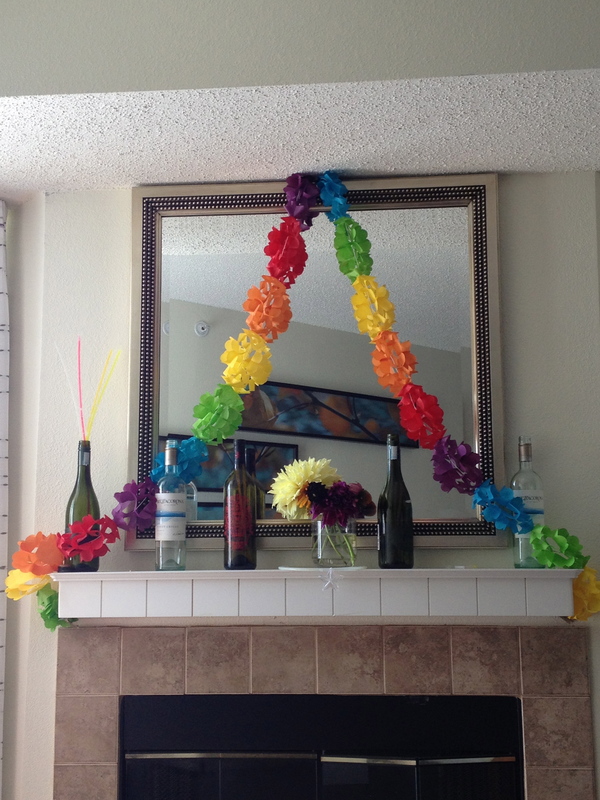 And last but not least, and of utmost importance: The Garnish. You can let your imagination soar. From Creamy (Sour Cream, Creme Fraiche, Greek Yogurt) to Cheesy (Feta,Goat, Cheddar, Monterey Jack, etc) to Spicy (Jalapeños, Hot Sauce, Pepperoni, etc) to Fresh (Lemon, Parsley, Basil, Rosemary, Mint, Chives, etc) to Nutty (Sesame Seeds, Pistachios, Pine Nuts, etc) to Simple (a drizzle of good EVOO, flavored or not). * Always Remember: You eat with your eyes first. 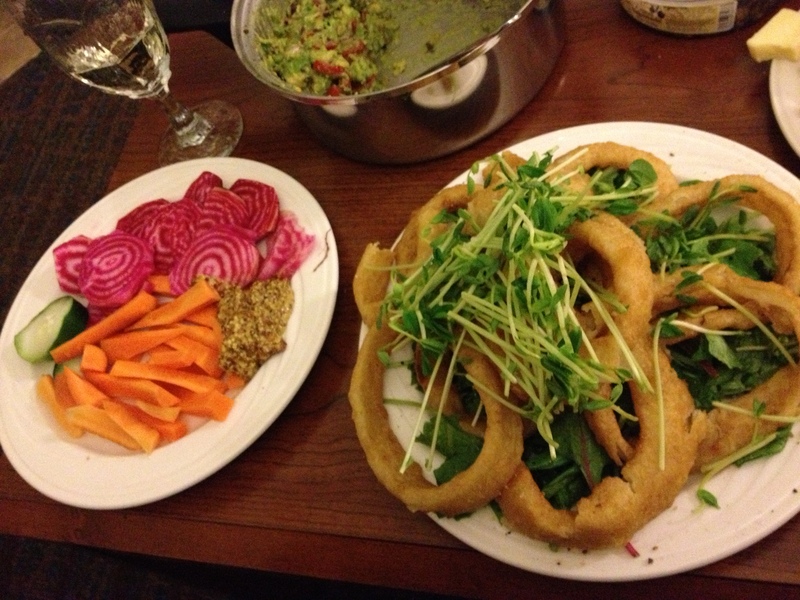 Pretty food simply tastes better! Take the time to garnish. 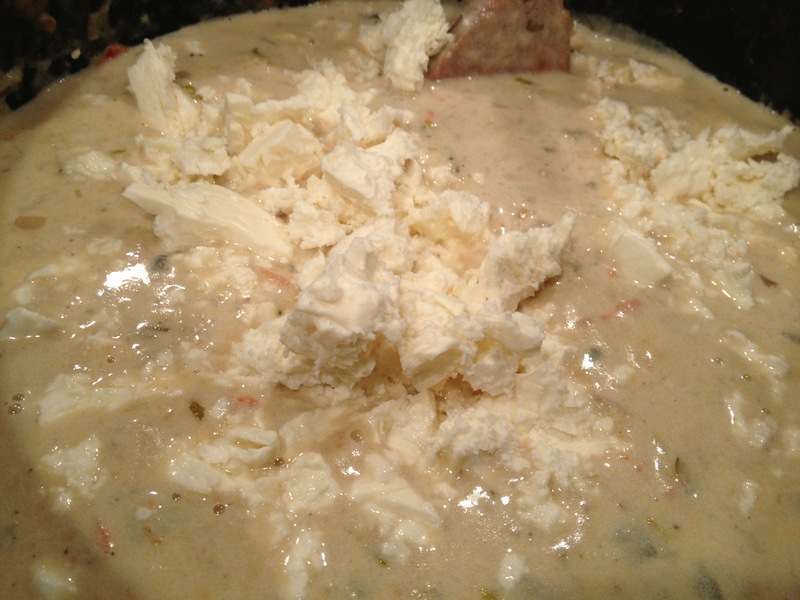 Adding just a smidgen of cheese at the end instead of to the entire pot of soup really helps cut fat and calories. You tend to use less!!! OMG. 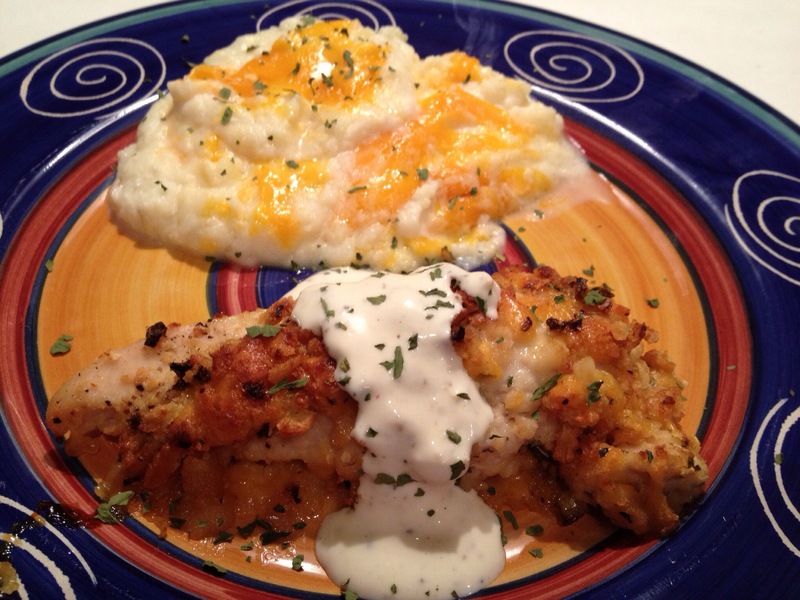 A crispy baked chicken dish that isn’t dry and the flavor punch is out of this world?!?!? Ummm….Yes Please! 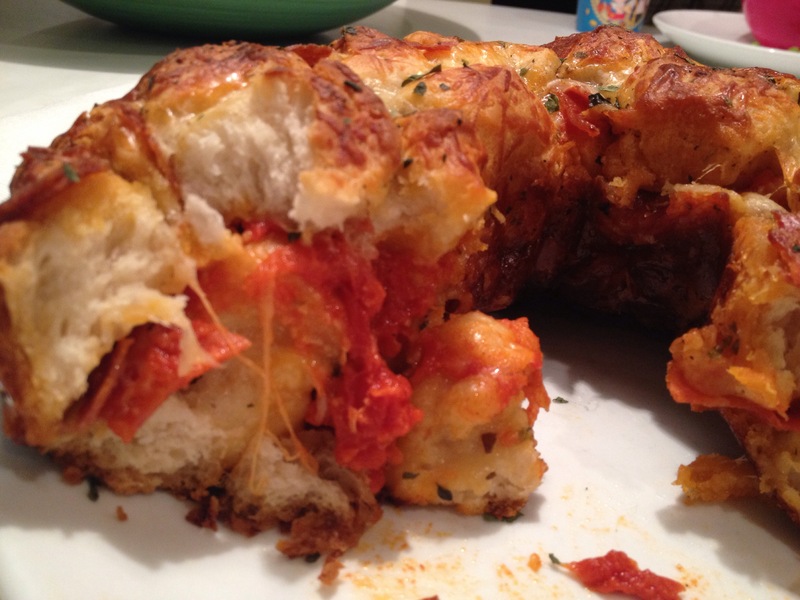 I made this and my husband absolutely devoured it. Holy Moly. It is Knock-Your-Socks-Off…. Slap-Yo-Mama Good!!! And, best of all, simple! 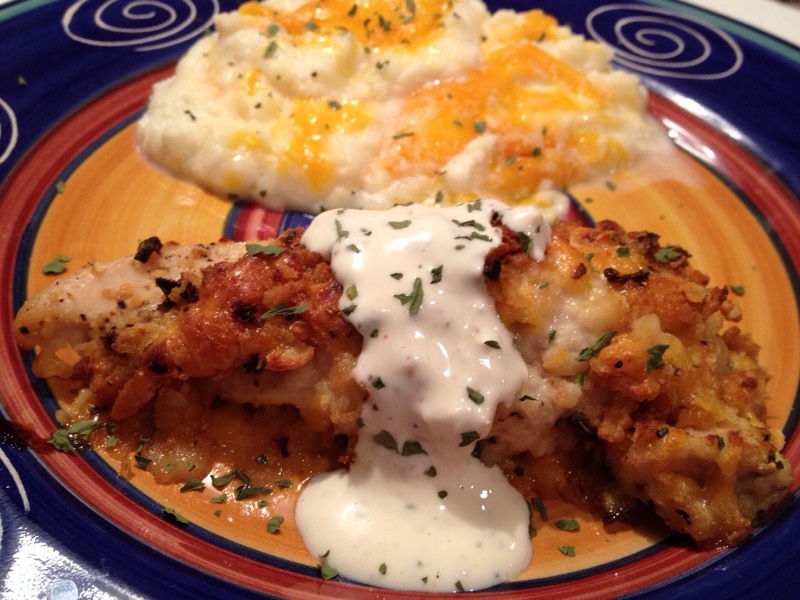 I promise…make it once and you’ll never miss fried chicken. 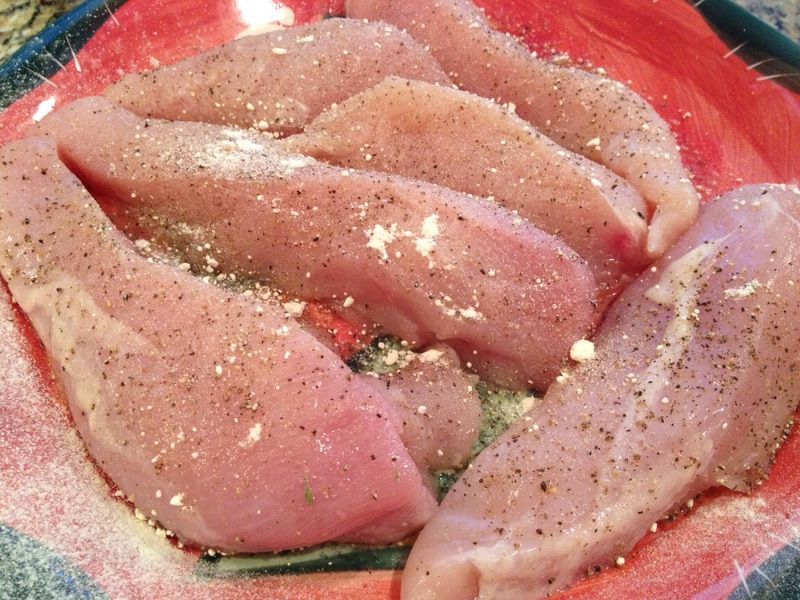 You can use a package of chicken tenders, but since I didn’t have any, I used 3 Chicken Breasts (organic & grass-fed). Then I took my kitchen shears and cut each breast into 3 similar sized pieces (you could use a knife as well). Sprinkle them with a little bit of seasonings, and you’re good to go. You can keep it simple and just salt and pepper them. 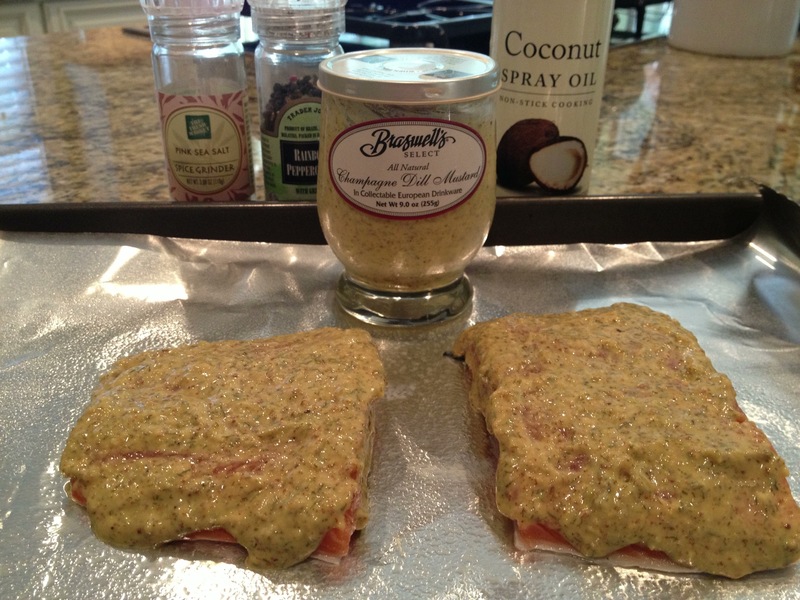 I also used Onion Powder, Garlic Powder and Dry Mustard. 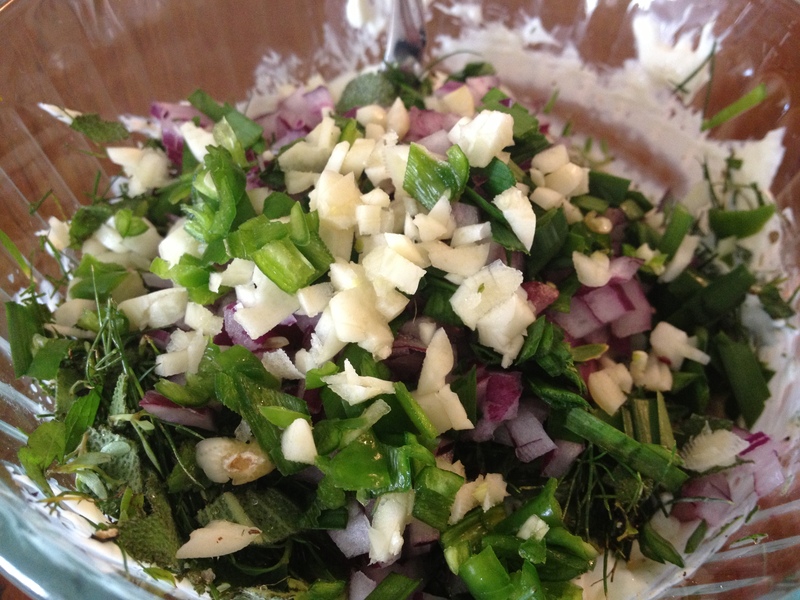 You could also throw in some herbage and use Italian Seasoning. I just wanted to keep the seasonings pretty simple and let the flavor of the chicken and jalapeño take front stage. Prepare your Cracker Breading. Just crush a couple of handful of buttery crackers. Then season them with a dash of salt, a bit of fresh ground pepper, and some dried jalapeños. I might have added a little bit of garlic powder and onion powder to the cracker mixture as well. TIP: I used Late July Organic Classic Rich Butter Crackers in lieu of Ritz. They are freakin’ delicious. I absolutely ADORE these organic crackers! Get ready to start dunking & coating! 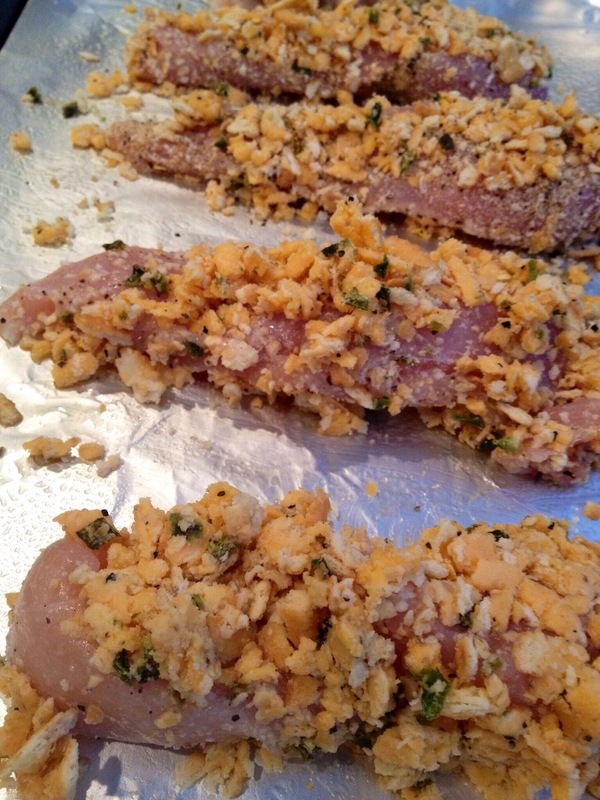 Get a baking sheet ready and place your ingredients in this order: Chicken, Buttermilk, Cheese, Cracker Crumbs. Just dump the damn cheese in with the stupid cracker crumbs and mix to combine! Let me tell you, this was WAY better!!!! Finally could get the chicken coating to stick!!! 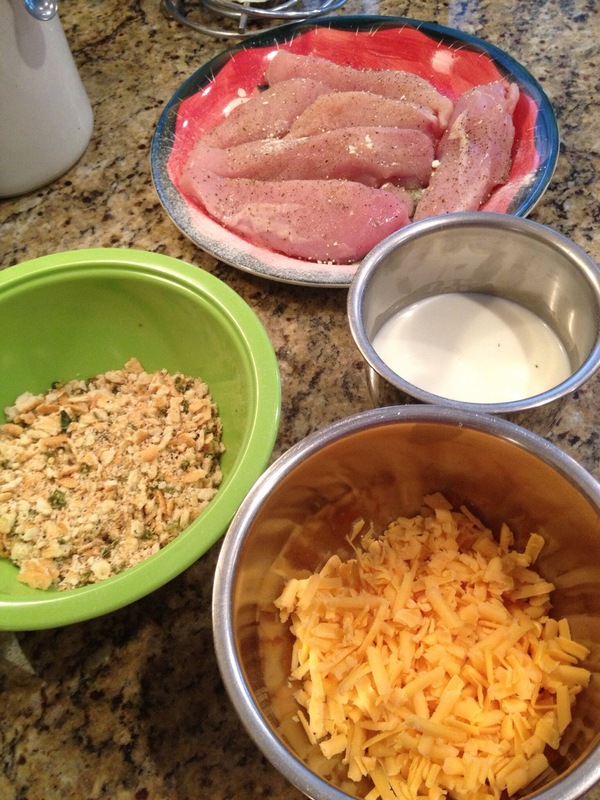 Dip the Chicken in the Buttermilk, Press the Cheese & Cracker Mixture onto the Chicken firmly with your hands. Line a 9 x 13 with foil and spray with non-stick cooking oil. 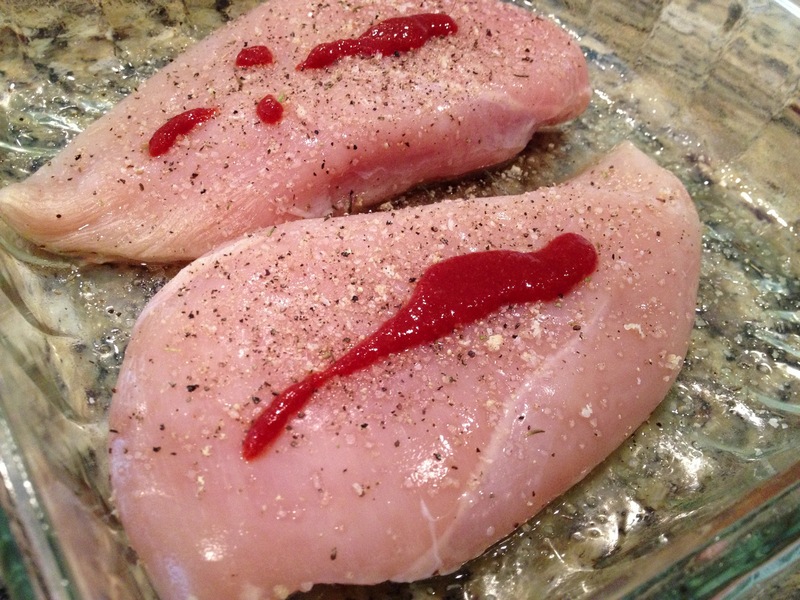 Arrange Chicken on pan so they are not touching. Sprinkle with a bit of parsley. This is what your chicken pieces should look like. 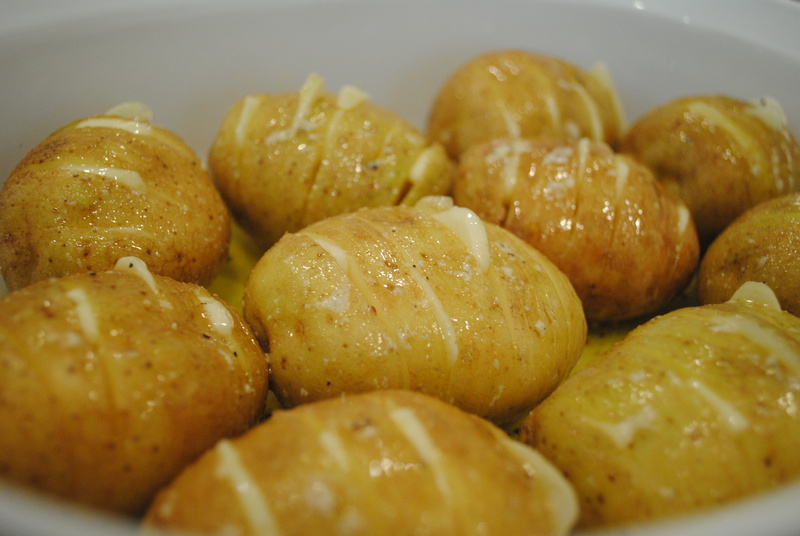 Pop ’em in the Oven! The coating does NOT have to be perfect. Just do the best you can! It will still come out crispy, moist & delicious! Lightly cover with foil and bake for a bit first. Then, remove the foil the last 10-15 mins to make the chicken get a nice brown, crispy coating. It already looks absolutely divine. Now, plate it up! I made some seriously good mashed taters to compliment this. It was a perfect combination. I had a nice fresh salad on the side as well! A little saucy drizzle on top! I had some of my Top Secret White BBQ Sauce that I drizzled on top. Killer. It was honestly killer on this. I wish I could eat this right NOW!!! I will for SURE be making this again soon. You are going to fall in love….and so will the people you serve it to! *Preheat Oven to 375. Take out 9 x 13 baking sheet, cover with foil and spray with non-stick cooking spray. 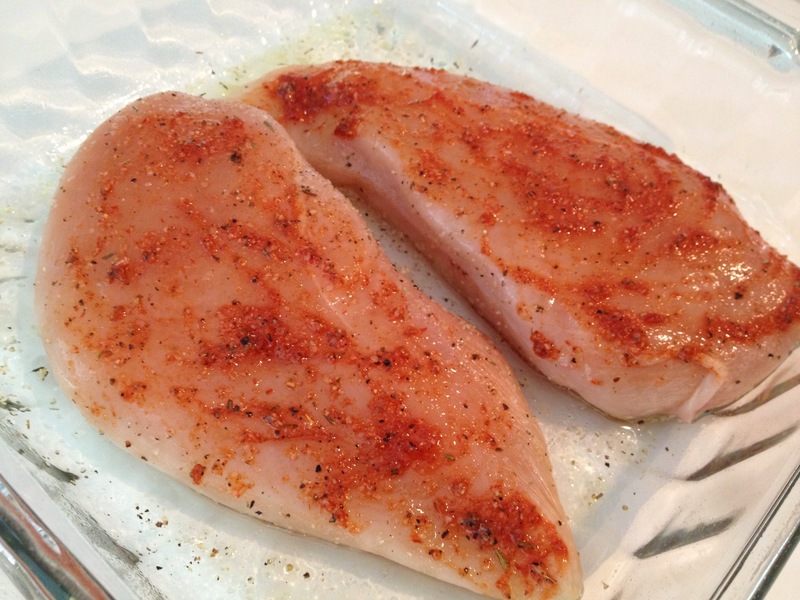 *Cut each Chicken Breast into 3 equal portions, or use Chicken Tenders. 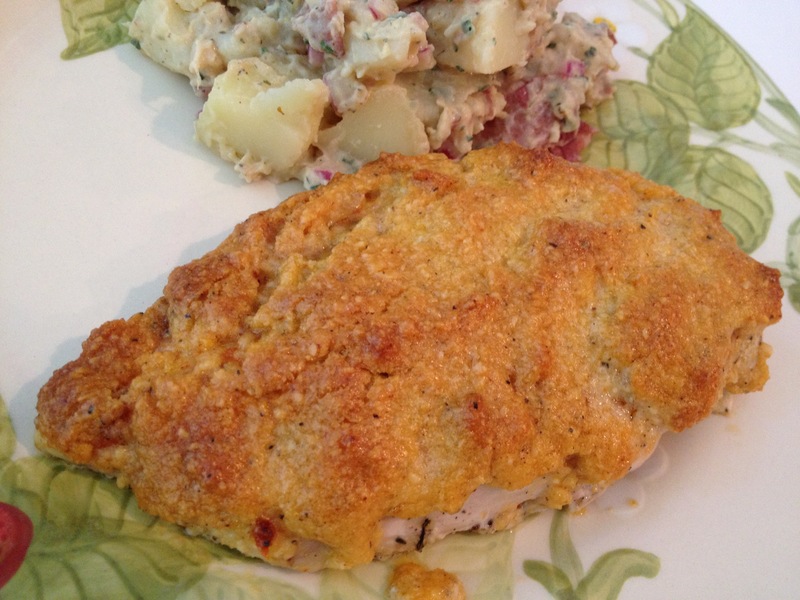 Season Chicken with Garlic Powder, Onion Powder, Dry Mustard, Salt & Pepper. Now get 2 bowls. One for your Cracker/Cheese Mixture and one for your Buttermilk. Crush Crackers. (I put them in a plastic ziplock baggie and crush them up with my hands and then pour that into a bowl. Works pretty good!) 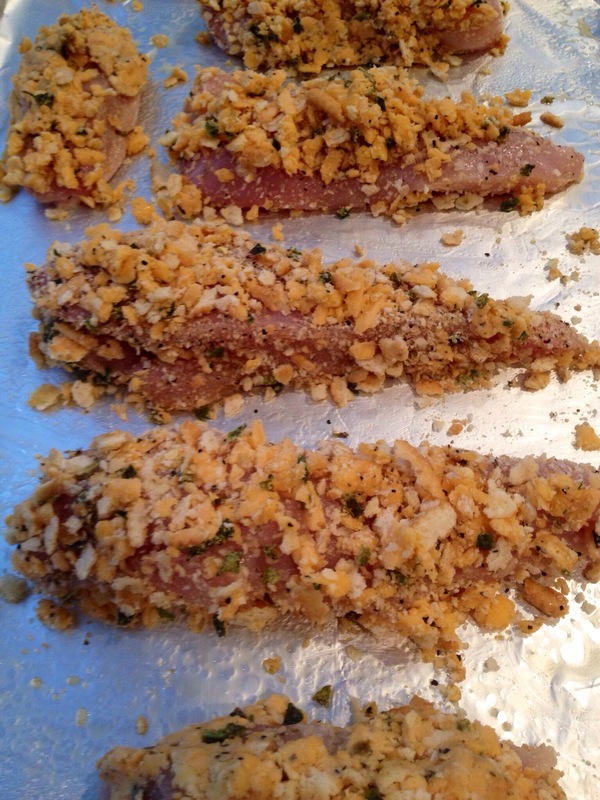 Season Crushed Cracker Crumbs with Salt & Pepper and add a dash of Garlic and Onion Powder if desired. Add dried diced jalapeños to crumb mixture and toss to combine. Add a little parsley if desired! 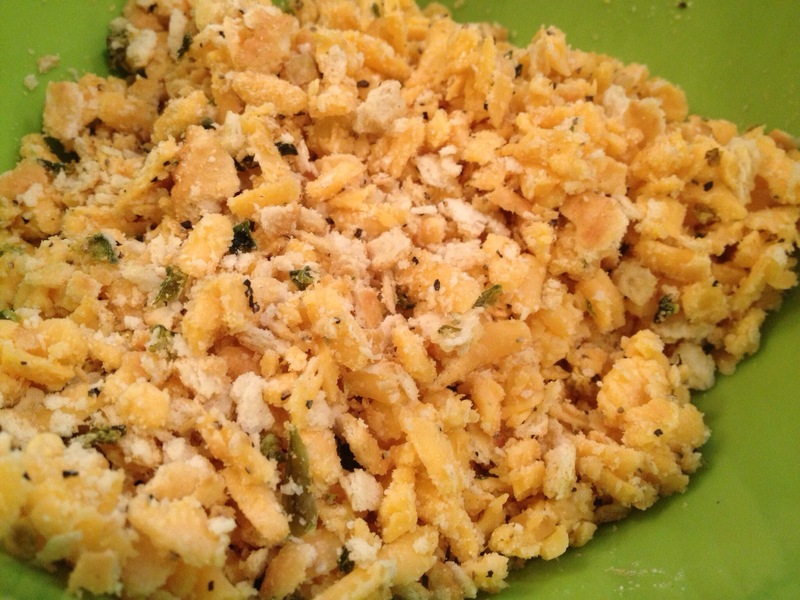 Add Grated Cheddar to Cracker Crumb Mixture and stir to combine. 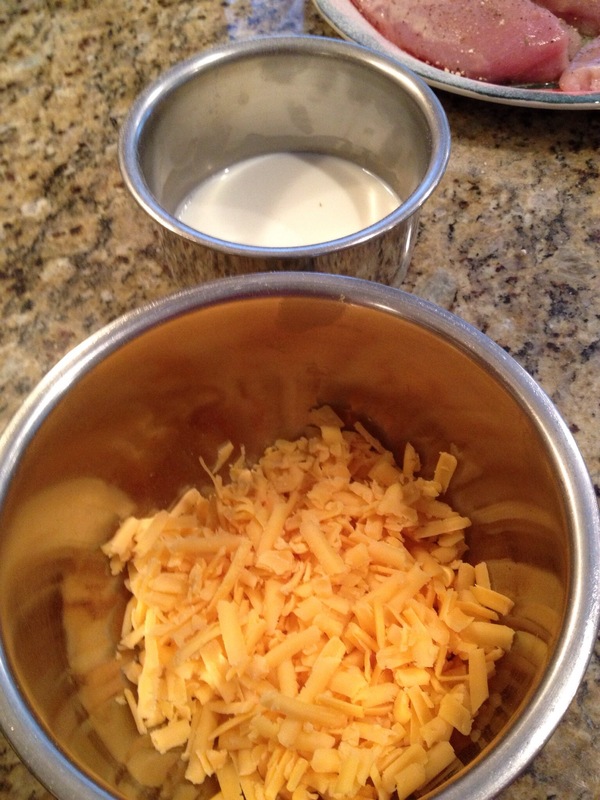 (or keep the cheese and cracker mixture separate if you want…but I find combining them worked better). Pour Buttermilk into separate bowl, add a bit of Hot Sauce and stir to combine. 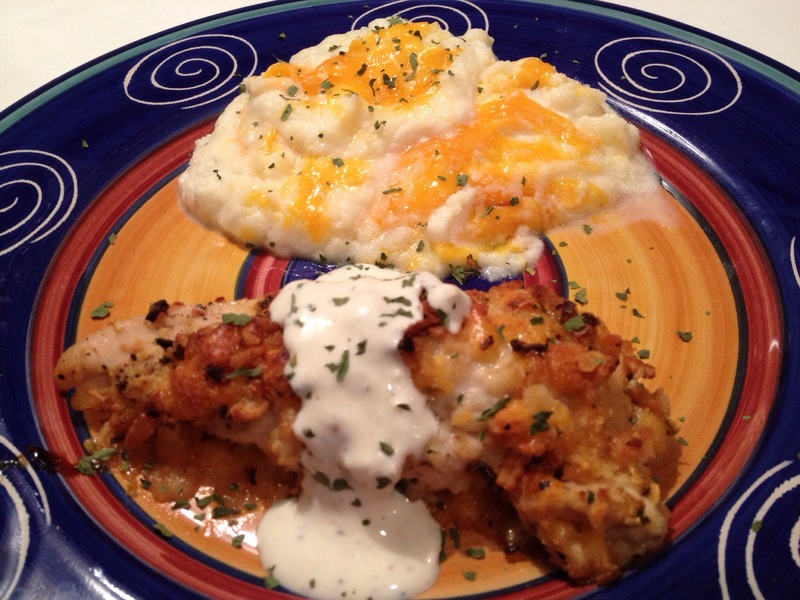 *Take Chicken and dip into Buttermilk. Then roll into Cracker Crumb/Cheese Mixture. 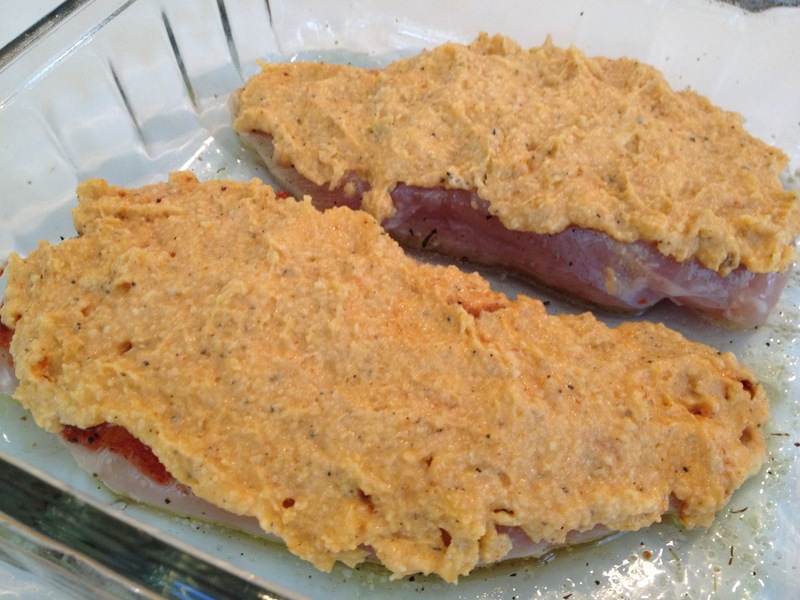 With you hands, press mixture firmly into the chicken to make a nice layer of coating. Lay on baking sheet so they are not touching and sprinkle with Parsley. Then, cover baking sheet with foil and place them in the preheated oven. Cook for about 30 mins. After 30 mins, remove the foil and cook another 10-15 mins or until the chicken in brown and crispy! 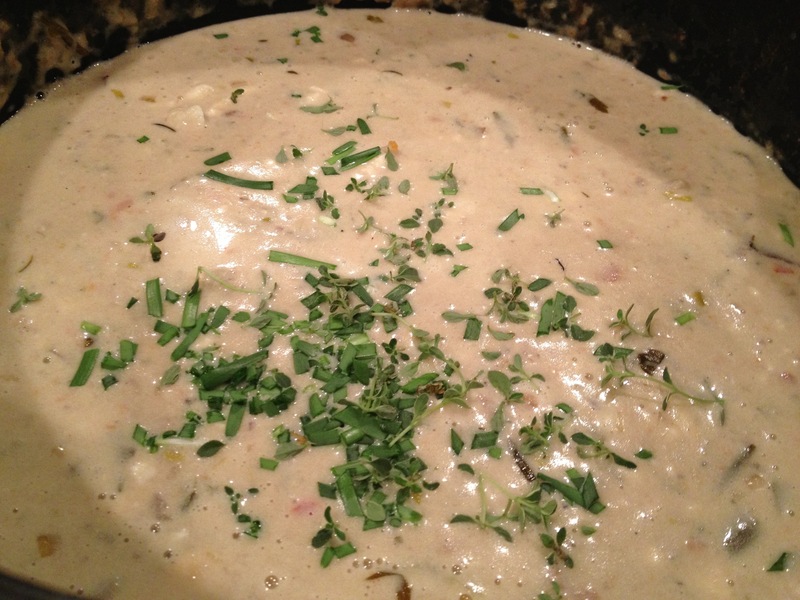 Serve with Sauce of choice: Alabama White Sauce is Perfection with it! And you can never go wrong with Ranch! From My Creations to Your Kitchen! I’m about to knock your socks off. Seriously. Anyone looking for a quick and tasty week night dinner? One that is so simple your kids can help you make it??? And one that your kids will actually EAT!!! Then look no further. 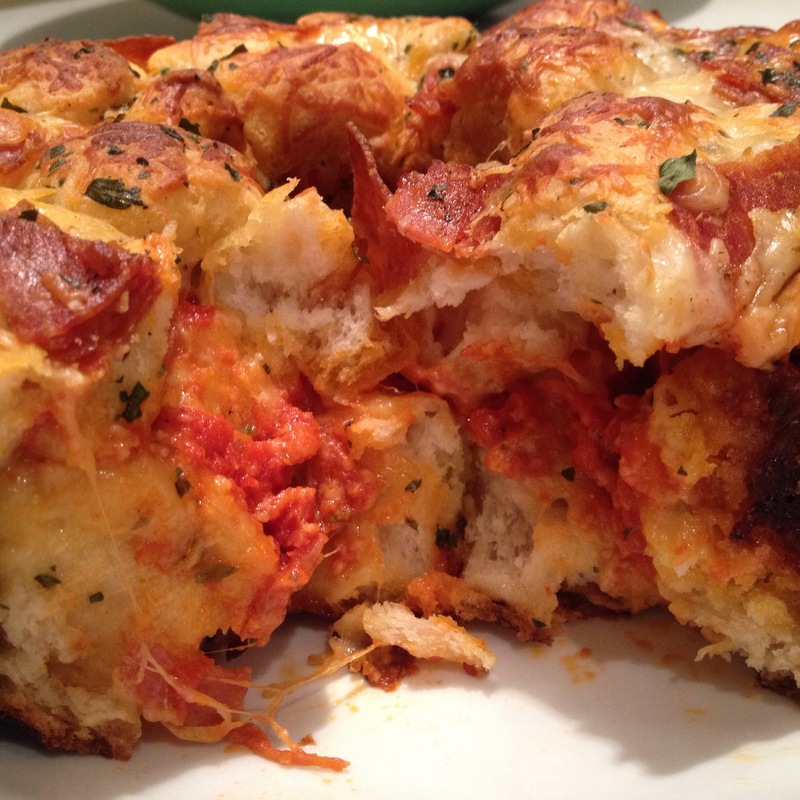 You are about to fall in love with my Pepperoni-Pull-Apart-Pizza. First, separate each biscuit and cut into quarters. Slice in half, then in half again. 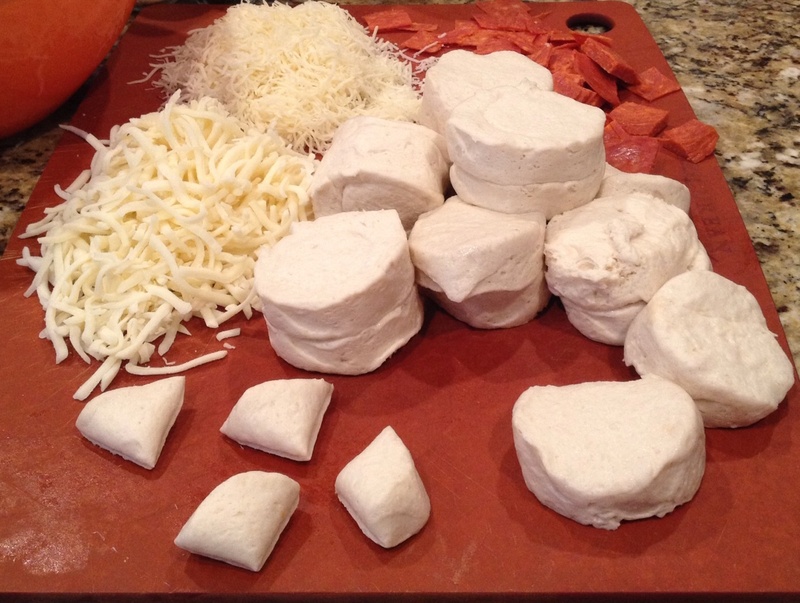 You can use a knife, or I found a dough cutter worked like a charm….and was easy enough that the kids could do it! 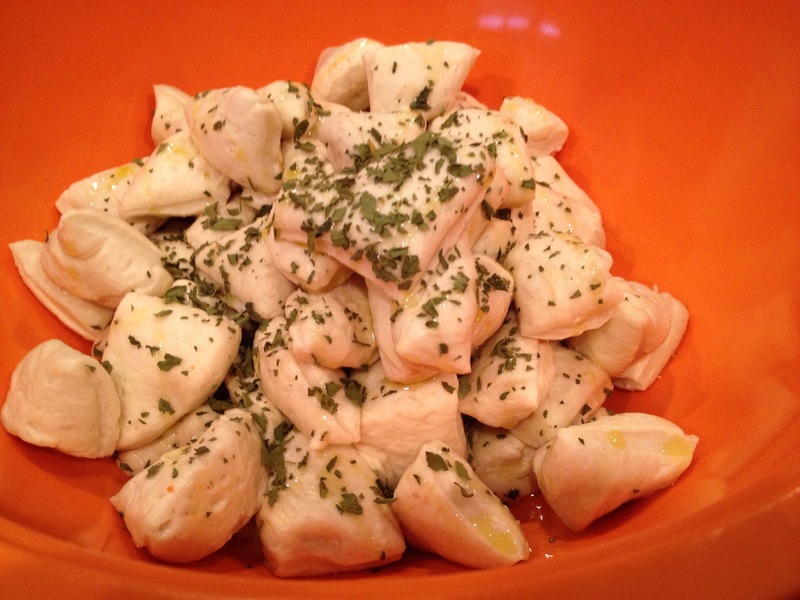 Next, put all the dough pieces I a large bowl and drizzle with Olive Oil, Garlic Salt, Parsley, Oregano and Pepper. Toss to coat, making sure all the dough pieces are covered in EVOO. 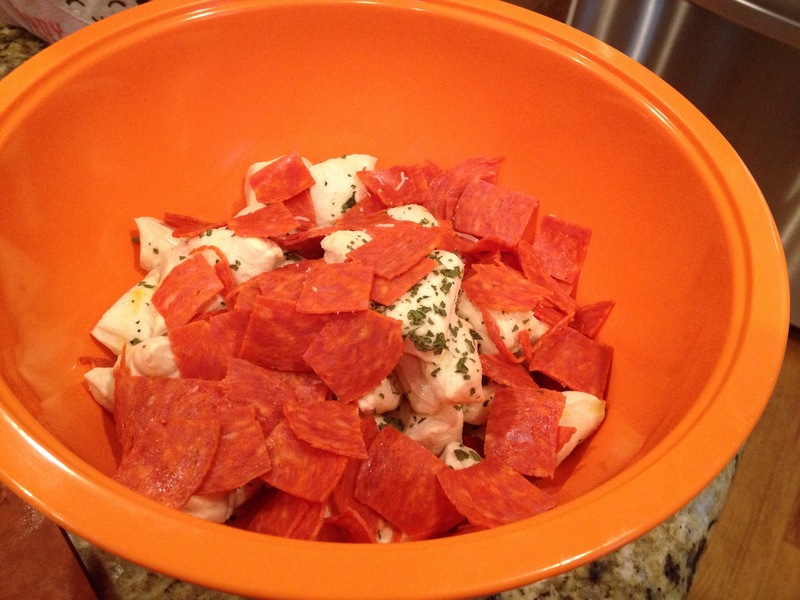 Cut pepperoni to bite sized pieces and add to bowl. 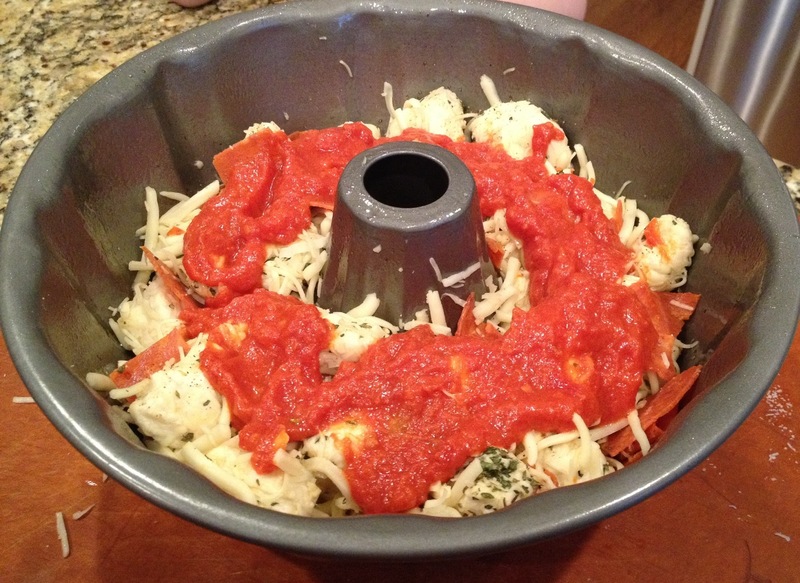 Add Grated Mozzarella and Grated Parmesan. Mix gently. Lightly grease a Bundt Pan. Add a little over 1/2 the mixture into the pan. Then, lightly spoon red sauce over bottom layer. Carefully…don’t drown it!!! Last, add remaining mixture on top to cover the sauce layer. Ding Ding Ding!!! Dinner’s Ready!!! Pop into the Oven and Bake. 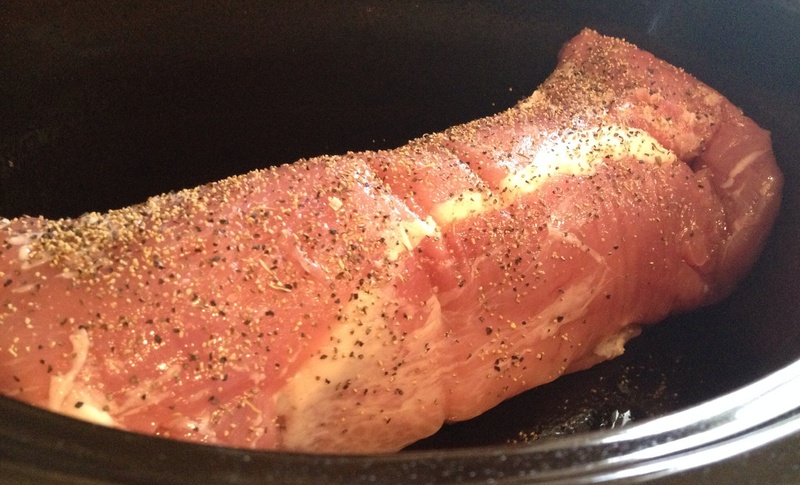 Tip: If it starts to brown too much, lightly cover with foil the last 10-15 mins. You want to be sure the inside has had time to cook completely! 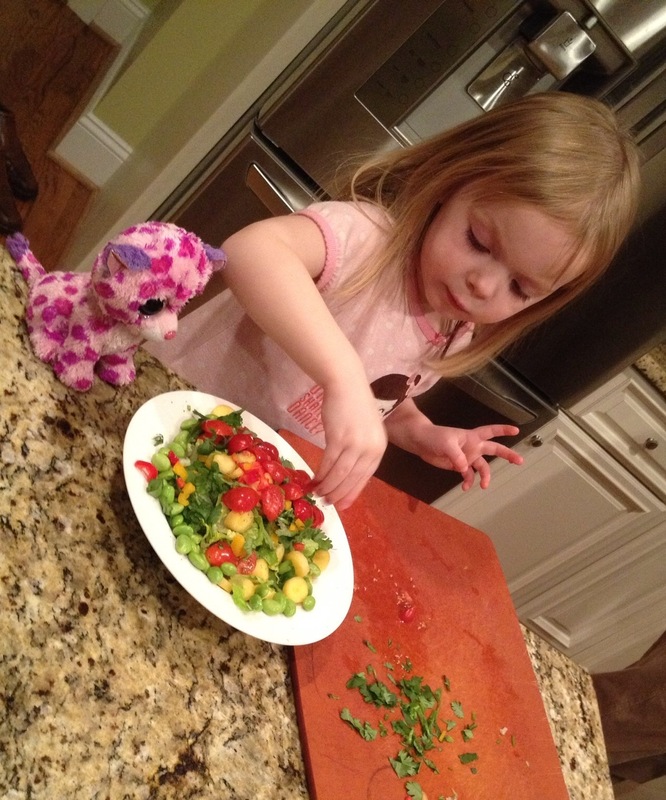 While the Pepperoni-Pull-Apart-Pizza is in the oven, I also highly recommend letting your little helpers make the side dish to enjoy with dinner: a salad chock full of veggies! 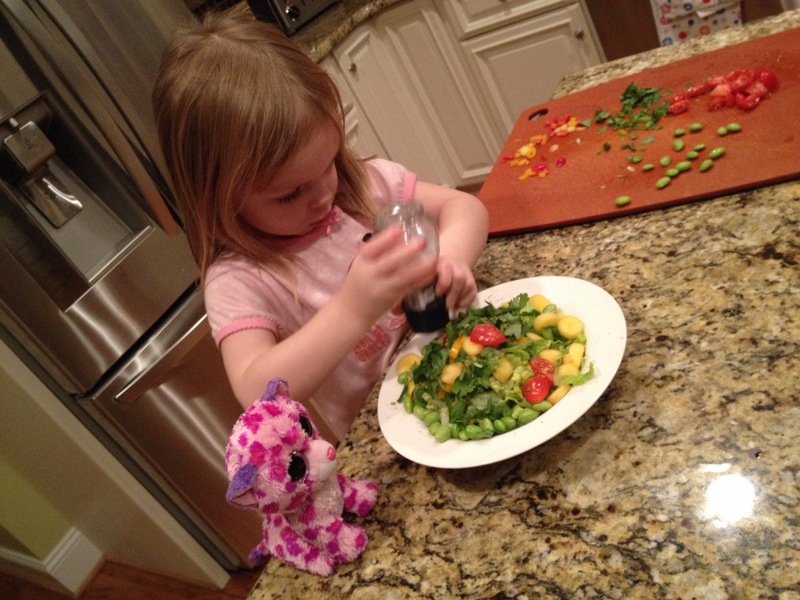 Story, and her assistant kitty Glamour, had a blast topping the lettuce with a variety of colorful veggies! Plate Up the Yummy Goodness! Carefully remove from the Bundt Pan. Take a long knife to slice around the edges if it doesn’t come out easily. Mine just needed a little coaxing, then slid right out when I turned the pan over. 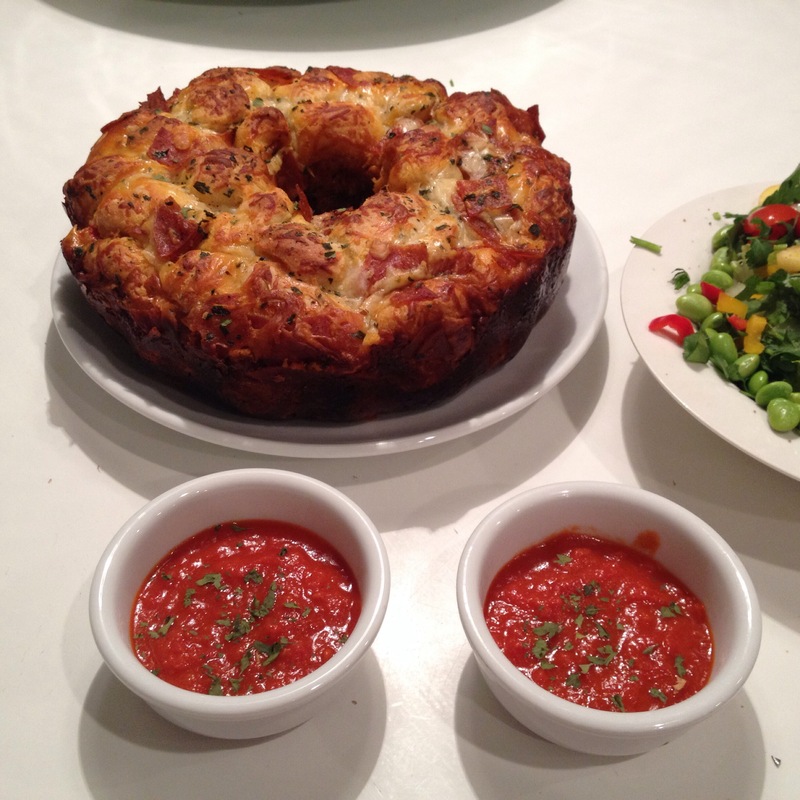 Serve with a Salad and an extra side of warm red sauce for dipping! How good does this look?!?!?! Well, it tastes even BETTER than it looks! TIP: You can also change up the flavors by adding a variety of different fillings. Omit the pepperoni if you’re a vegetarian, and add in Mushrooms, Peppers & Onions. 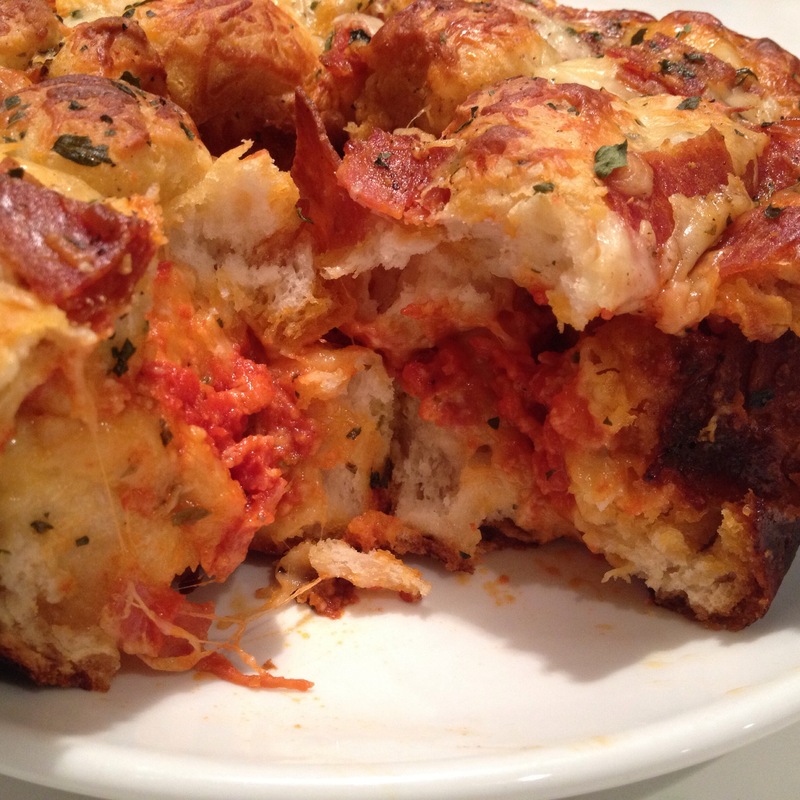 Make one with Sausage and Cheese. Add some Crushed Red Pepper if you like heat. Experiment with different sauces: Pizza, Marinara, Tomato Basil, 4 Cheese, etc. Get Creative! The possibilities are endless! *Preheat Oven 350. Cut each Biscuit into quarters (4 pieces). 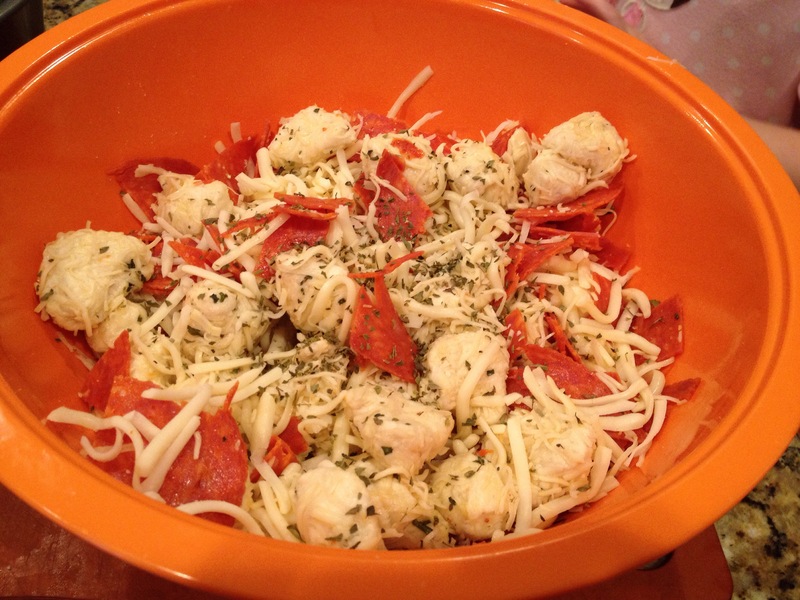 In a large mixing bowl, add dough pieces, cheeses, EVOO, parsley, oregano, garlic salt & pepper. Mix to combine making sure all pieces are coated in oil. 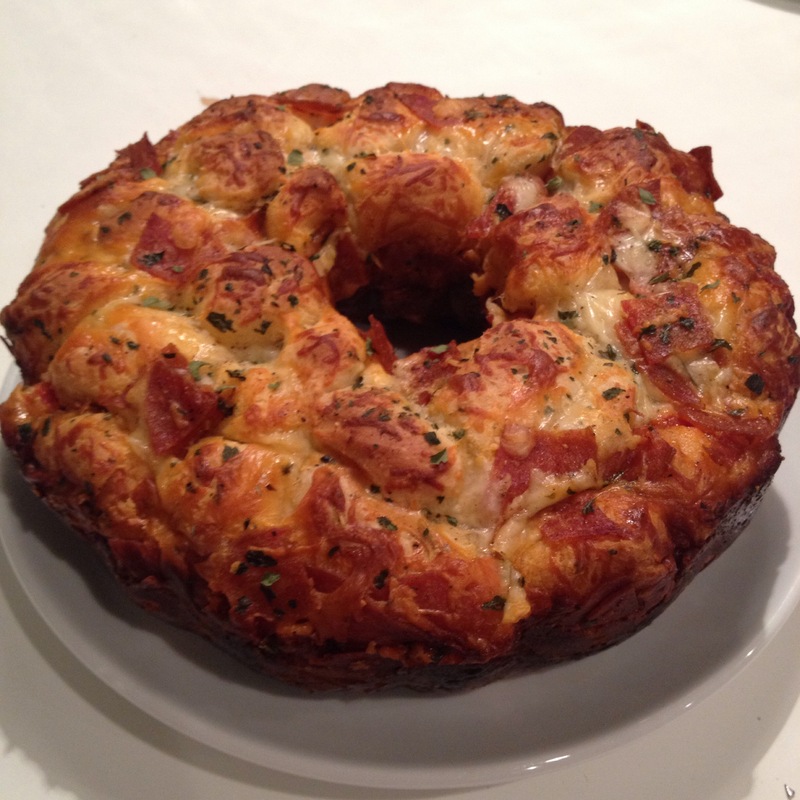 Grease a Bundt Pan with spray and add a little over half the dough/cheese/pepperoni mixture into the bottom. 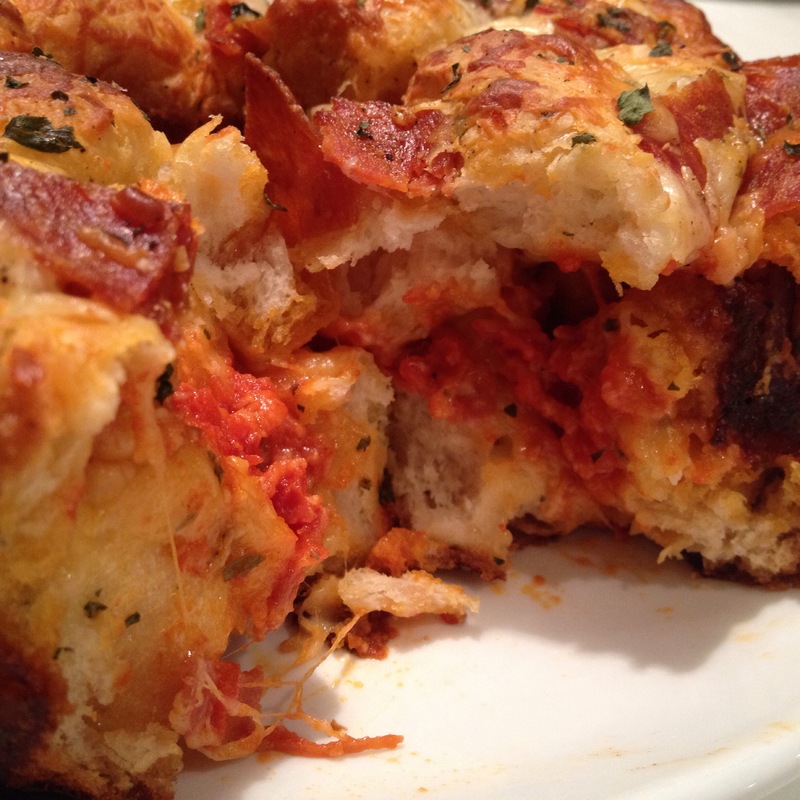 Add a thin layer of sauce on top, then cover with remaining dough mixture. Cook for about 30 mins or until completely cooked through. Cover with foil if browning too quickly! Remove and let cool for 3-5 mins. 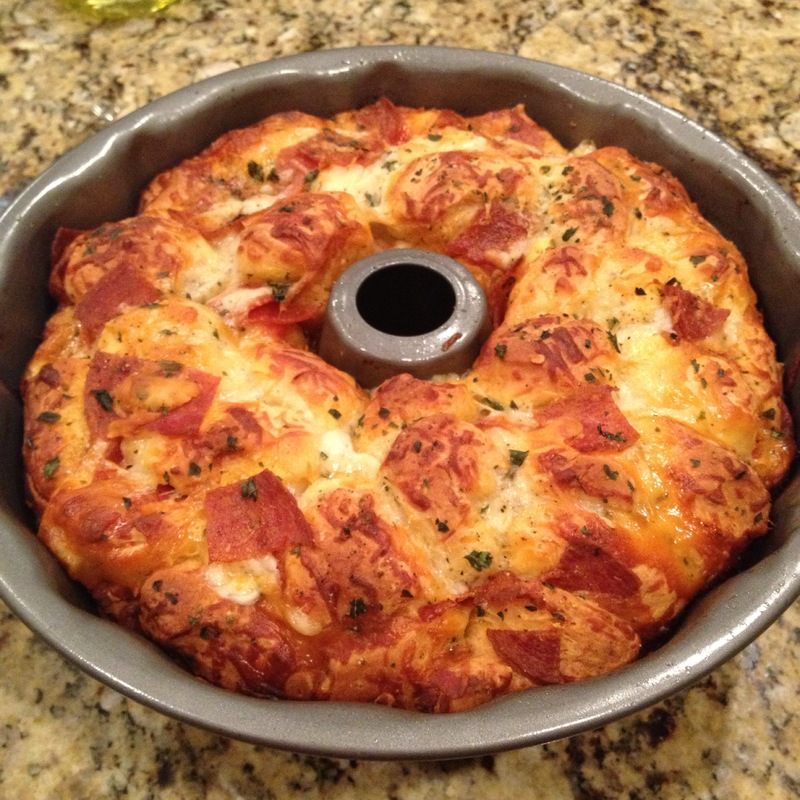 Turn Bundt Pan over to release Pizza. Use a knife to loosen side if needed. Like I said, this is such a simple and delicious meal to make on the fly. I think my husband liked it even more than the kids. 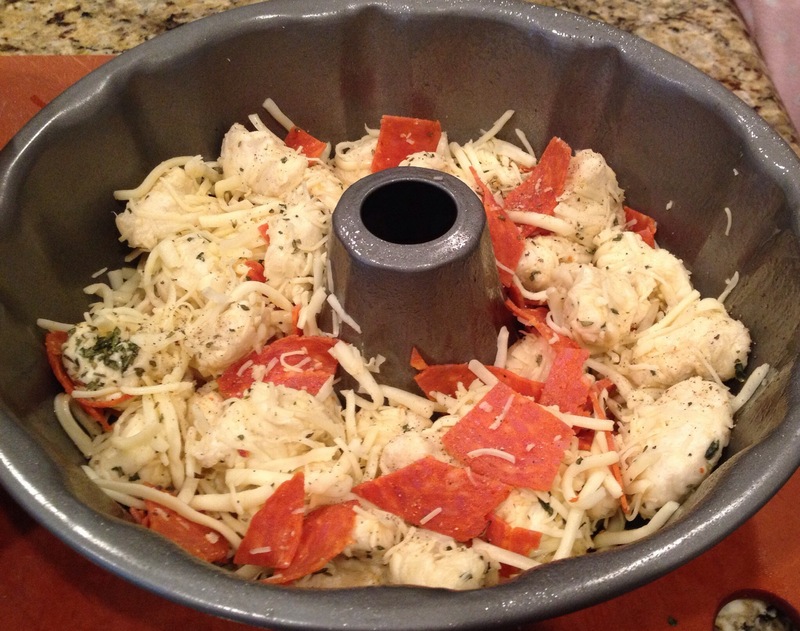 Seriously, he said he thinks he prefers this over regular pizza!!! And, it’s a GREAT way to get the kids involved in the kitchen. 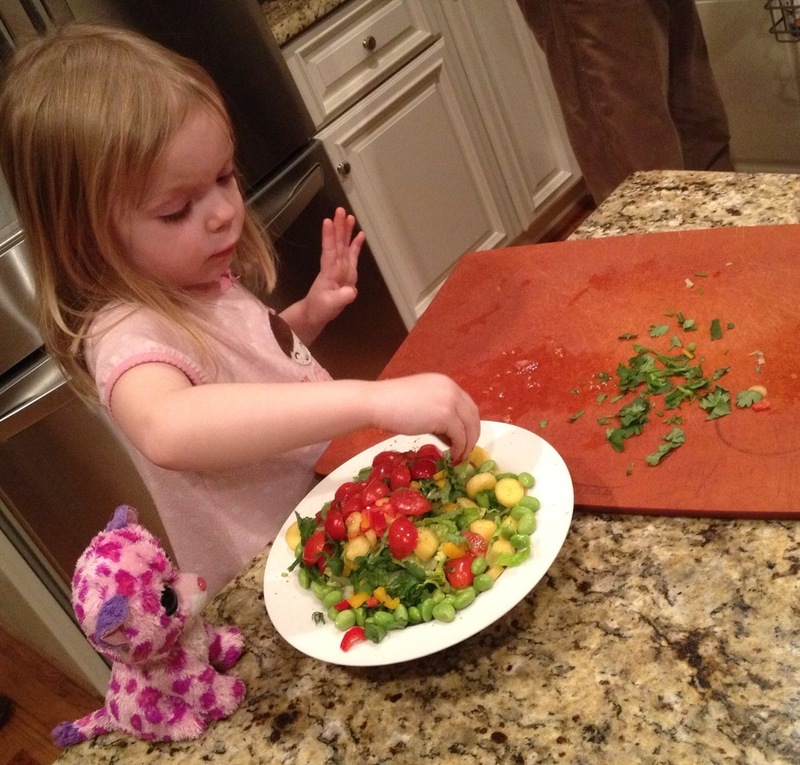 They even loved helping with the salad and veggies while the pull apart was cooking. Anything to get the little ones cooking is a winner in my book! Ok, so this is going to be a quickie post. I’ve got so much going on right now. But, I know if you are like my family…we are getting a bit tired of Turkey. So, here’s a quick twist on it for ya. 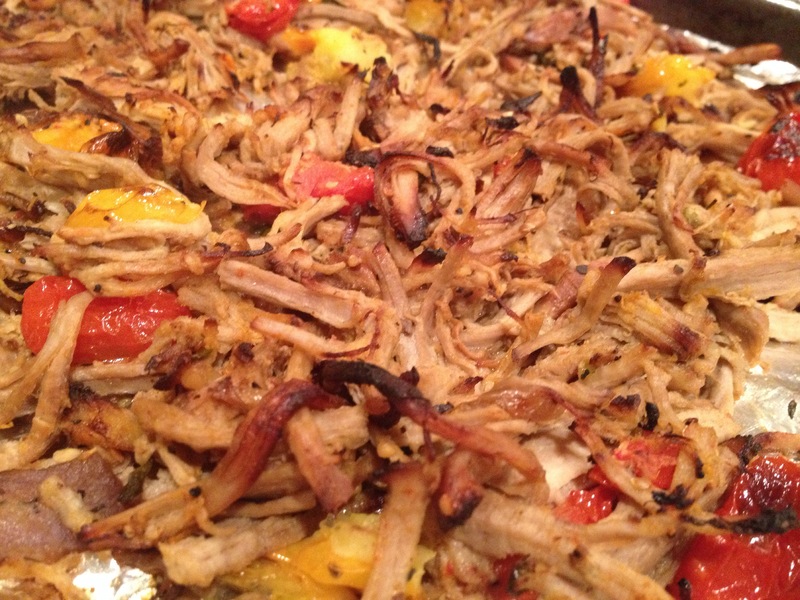 You can basically use most of your leftovers….in a new way! That’s right. 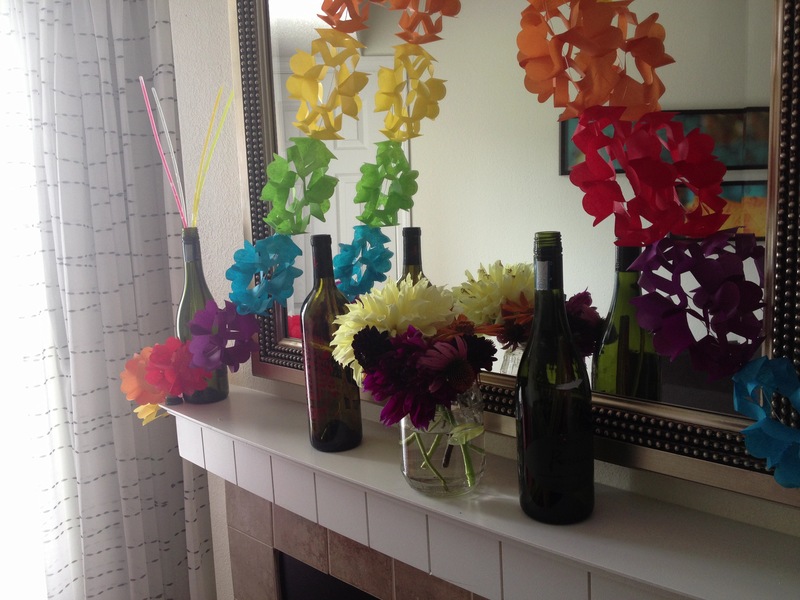 Other than leftovers and a bottle of wine….this is all I used. So easy. I chopped up 2 carrots and 2 celery stalks and 2 cloves of garlic. I would have used an onion as well if I hadn’t used a TON in the green bean casserole. So, feel free to add an onion or shallot if you need to! 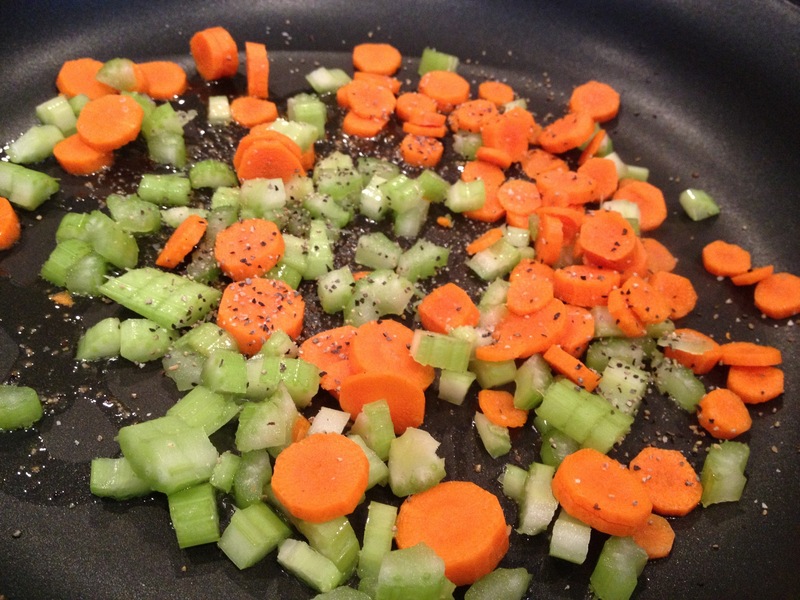 Sauté carrots and celery in 1 tsp EVOO until softened, about 5 mins. Season with Salt and Pepper. Do not brown! Next, I added my fresh garlic and a handful of fresh parsley I had. 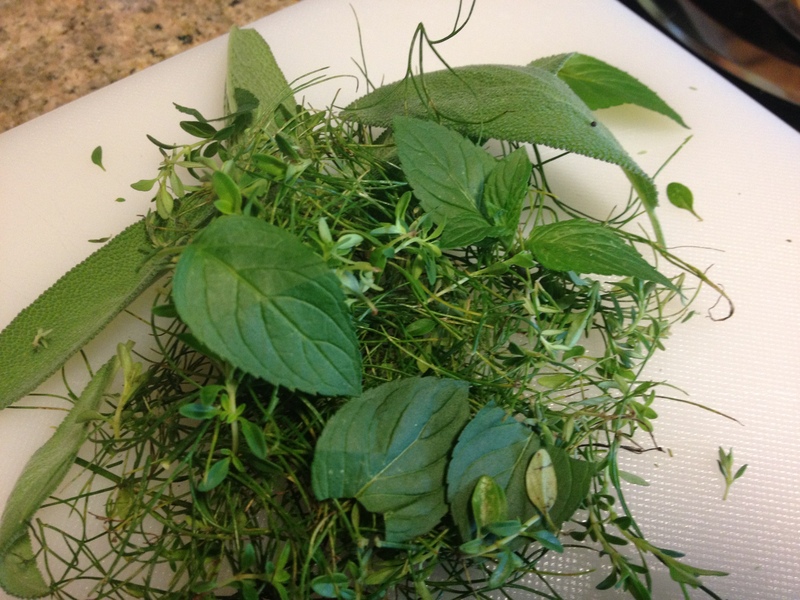 Feel free to add any fresh herbs you need to use up!!! Parsley, thyme and sage would all be great additions!!! Sauté about 2 mins, or until the garlic is fragrant. DO NOT BURN THE GARLIC or it will turn bitter. I took my Green Bean Casserole and my Kitchen Shears and cut any large beans I had into smaller bite size portions. 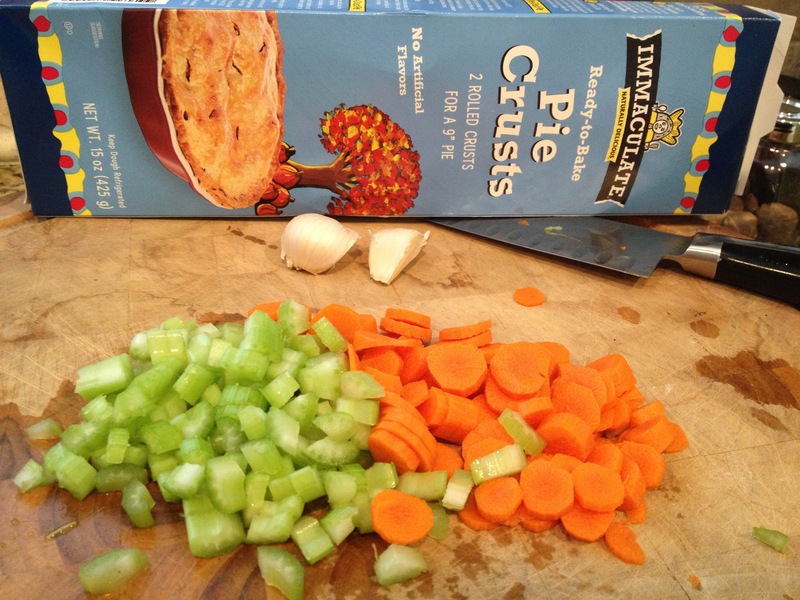 Most Pot Pies call for Cream of Something Soup (or you can use flour and fat). 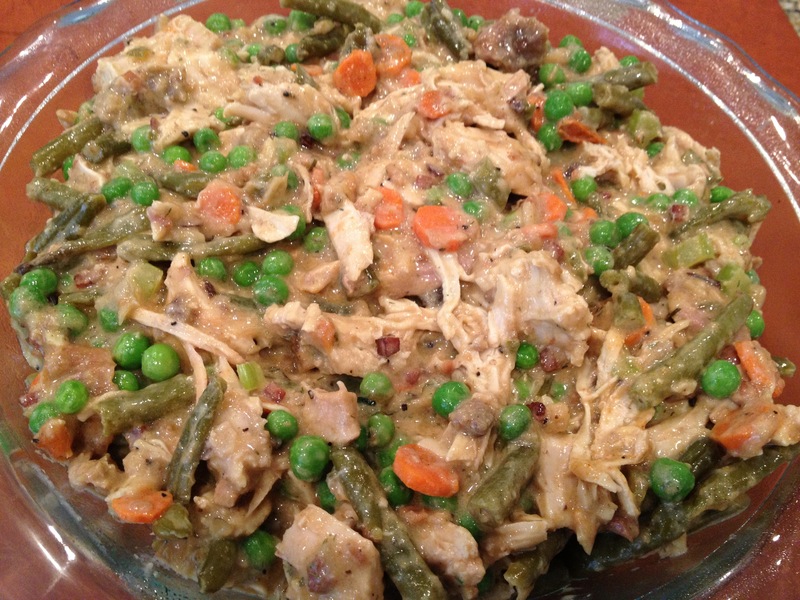 I used the rest of my leftover Green Bean Casserole to act as the “binder” for the pot pie. If you don’t have any GB Casserole left, feel free to sub on of these!!! Then I just plopped the GB Casserole on top of the Sautéed Veggies and let it warm up so it would mix. 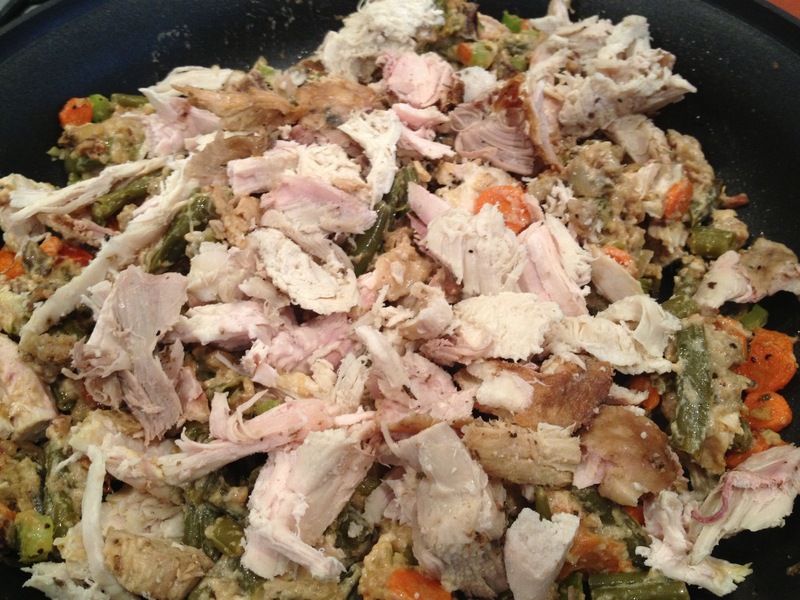 When I got it all mixed together, I took all the little pieces and bits of turkey that you’re not sure what to do with (too small for a sandwich….) and threw them in the pan! If you only have larger pieces, just shred them up with your fingers or chop them up with a knife! 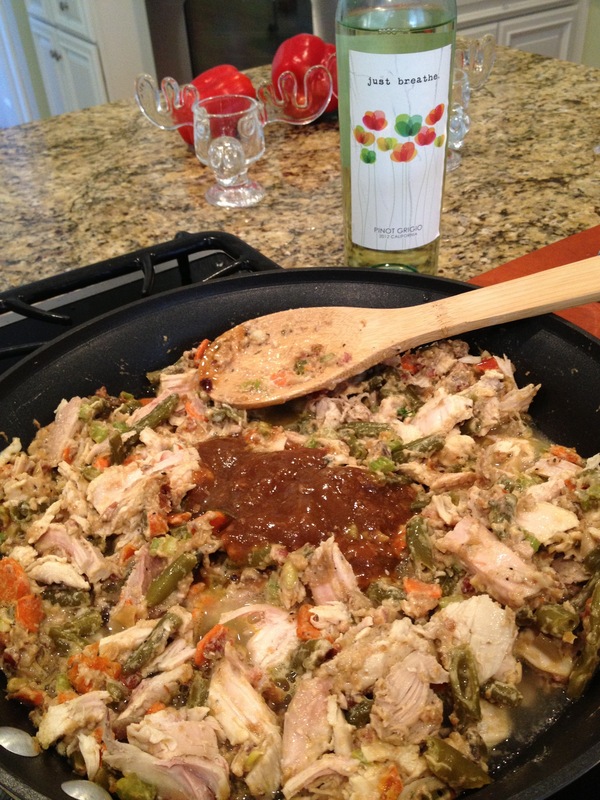 If you have any gravy leftover, this is a great place to use it! It will also act as a “binder” and add a little bit of creaminess to it. I needed a little liquid, so I also added about a cup of white wine. You could use red wine, beer, or stock/broth for this part as well. Just use enough so your pie won’t dry out and it will be creamy!! Next add any herbs and spices you might want to use. I had smoked my turkey, so I wanted to amplify that flavor. I used a Hungarian Paprika and Thyme. Next I added a handful (cup or so) of frozen peas. You can add these or leave them out. We just adore peas in our pot pies! 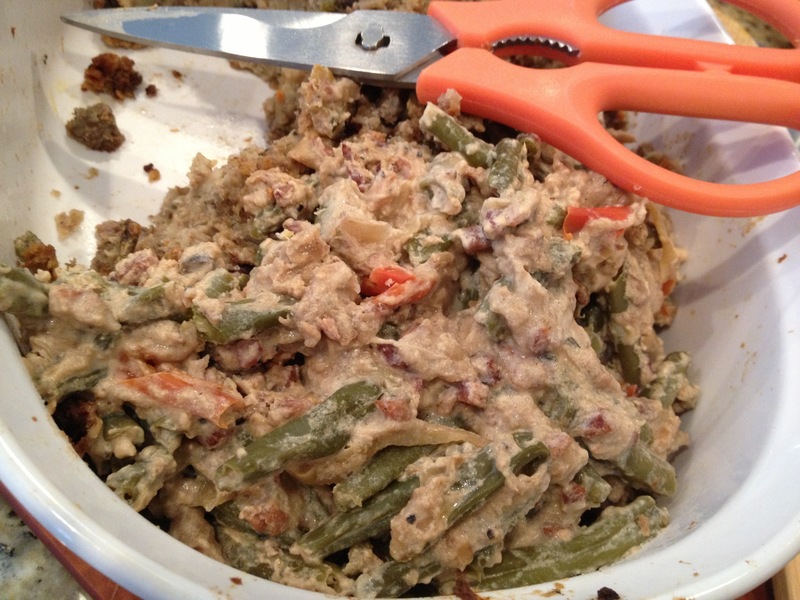 Also, you can use 2 cups of frozen mixed veggies at this step if you didn’t have any green bean casserole leftover. That works great! 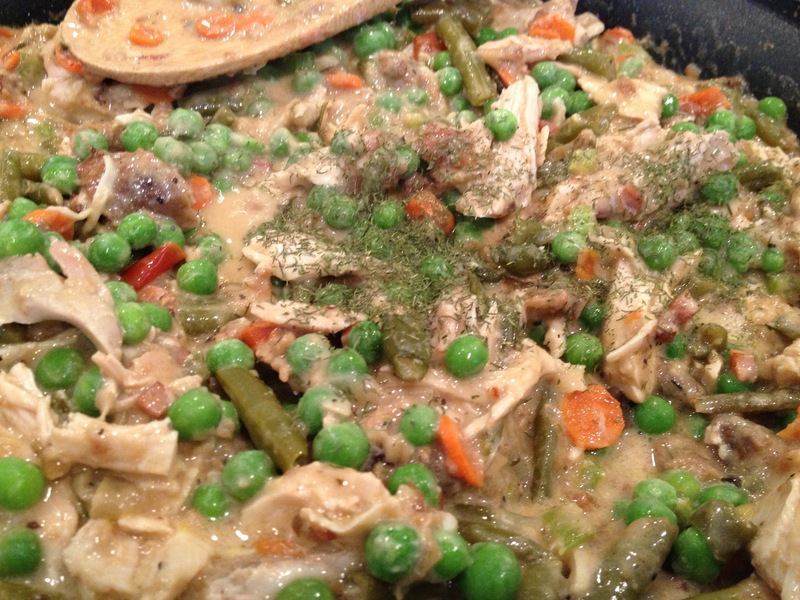 Simply spray a pie plate and spoon the pot pie mixture in it! Can it get any easier than this?!?!! 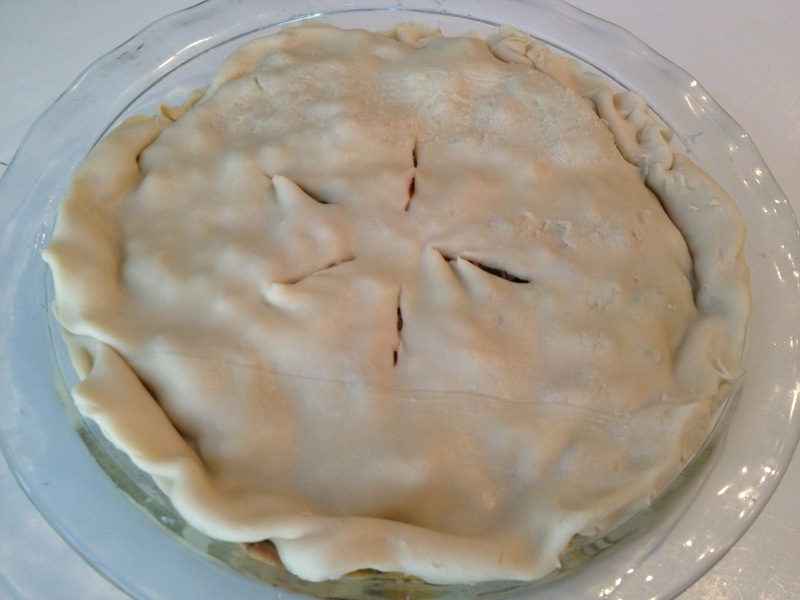 Last, roll a pre-made pie crust out an inch or so (or make your own). Be sure it will cover your entire pie with a bit leftover to tuck into the sides of the pan so the toppings won’t spill out. Then cut a few slits in the top! You can brush with an eggwash or with milk to get a nice crisp browned top. 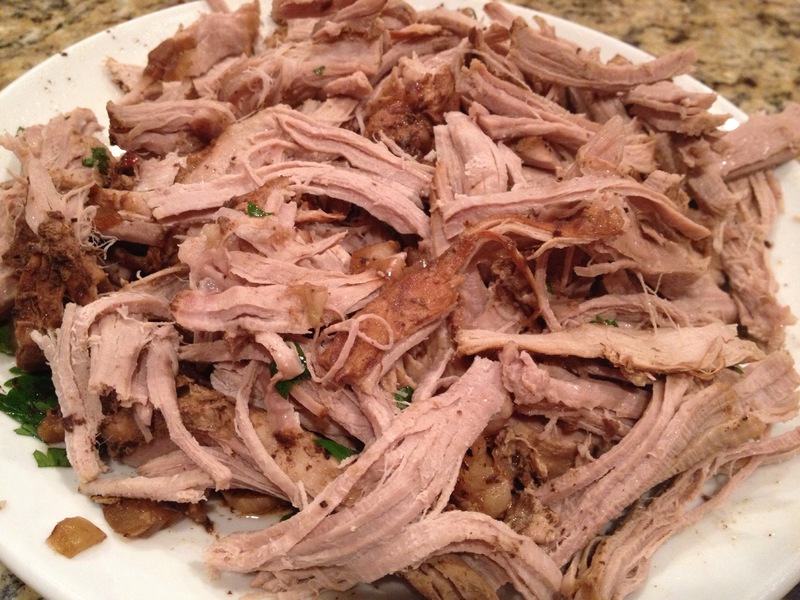 Just wanted to help you out if you were getting sick of leftovers too! 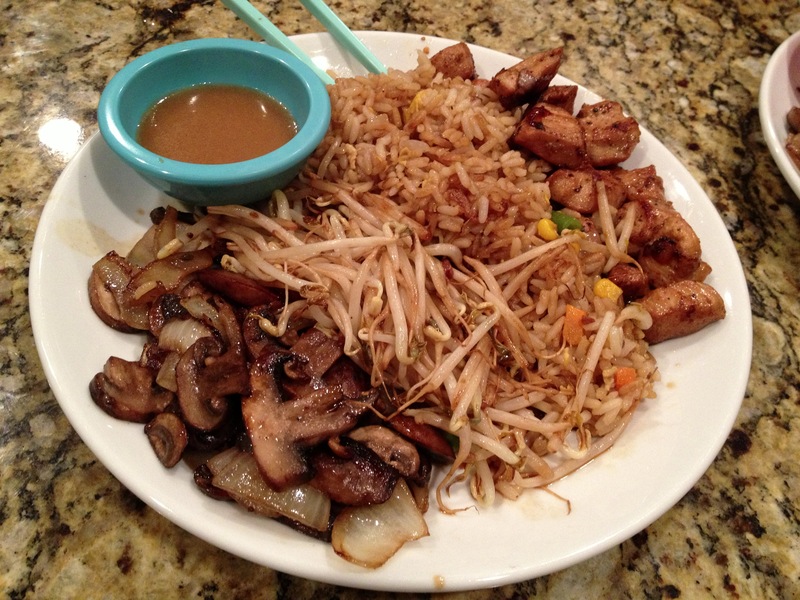 Kabuki, Benihana, Kobe, Makoto, Fuju, Sakura, Ichiba, Genji…..no matter what the name, it’s still your typical Hibachi Style Restaurant. We all know and love them. However, as fun as it is to go and sit around the table with a group, it is NOT fun on your wallet. That’s why I decided to make my own copycat version. It is delicious and tastes exactly like the restaurant version, albeit, I did not possess the incredible showmanship of the chefs there. I had no “onion volcanos”, didn’t make a “sesame street”, and couldn’t flip and spin my spatulas about. However, I did decide next time I could get a handful of shrimp to cook and try to toss them into the open mouths of my family!!! But, I’m still not convinced that the hefty price tag at the restaurant is worth the show. Some nights I’d just rather eat in and save the $$$, especially when you have a family of 4 and can’t fill up an entire table. *I use GrapeSeed Oil because it is a lighter oil with a high cooking temp. And there you have it. Simple ingredients and easy to change up as you like. 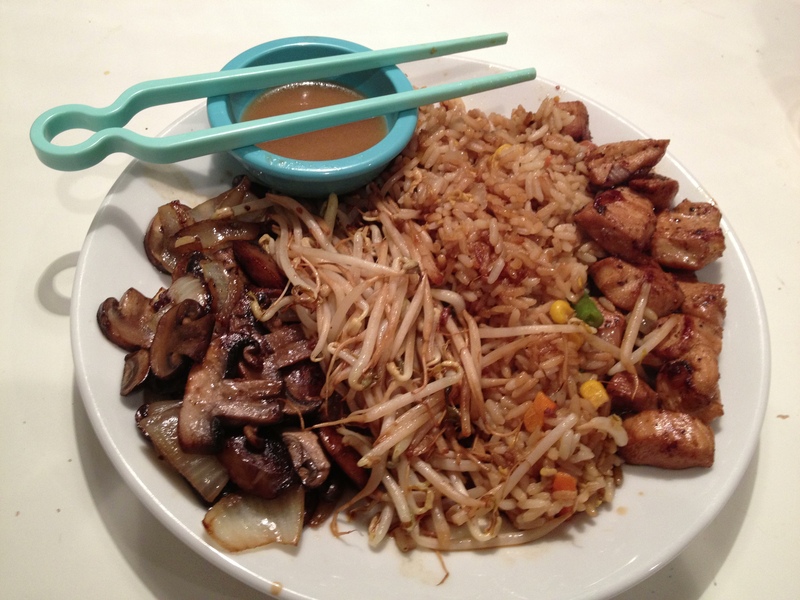 Swap out the Chicken for Steak or Shrimp, or go all out and use all 3!!! 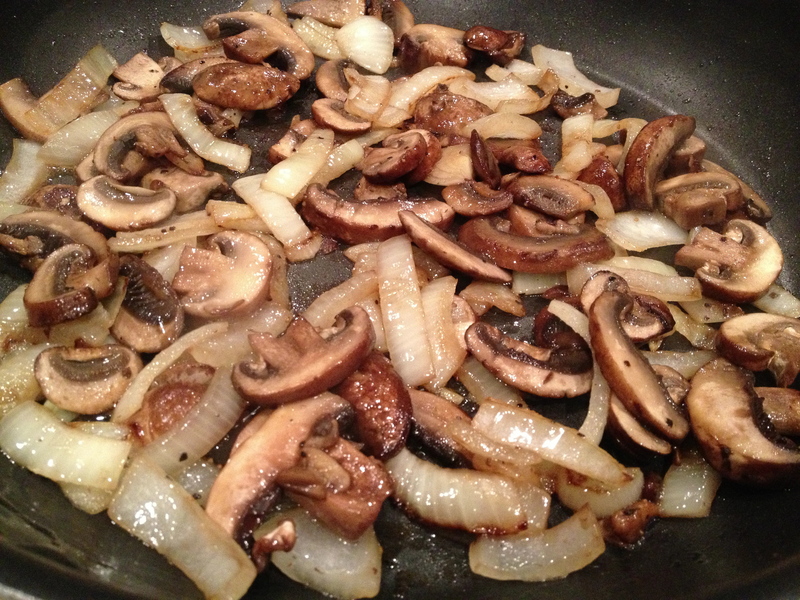 I combined some sliced Onion with both the Chicken and the Mushrooms when sautéing. You can add this or leave them plain. I just love the combo together. 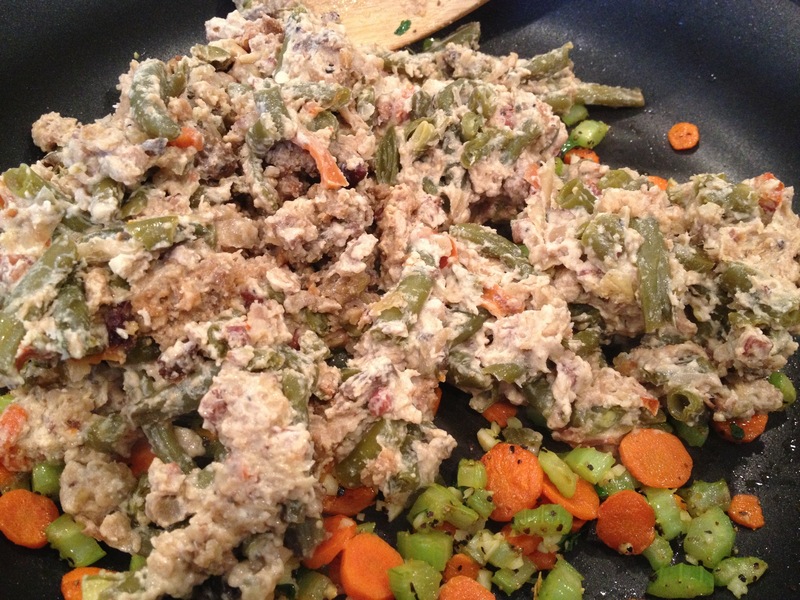 I tried to keep it easy by using about a cup of the organic mixed veggies (peas, carrots, green beans & corn). It worked fabulously. I used 2 large skillets. The first skillet I cooked the chicken and onions, plated, then cooked the mung bean sprouts in the leftover yumminess in the pan. The second skillet I used for the mushroom & onions, plated, then fried up the egg, then added the frozen veggies, then the rice. This method was GREAT!!! Just like the Hibachi Restaurants. Step 1: Cook the Mushrooms in 1 Skillet and the Chicken in the other one! The trick to this is to sauté the onions first in a little bit of GrapeSeed Oil. Season with salt & pepper. When they start to turn translucent, move them over to the side of the pan. Next, add the Mushrooms (and a little more oil if needed). DO NOT TURN THE ‘SHROOMS. Let them sit for a few minutes to get color. Resist the urge to move them about the pan!!!!! After one side is nice and brown, flip them over and mix in the onions so they can all finish cooking and caramelizing together. Plate ’em up! 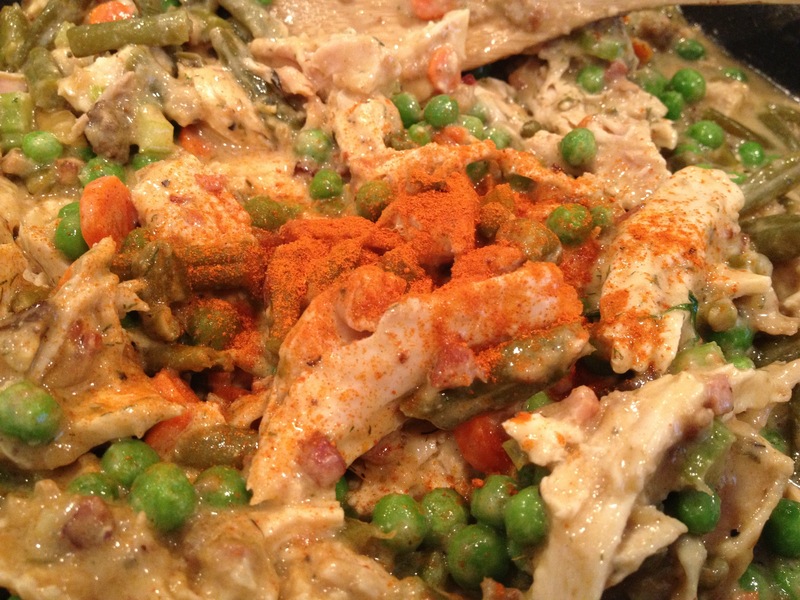 I chopped the chicken earlier in the day, popped into a tupperware and just drizzled each ingredient over top. Then I just put the lid on and shook it up. I let it marinade all day. I recommend at least 1 hour to get the flavor in the meat. Every now and then I would go to the fridge and give it a shake to make sure all the chicken on top was getting some of the love bath as well! Now, while you have the mushrooms going in one pan, you should have the chicken going as well. 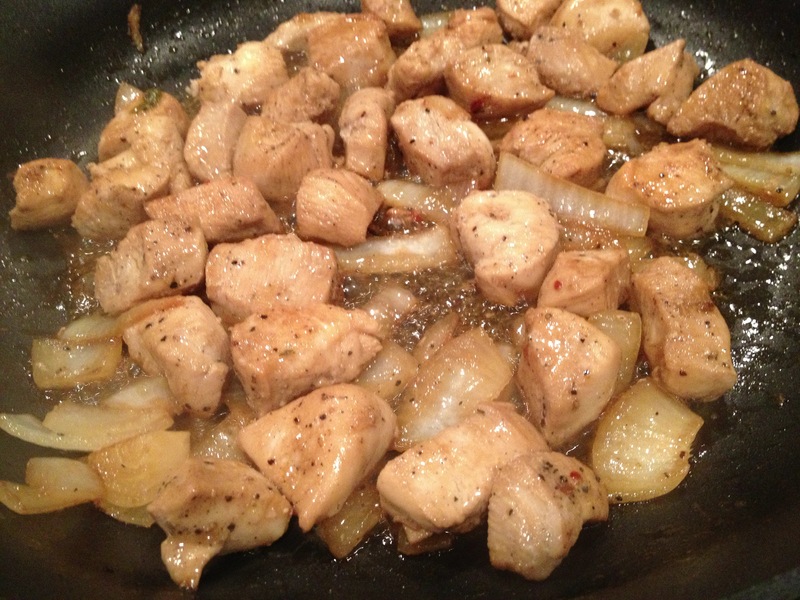 Just drizzle a little oil in the skillet and put in the chicken pieces and onions. I didn’t just dump the chicken in because I didn’t want to excess marinade or the chunks of garlic and scallions going into the pan. Sauté until cooked. Plate it up! Step 2: Cook the Rice in 1 Skillet and the Sprouts in the other! Cook you rice of choice per the instructions. (Usually 1 cup Rice to 2 cups Water). I used a Local Long Grain White Rice. Some recipes say to rinse the rice, some say to toast the rice. I know Rice, at least for me, is extremely difficult to get right. We usually always use Brown Rice, but I found this Local Rice and wanted to give it a try. 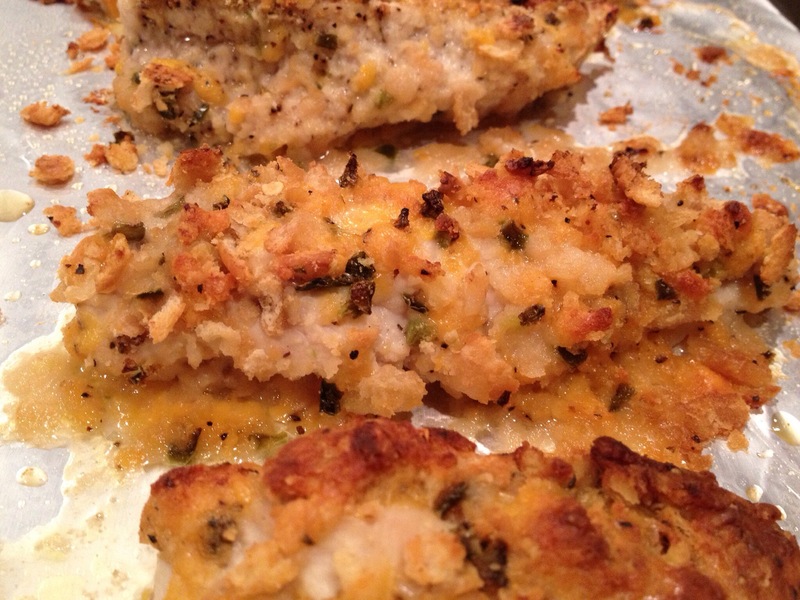 HOLY MOLY… It actually cooked RIGHT!!! I couldn’t believe it. I almost hated to fry it up because it was so light and fluffy. Here’s what I did. I diced up about a half of a small onion. I did NOT rinse the Rice first. I added a T of GrapeSeed Oil and the diced onion, salt and pepper and sautéed for about a minute. Then I added 1 Cup of Rice and toasted it for about 2-3 minutes. Be sure to stir it so the rice won’t burn. Then I added 2 Cups of Water, 1 T butter and a bit more salt. Brought it to a boil, covered, then turned the heat to low. Cooked for about 20-25 mins. DO NOT LIFT THE LID!!! NOT ONCE!!! NO PEEKING!!! Move off the hot burner and let rest for 5 minutes before lifting the lid. Fluff with Fork. 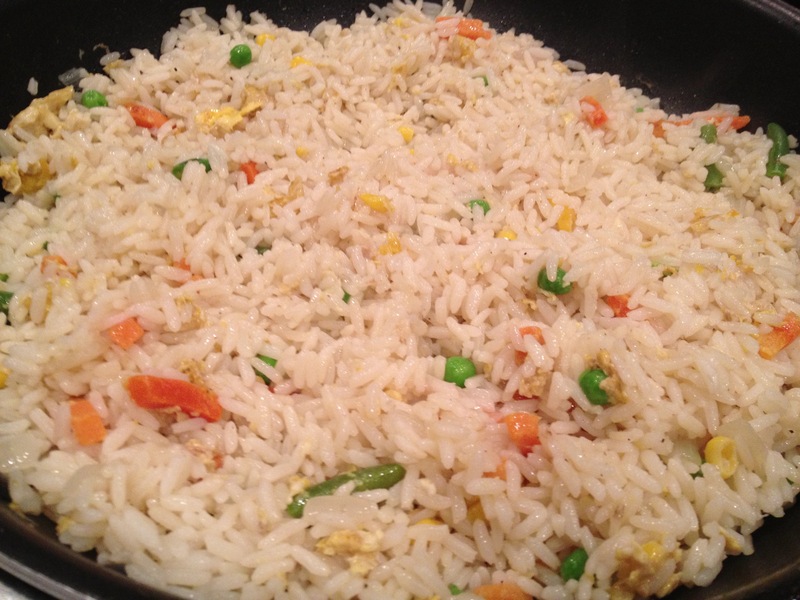 TIP: I did the rice first before starting the rest of the meal, that way the rice was ready to go when I was ready to make the fried rice! 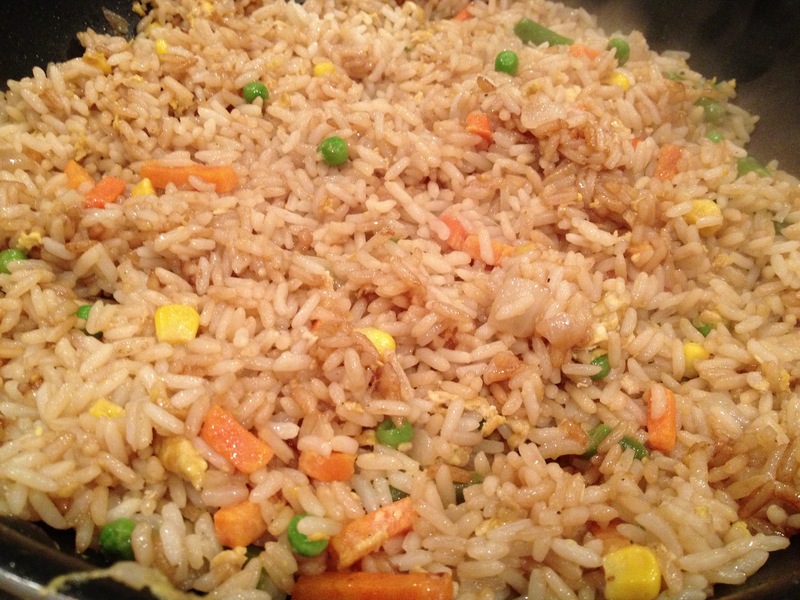 Making the Fried Rice was super easy with the prepared rice. First, in the same skillet that the Mushroom and Onions were cooked in, I cracked and egg and fried it up. Then I tossed in a Cup of the Frozen Mixed Veggies. Cooked them for a min or so to warm them up. Then, just added the prepared rice on top and fried it up! Mix it a few times and then take the Low Sodium Soy Sauce a few turns around the pan. Toss. Let cook a minute longer. If you let the bottom get a little crispy it is so so soooo worth the wait! Plate up! After plating the Chicken and Onions, you should still have a little ooey gooey caramelized goodness in the pan. For the love of food, do NOT get rid of it! Throw your sprouts into the pan and let them soak all that delicious Kar-aki Sauce, or whatever you may have used. These only take like a minute to warm up. You don’t want to overcook them and loose the crunch. OMG. I could eat an entire plate of these!!!! 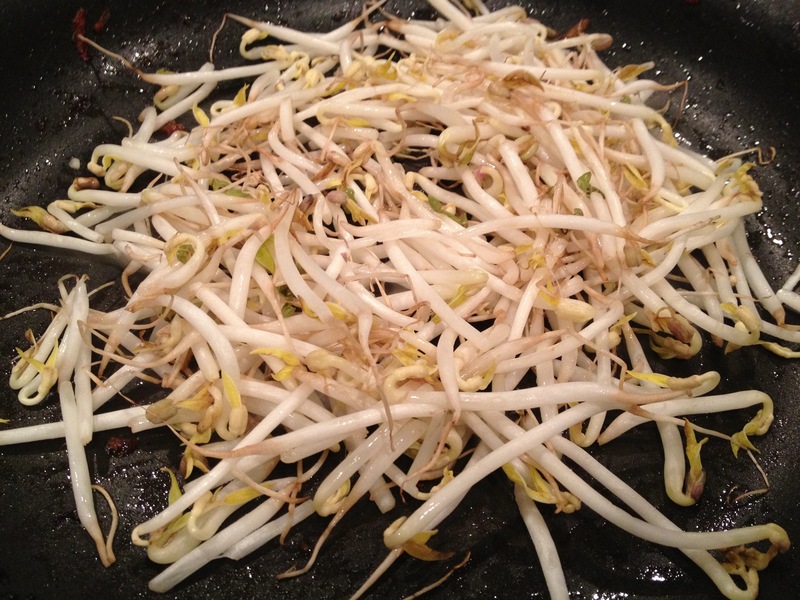 TIP: If you don’t have any delicious drippings left in the pan, just toss the sprouts in and add a tsp of Soy Sauce. Now, dinner should be all plated up and look just like the restaurant. I used 2 bottled sauces to serve it with. 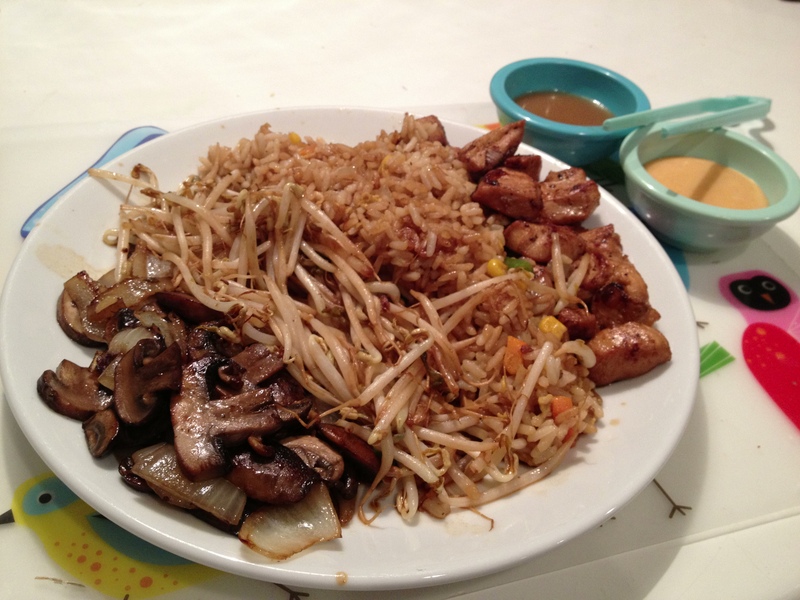 For the White Sauce, my brother bought me Terry Ho’s Yum Yum Sauce. It was pretty good. 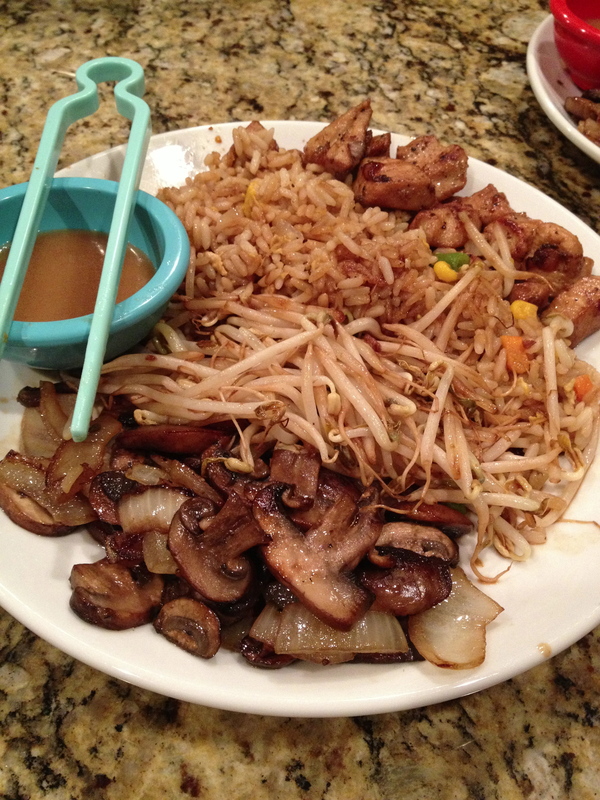 On its own, it wasn’t exactly like the ones in the restaurant, but when you dipped the rice in it….DELISH!!! Not bad for a copycat bottled sauce. For the Ginger Sauce I used Whole Foods Organic Ginger Soy Vinaigrette. Vegan and only 50 calories per serving (2 T). 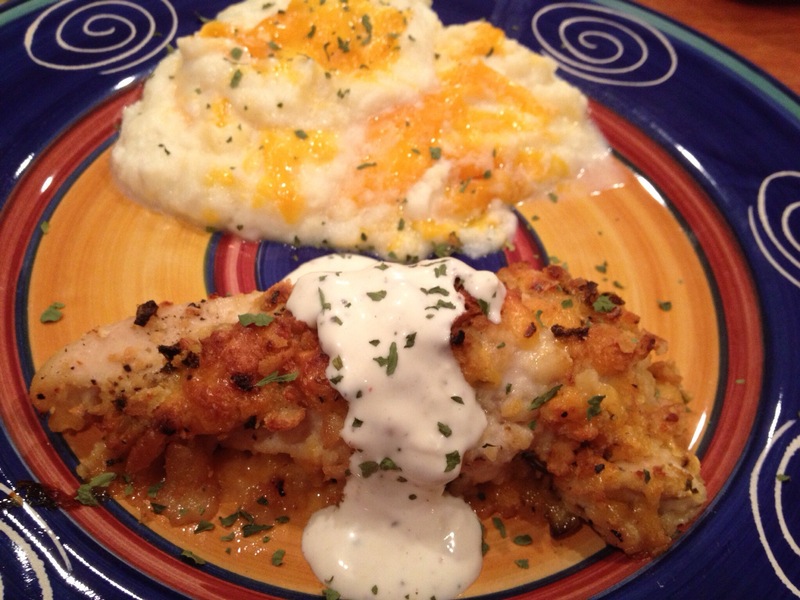 This worked out wonderfully and was absolutely amazing on the chicken!!!! 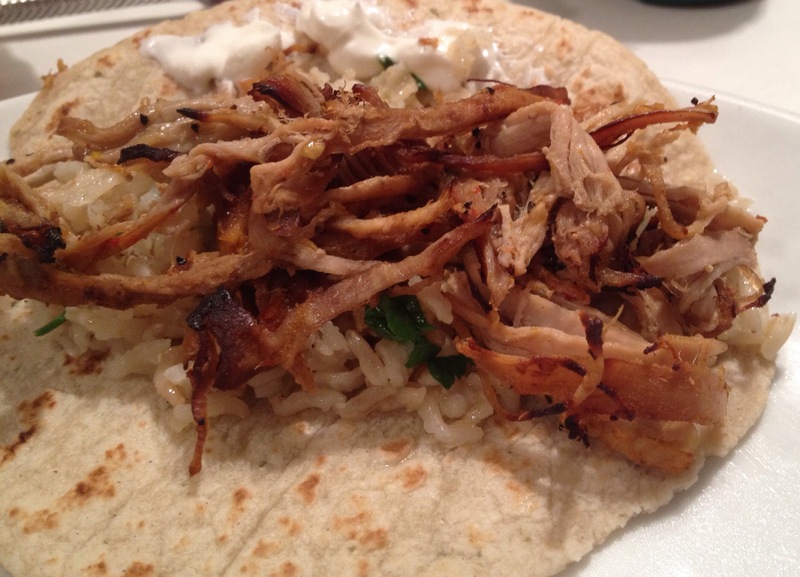 Like I said, this really is simple to make and so delicious and filling. It tastes exactly like the restaurant, just a lot lighter on your wallet!!! To make it easier to make at home, I did a few copycat cop-outs. 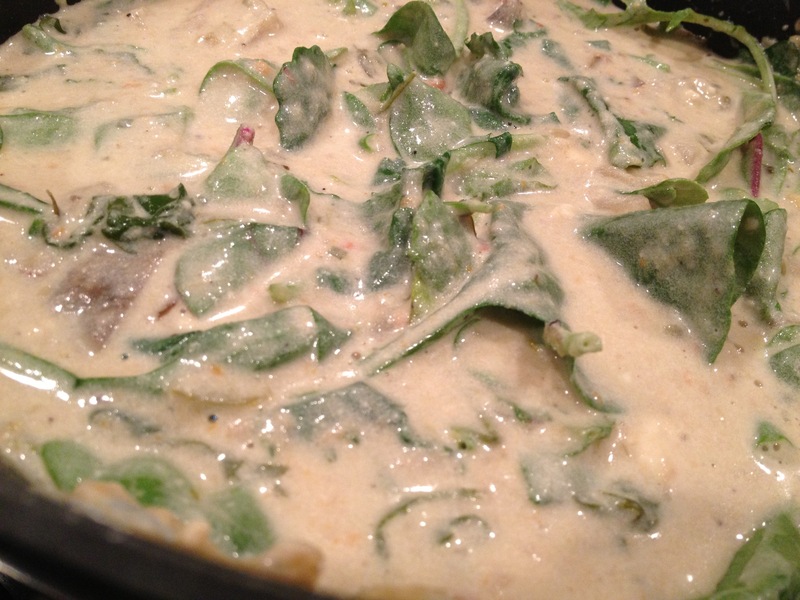 The White Sauce and Ginger Sauce. So, I am going to try and recreate some of these on my own. I’ll try and make a homemade Yum-Yum Sauce and a Ginger Dressing to share with y’all. 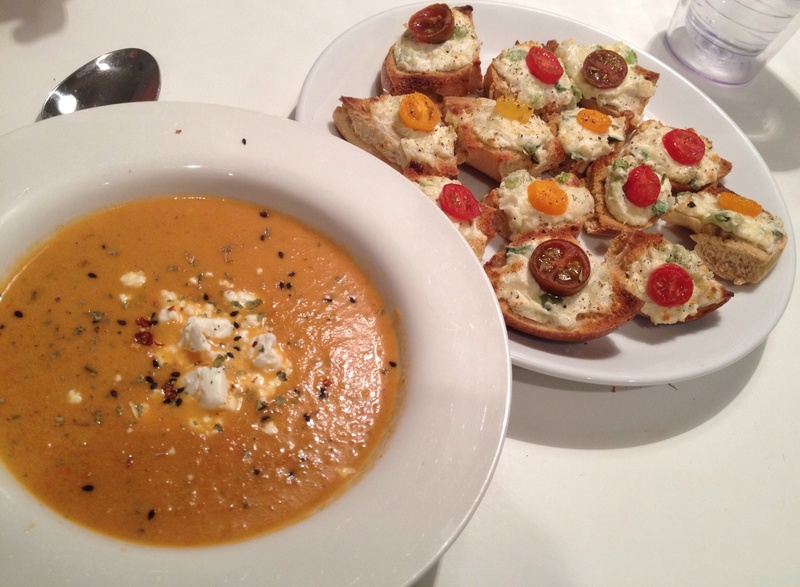 I already know how to make the delicious soup….but I’m saving that one for another day! 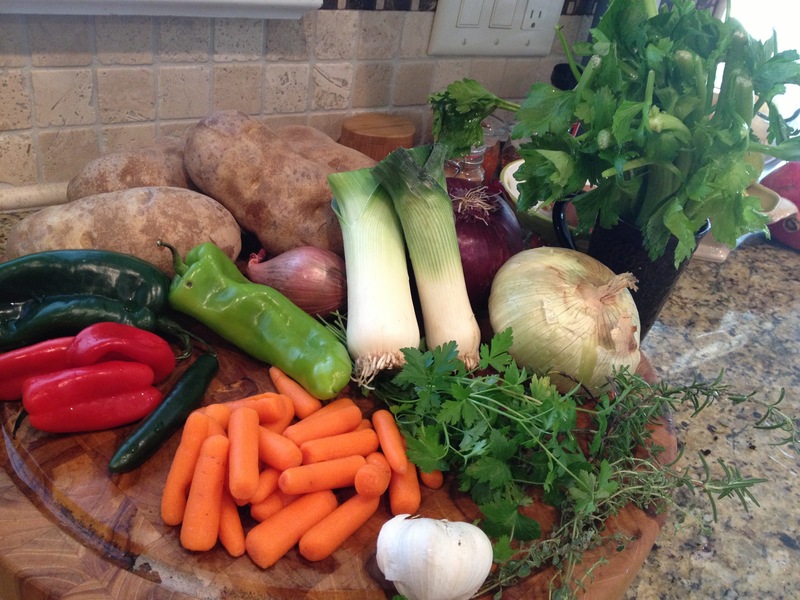 Now that the weather is starting to cool off…..It’s SOUP TIME, Y’all!!!!! One of my favorite times of the year. I love the crisp chill in the air and the tantalizing smell of garlic and onions sautéing wafting throughout the house. Nothing, and I mean NOTHING smells better than that!!! I was going to make a Potato Leek Soup to share with y’all, but I could only find 2 decent leeks at the market. So, I rolled with the punches, as I do a LOT in cooking, and created a Super Delicious, Mouth Watering Rustic Feta Potato Soup. I call it “rustic” because I use lots of fresh veggies and keep the skin on the potatoes. I pretty much always leave the skins on my organic potatoes, not matter what I am making (mashed potatoes, roasted potatoes, soup, etc). 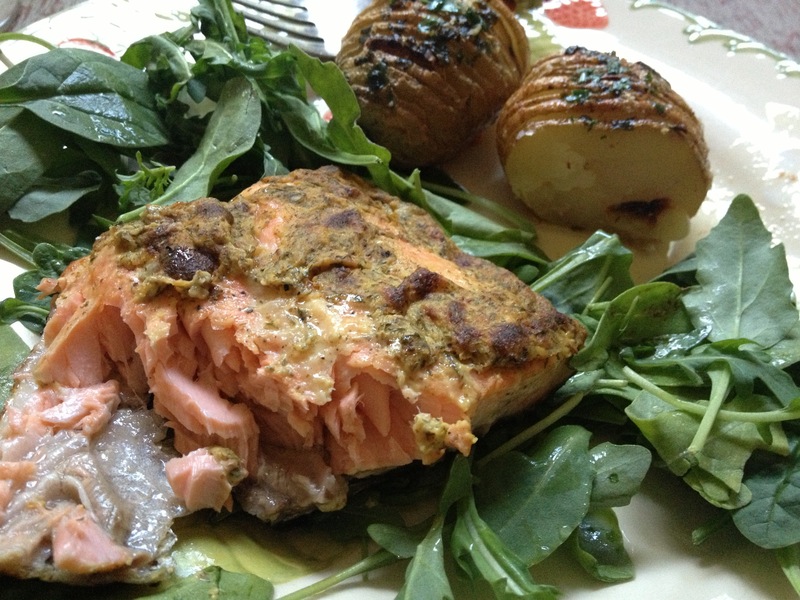 I like the texture and for the added health benefit that most of the good nutrients are in the potatoes skin. Why take the time to peel them if I enjoy the taste AND its better for me??!?! That would just be silly. 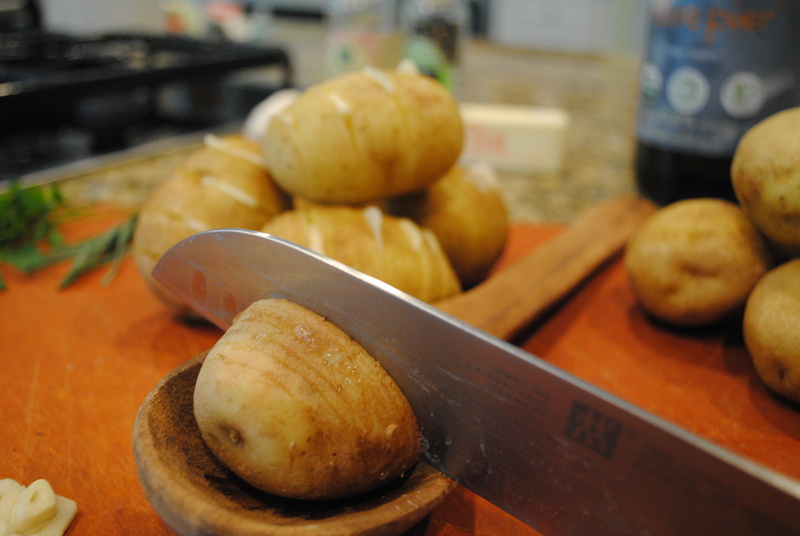 But, as always, if you don’t care for it…peel the potatoes….you’re the one that has to eat it! Also, I used a variety of herbs and peppers and onion that I had on hand. Feel free to Use What You Got!!! !The onions and peppers do NOT have to be the exact same ones that I use. 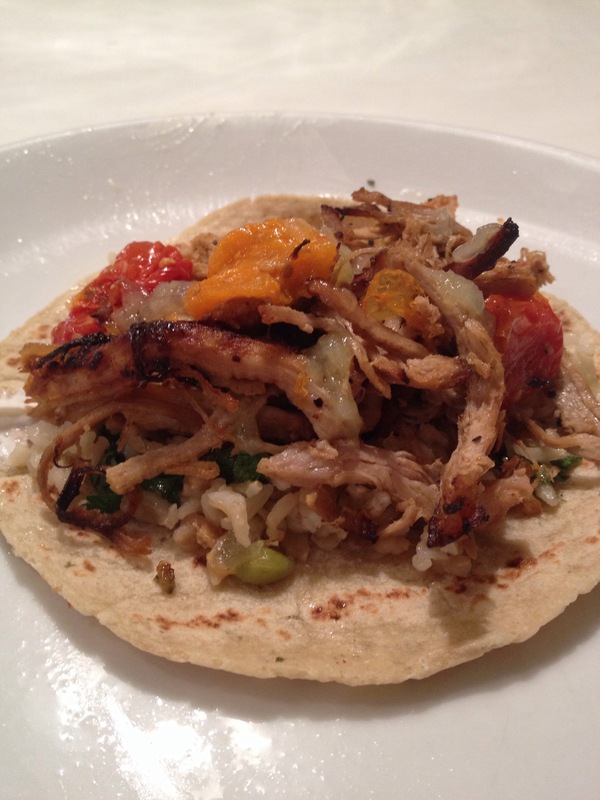 If you don’t like heat and spice, leave out the serrano pepper and just use bell or sweet peppers. If you only have onions and no leeks or shallots, thats fine. 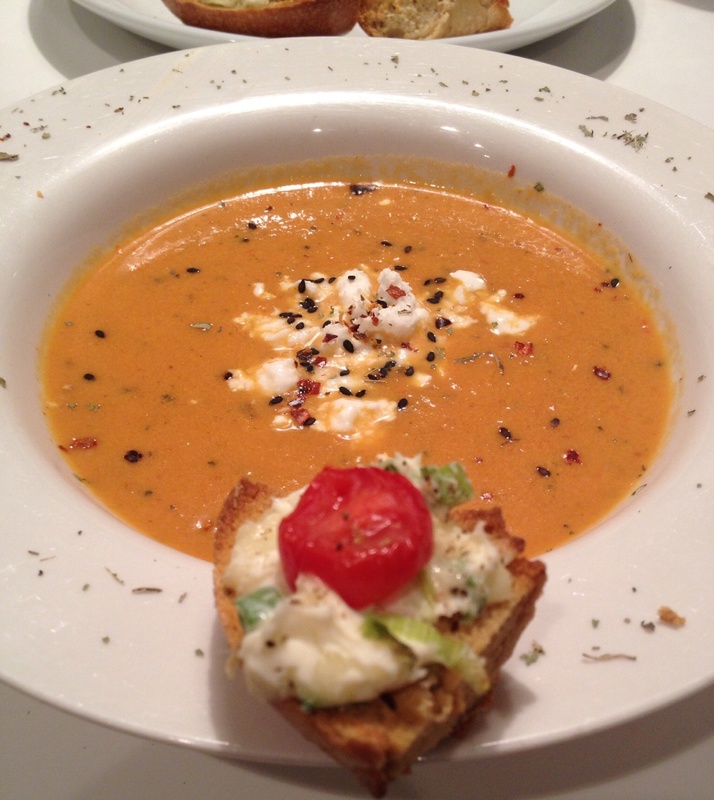 The wonderful thing about soup is that it is amazingly flexible…….almost impossible to destroy! And, every time you make it, you can change it up and use different veggies and herbs until you find the way you like best. I don’t think ANY of my dishes EVER taste the same. That’s why I could never be a chef….Im NOT consistent at all (and I’ve never been to Culinary School or worked in a kitchen!!!!). But, that’s why I LOVE cooking. The mix-up change-up is always fun and the results are (usually) delicious! 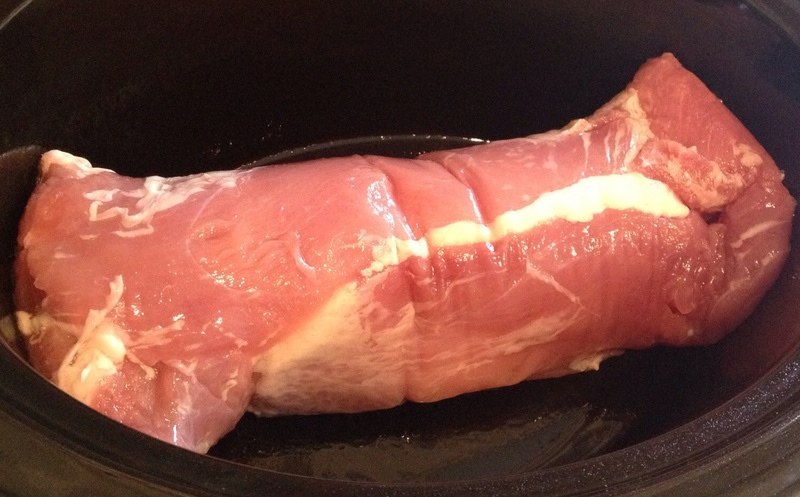 But, Let’s start with first things first….Pancetta. 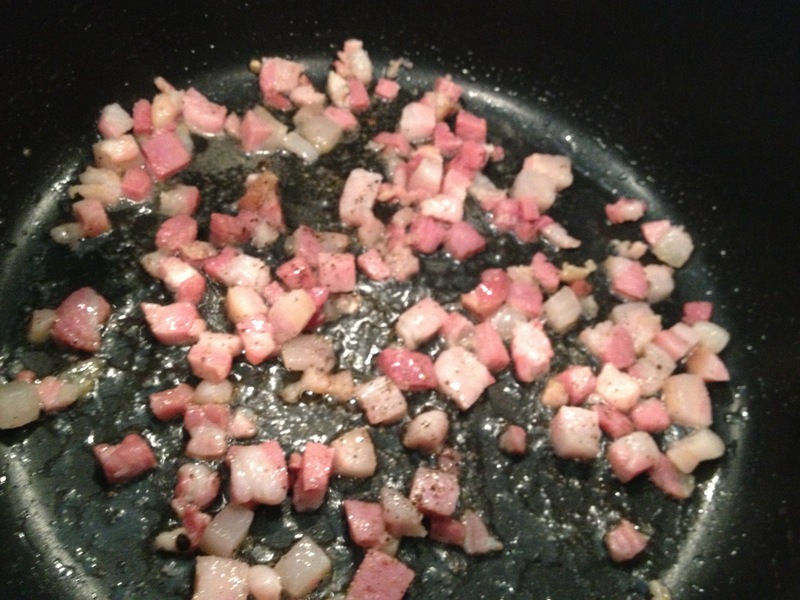 First, I sautéed up some diced Pancetta. You could sub bacon with no problem. 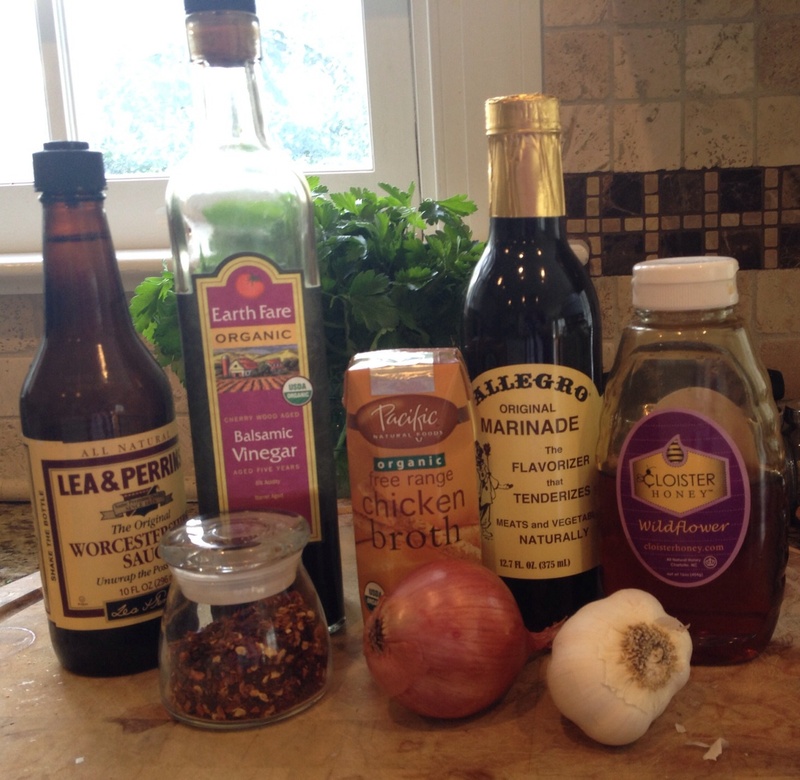 I figure, what’s a better way to top your soup AND a wonderful grease to sauté your veggies in! 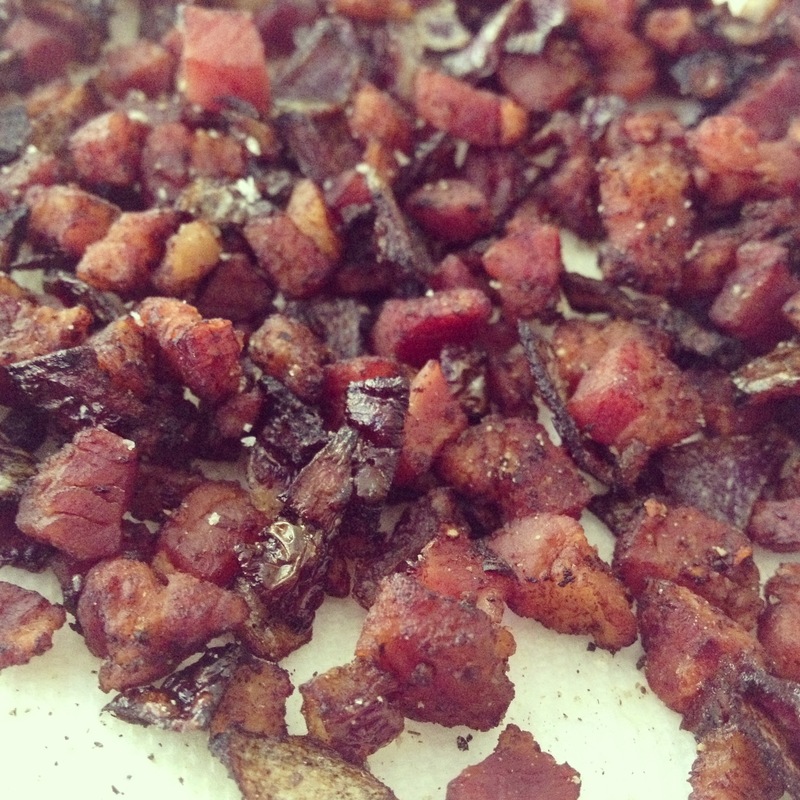 I cooked the pancetta for a few minutes, then added in some diced red onion as well. Don’t add in the onion at the beginning bc it will burn before the pancetta is crispy! 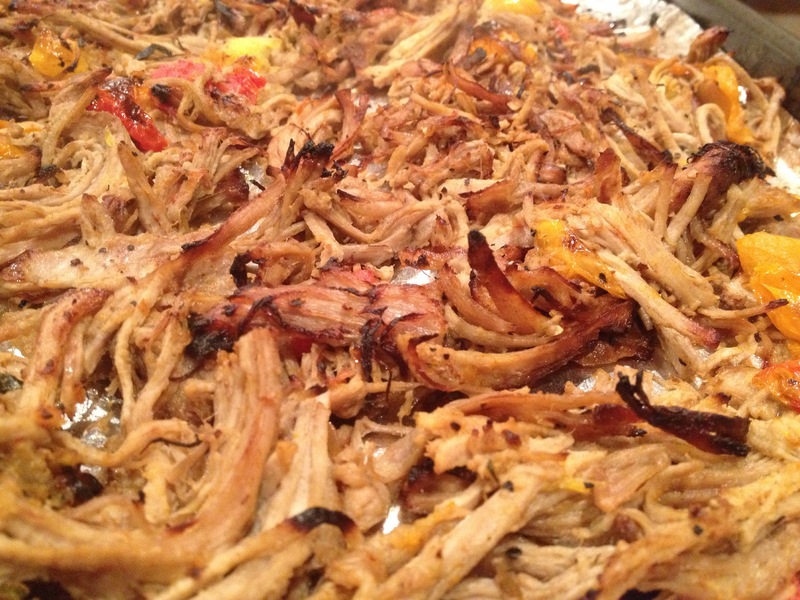 When it’s ready, with a slotted spoon, place onto a paper towel to drain the excess grease. Be sure to leave as much fat as you can in the pot for the veggies. Then, if you live in my house……you must HIDE THE CRISPY HEAVENLY little bites from the kids and hubby, or by the time the soup is ready it will be gone. Seriously. That’s how good this stuff it. TIP: If you are a vegetarian or simply do not have bacon or pancetta, skip this step and just use a good quality EVOO to sauté the veggies in! No worries. 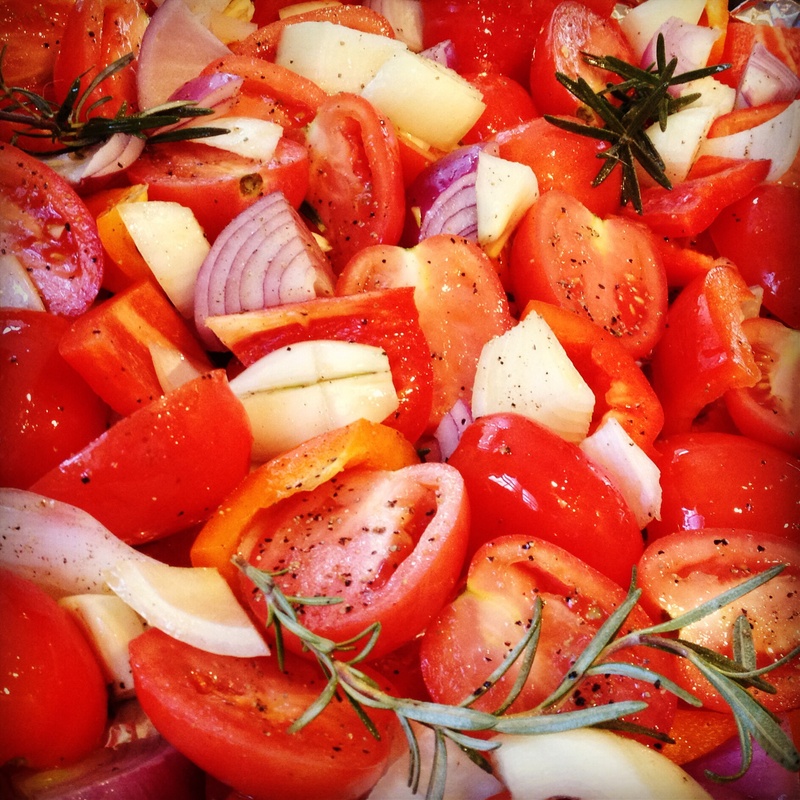 While this heavenly concoction is cooking, prep and dice your veggies of choice. And, be sure to clean your leeks. I’ll show you how. Leeks contain a ton of dirt and sand and you want to make sure to get all of that grit OUT! There is a pretty simple method to do this. Fill a large bowl with cold water. 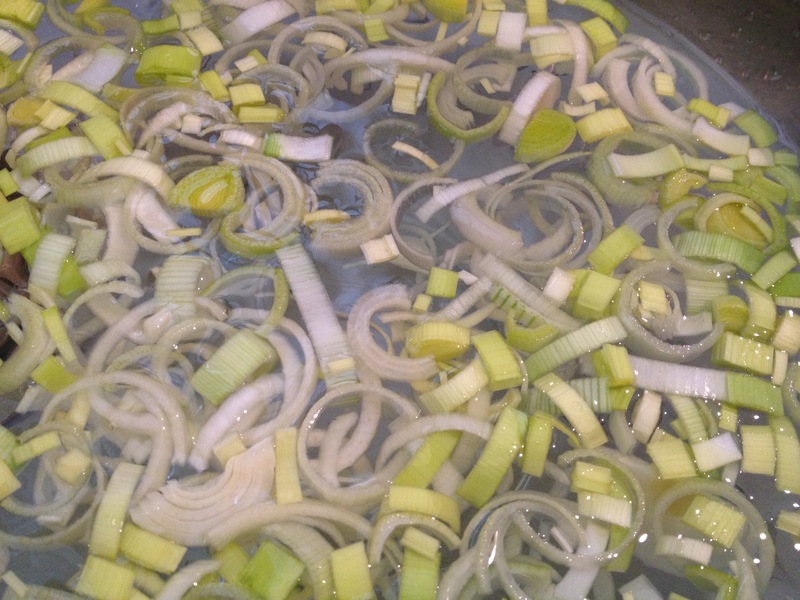 Thinly slice the leeks using only the bottom white and light green parts. Throw the top stems into the compost! Put the slices into the water and toss with your fingers for a second to separate the pieces. Let them sit for a few minutes. 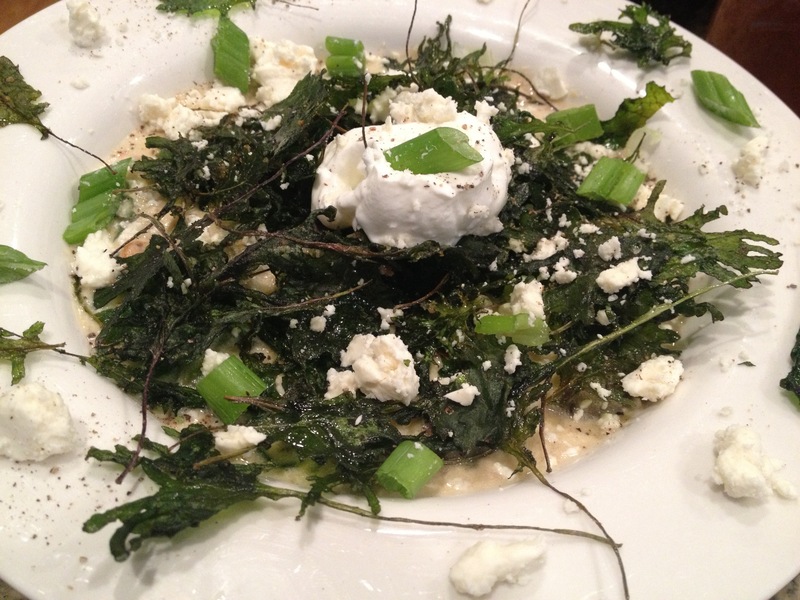 The grit will sink to the bottom of the bowl and the leeks will float on top. Scoop out the leeks and voila, clean leeks! You are ready to go! Look at the beautiful vibrant colors! 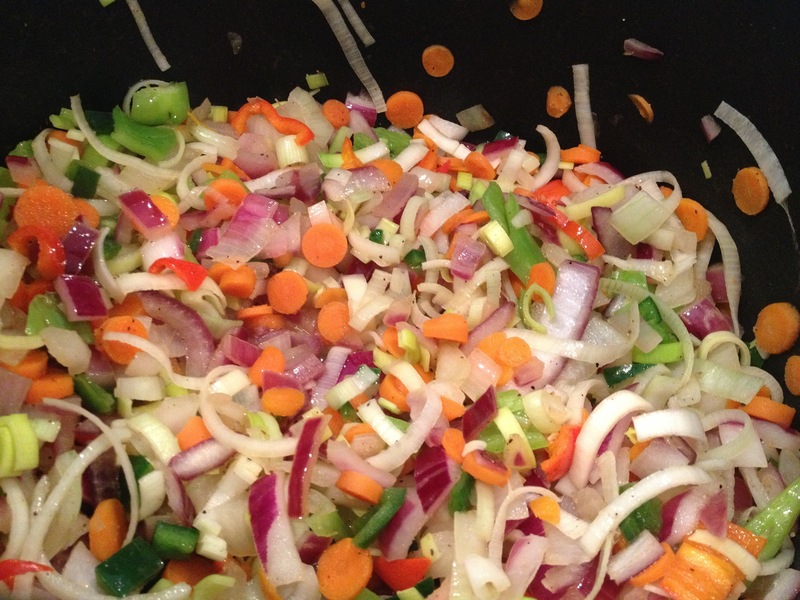 Get your Pancetta fat filled pan and sauté the rainbow of veggies in that deliciousness. Again, use what you got! This is not a normal boring potato soup. I like to include as many veggies as I can for that rustic look and superb flavor. I used carrots, celery, red onion, leeks, and a variety of peppers (serrano, red, poblano, banana). Slice ’em and dice ’em however you like! Sauté over Med-High Heat. 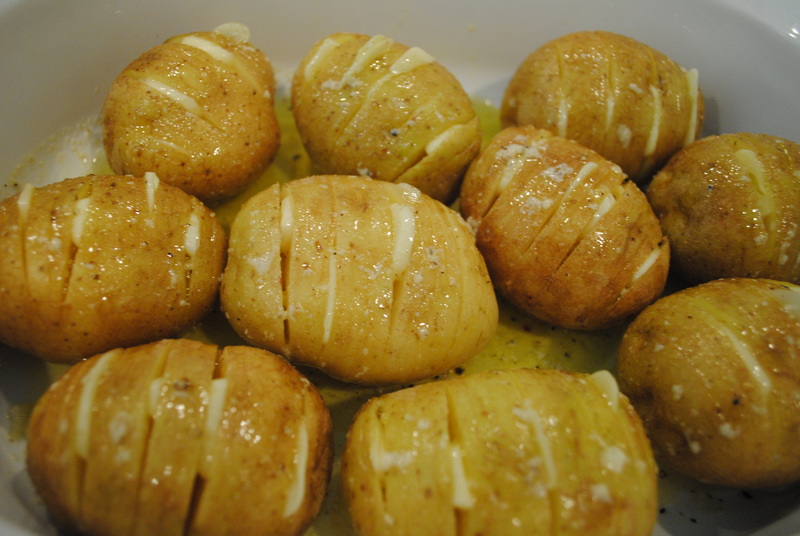 Meanwhile, while your veggies are softening, cube your potatoes. 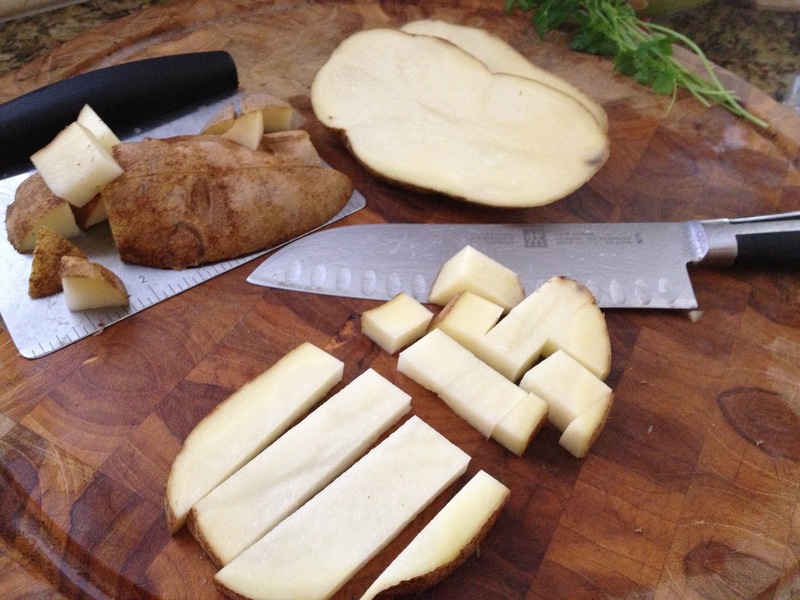 I like to slice my potatoes in 1 inch thick slices lengthwise. Then I stack them together and slice into 1 inch strips (like you are making french fries), then slice them down into cubes. The above pic shows you 1 lengthwise slice that has been cut into fry lengths, and now being cut into cubes. Does this even make sense!?!? 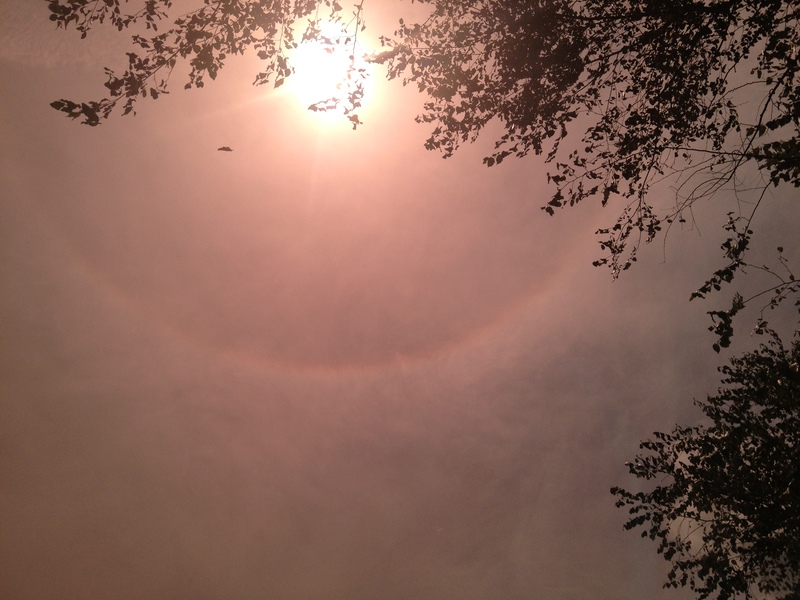 Kinda hard to exlain….so I hope the picture helps you could see how to do it! Make the cubes bigger or smaller if you like, but remember they need to be bits-sized without being too small that they might overcook and fall apart. 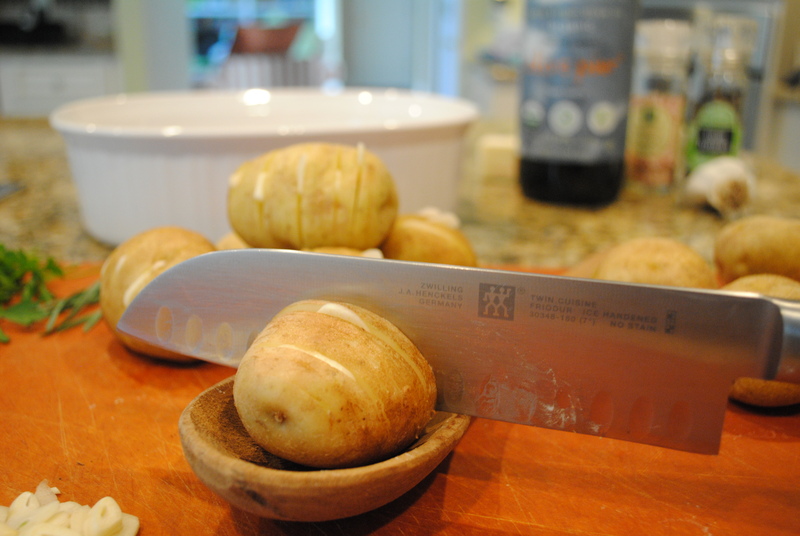 While you are prepping your potatoes, be sure to stir the veggie pot every once and awhile. 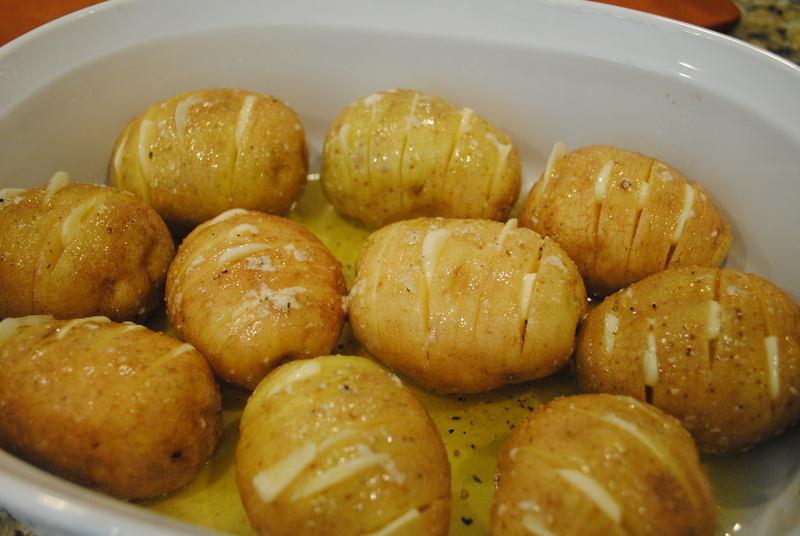 By the time your taters are ready, your veggies should be softening and translucent. 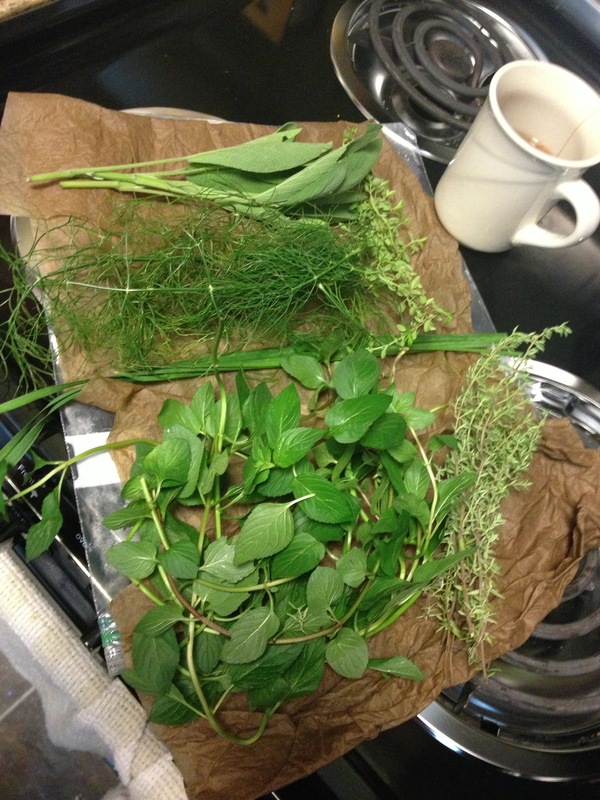 Add the garlic and herb bouquet garni, and season with Salt and Pepper. For my Bouquet Garni I used Parsley, Thyme and Rosemary. I tied the Parsley and Thyme together with the Rosemary and didn’t have to use kitchen twine. Whatever works for you! 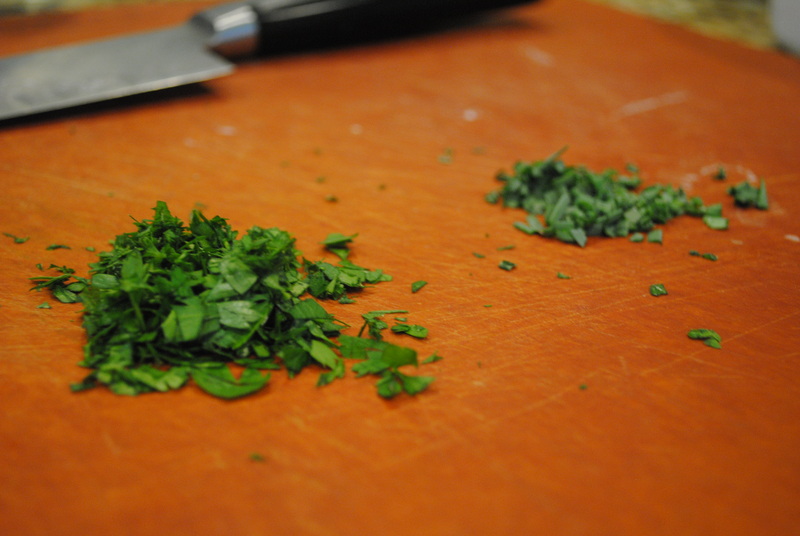 Or, you can chop the herbs up and add them like that as well. I wanted some of the flavor to steep into the veggies, but I didn’t want it to overpower the soup. Thats why I used the bouquet garni so I could remove it later on. 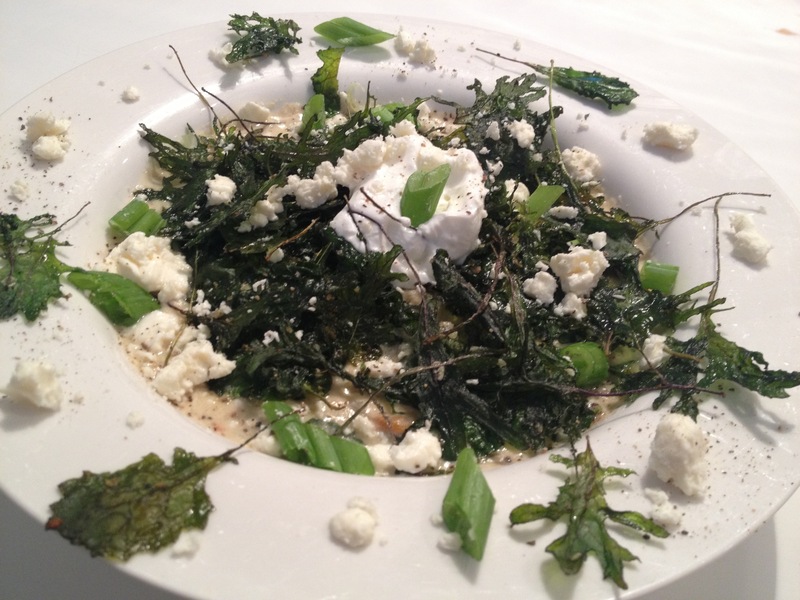 TIP: Under the garlic you see some leaves. These are celery leaves. I ADORE them. 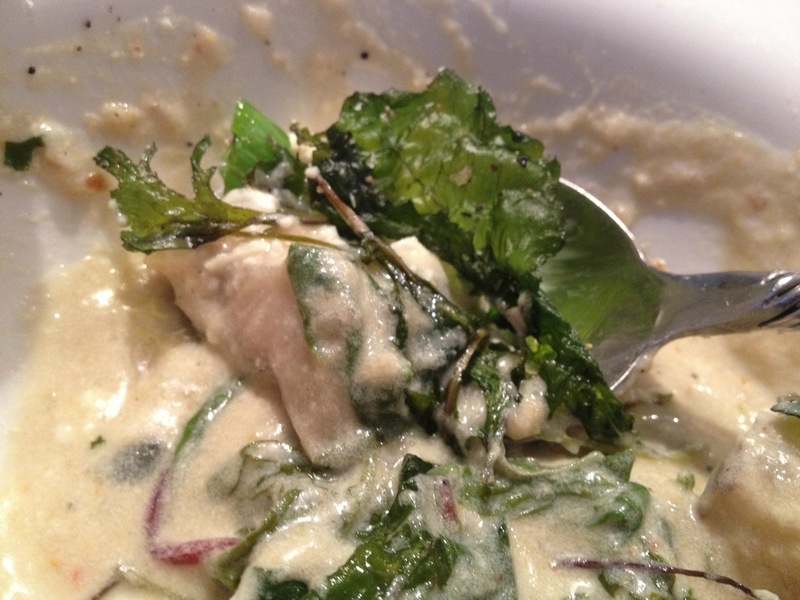 Whenever I’m cooking I ALWAYS include the celery leaves….they have so much flavor!!!! I’m not a superhuge fan of big chunks of celery, so I always dice mine pretty small. The leaves help infuse some of the flavor without the crunch of the celery. Do it, you’ll thank me later. I always try and buy the leafiest celery bunch I can find! 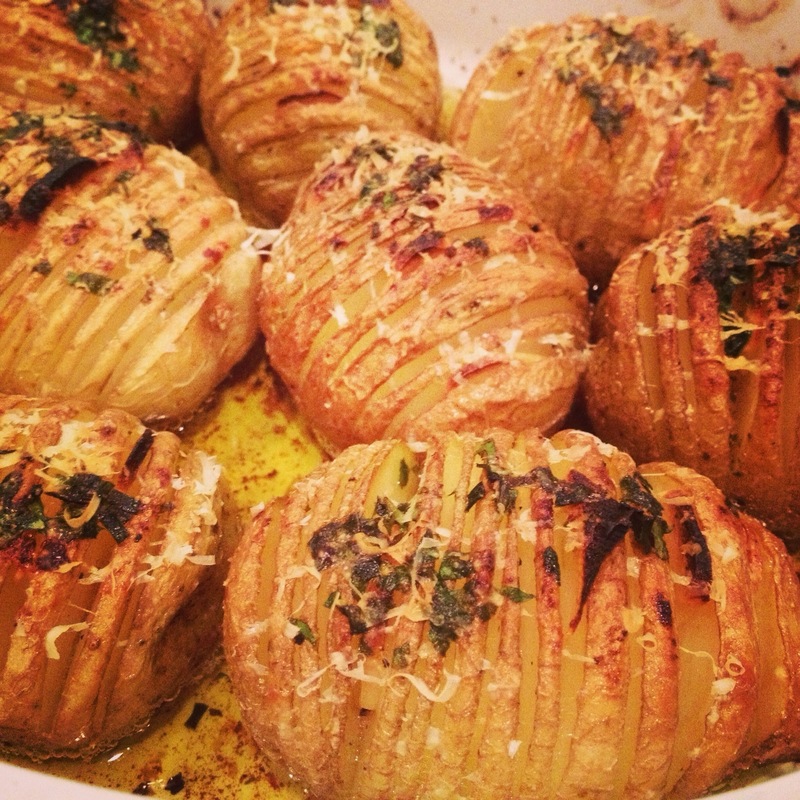 Add your Potatoes and Season! Next, add your cubed potatoes and season. 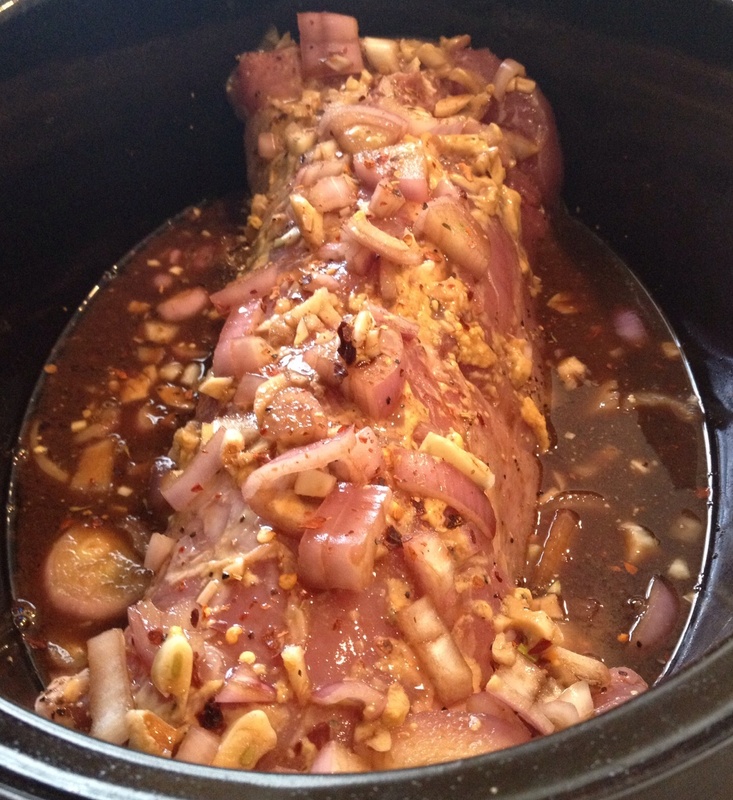 I used Dry Mustard, Salt, Pepper and Worcestershire. Mix them in with the veggies and cook for about 10 mins. You don’t want to overcook them or get the mushy. You can also add your liquids here and not sauté the potatoes at all, but for some reason I think it brings out a better more rounded flavor. I decided to GO FOR IT. Maybe not so healthy, but it does have a ton of veggies, right?!?!! You can use fat-free Half and Half or some Veg or Chicken Stock instead and just add a little bit of heavy whipping cream. But, I say, if your gonna do it, do it RIGHT!!! I had company coming over and decided to go ALL IN, Baby!!!! TIP: Be sure to take your creams and cheese out of the fridge when you start the soup so that they come to room temperature. You want to take the chill off so when you are adding them to the hot pot, they don’t curdle. 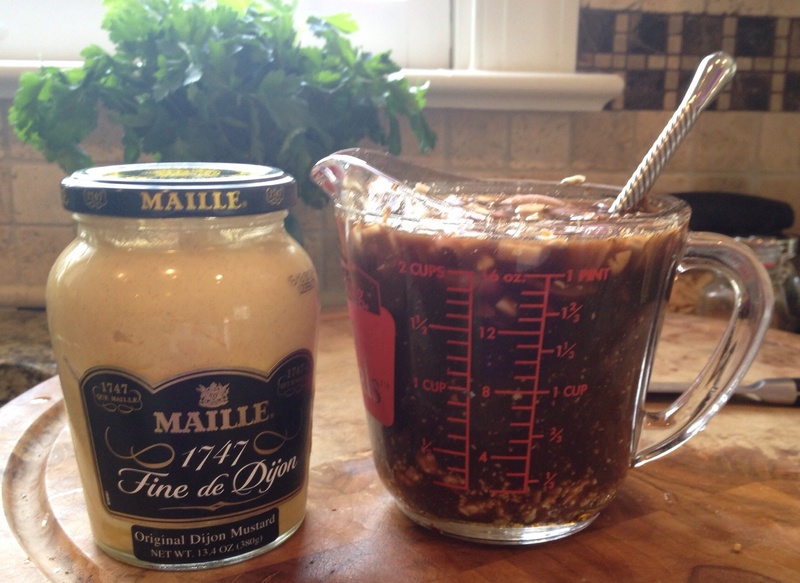 You want to drizzle them in slowly and mix constantly as you pour!!!!! Liquids Ready, now time for the Feta Crumbles! Stir and Taste. Adjust seasonings as needed. I added some fresh homegrown Thyme and Garlic Chives for a nice pop of color. And some Fresh Black Pepper. 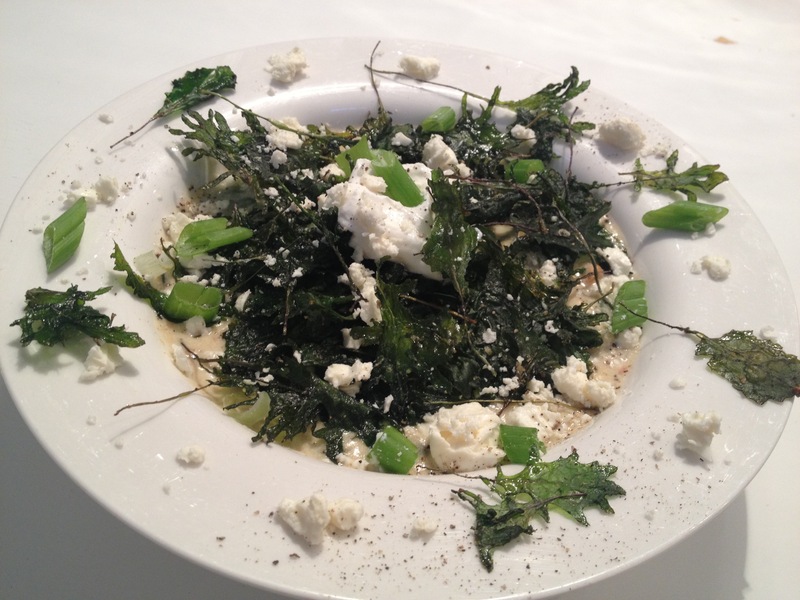 Depending on the quality of Feta you used, you might or might not need to add more salt. Some Fetas are SUPER salty, while others are not. Always adjust at the end before serving. 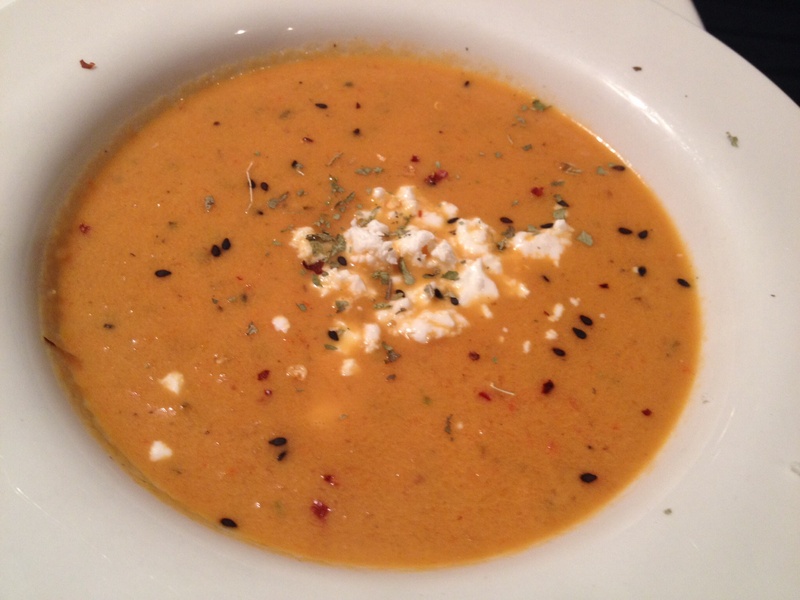 TIP: I used a Boars Head Feta for the Soup, but used a HIGHER QUALITY Feta for the Topping/Condiment Station. 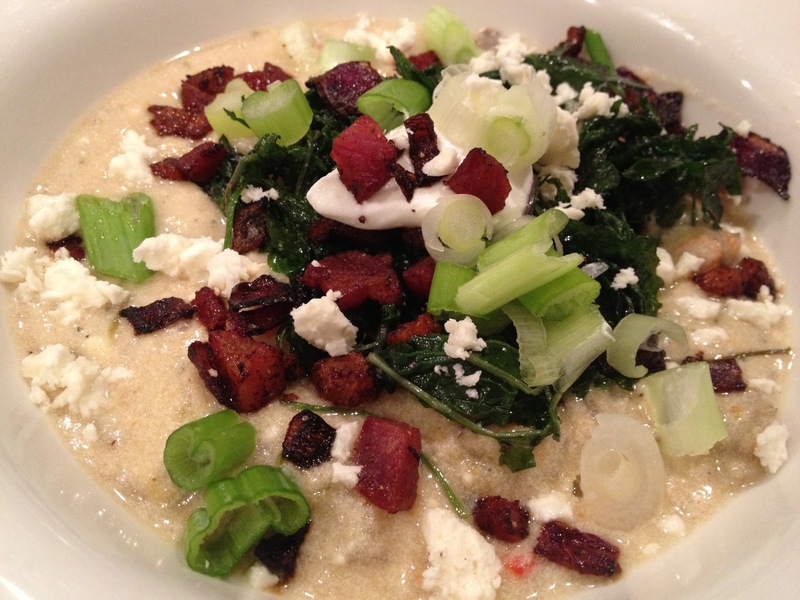 Sour Cream, Pancetta & Red Onions, Crispy Kale, Scallions & Local Feta. These were my toppings of choice. You can use whatever your little heart desires. 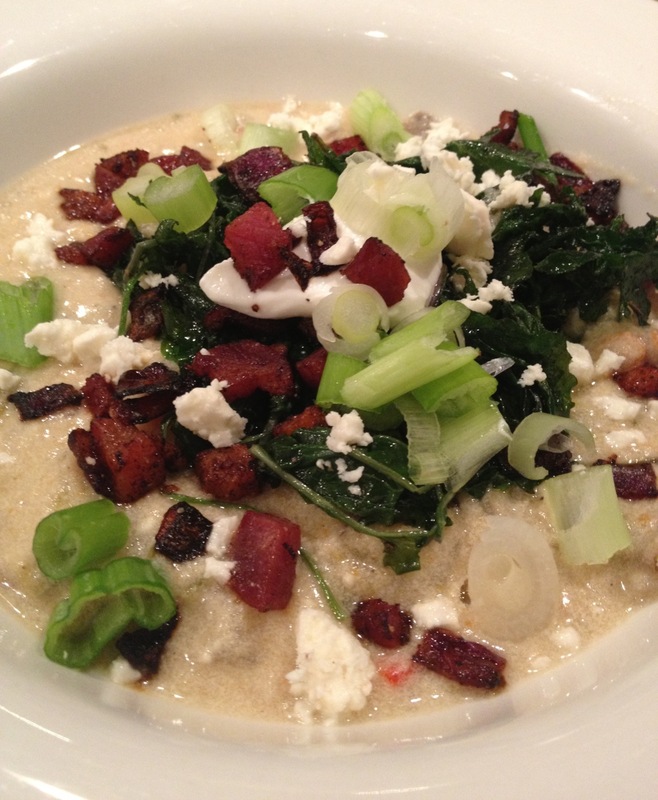 I will say the Pancetta was out of this world and took the soup to a whole other level. 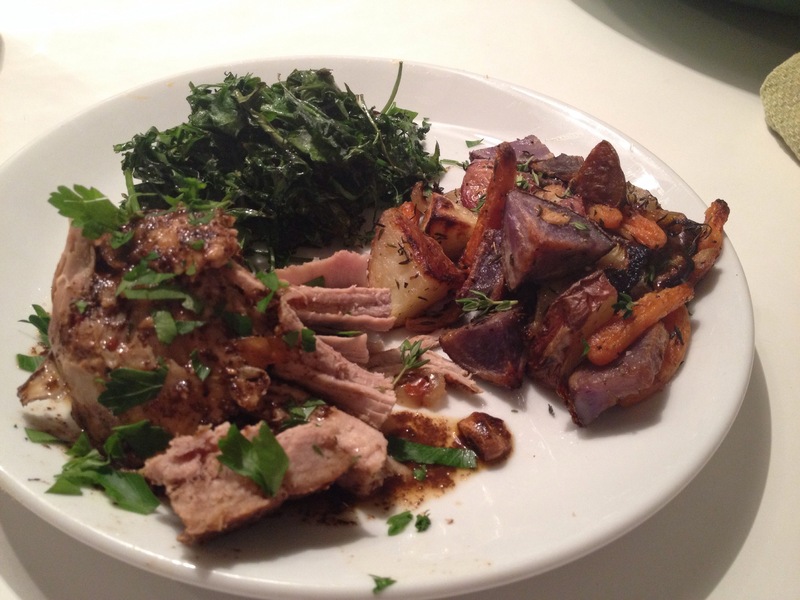 And the Crispy Kale was so damn delicious I’m gonna share how to do that with you! Put a few handfuls of baby Kale into a large bowl (if you don’t have baby kale, you can sub torn bits of kale or chard as well). Drizzle a T of EVOO and dash of Salt and Pepper. Lightly massage with your hands to make sure all the greens are coated. Spread out on a Baking Sheet (lined with foil so it won’t stick). Bake 275 or 300 for about 10 mins. You need to watch it. Don’t let it overcook and get to where it just crumbles and dissolves. You want nice, crispy edges. Then take it out of the oven. 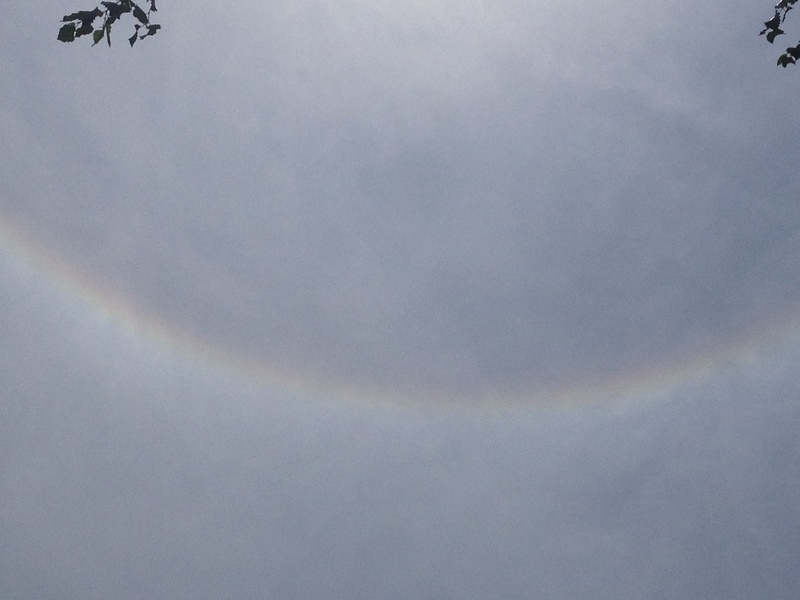 This was perfect around Halloween because it kinda looked like spooky spider webs!!!! 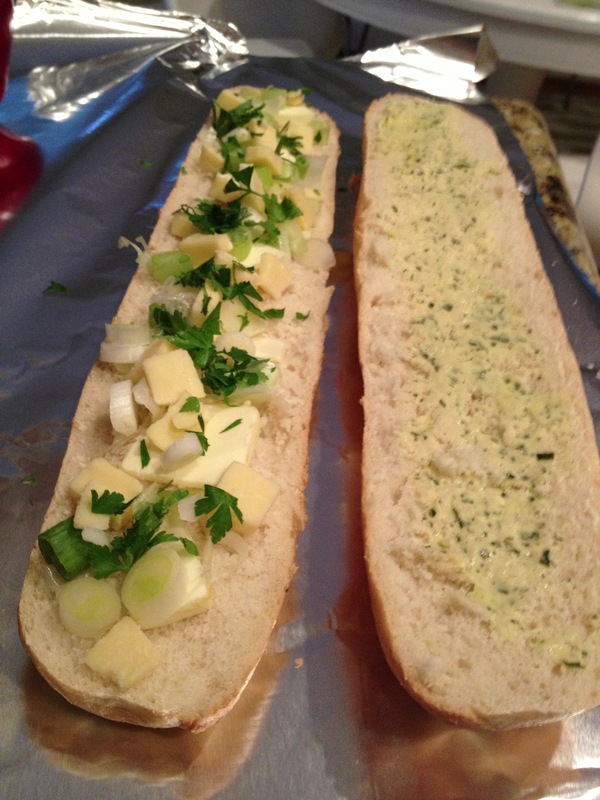 I also served with it a French Bread, sliced in half that I topped one side with a garlic & herb butter and the other side I sprinkled some Monterey Jack Cheese, Scallion & Parsley. Wrapped it up in foil and threw it in the oven along with the kale. Ooey Gooey Garlicy Deliciousness. Now I will list the basic recipe. I am going to keep it simple so you can use what you have in the kitchen. For example, I will list *2 onions* in the recipe when I use 1 red onion and 1 yellow onion. That way you can make substitutions to your personal taste!!! I hope that will help simplify it for you! 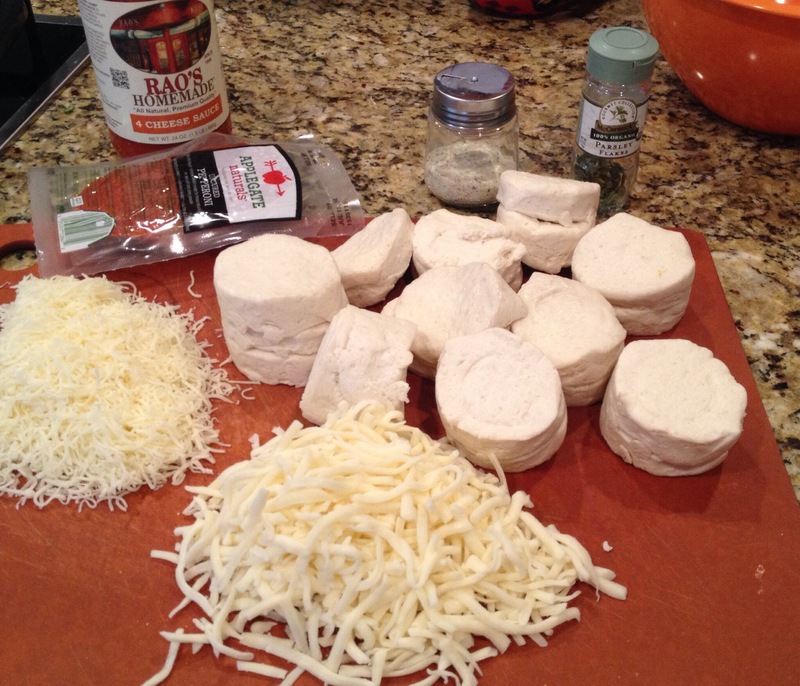 Also, Never Forget: Your food is only as good as your ingredients…. so use GOOD ONES!!!! For all of my cooking I use organic whenever possible. Homegrown and Local is choice for me as well. The better your ingredients, the tastier your food. Trust me. 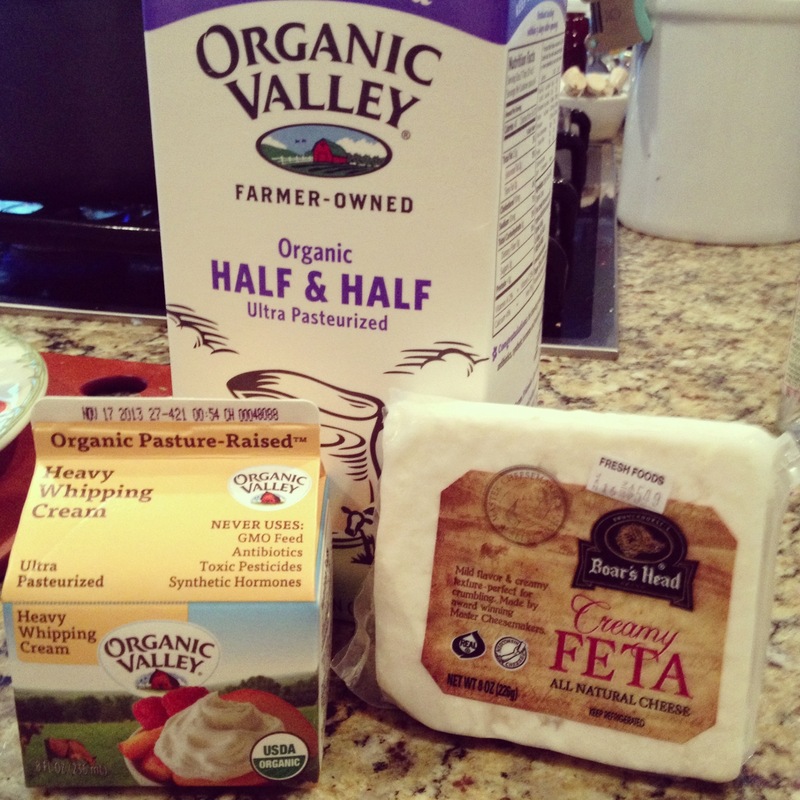 So, while I don’t list ORGANIC in front of each ingredients, its a sure bet thats what I’m using! 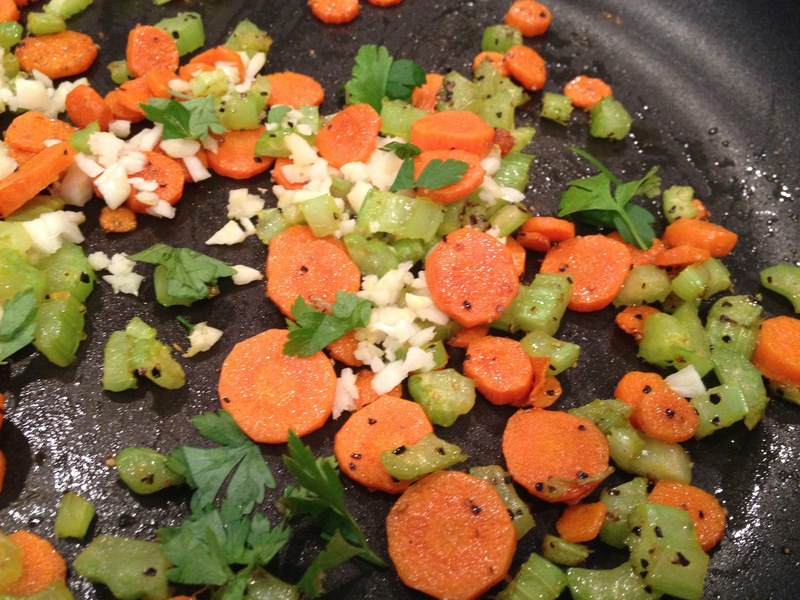 Chop and sauté Veggies over Med-High Heat for 10-15 mins or until softened. Add in Garlic & Herbs (bouquet garni) and cook a few mins more. 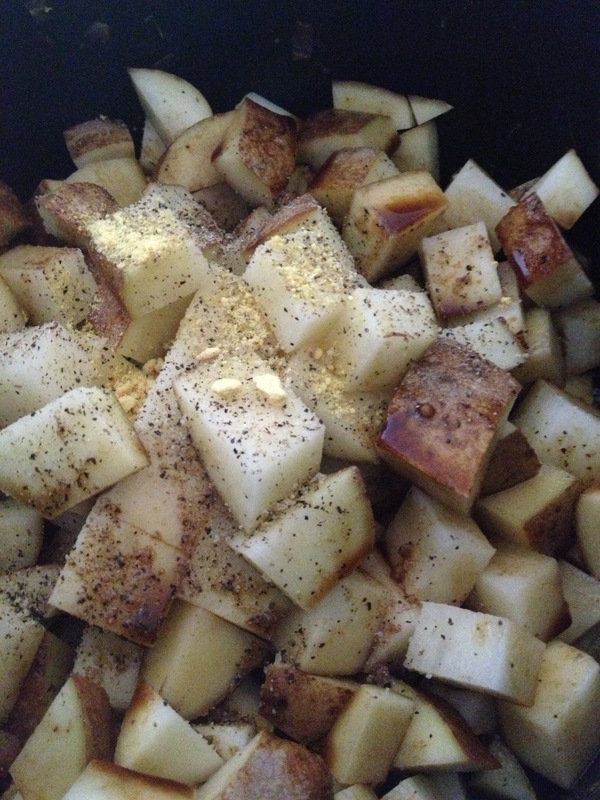 Add in cubed Potatoes, Dry Mustard, Worcestershire & Salt and Pepper. Cook about 10 mins more until potatoes are NOT QUITE FORK TENDER. Slowly add in (stock or a beer if you want to be healthier) Half & Half. Let simmer a bit while it warms. Stir in Heavy Whipping Cream, which should thicken it up a bit. Add Crumbled Feta. Taste. 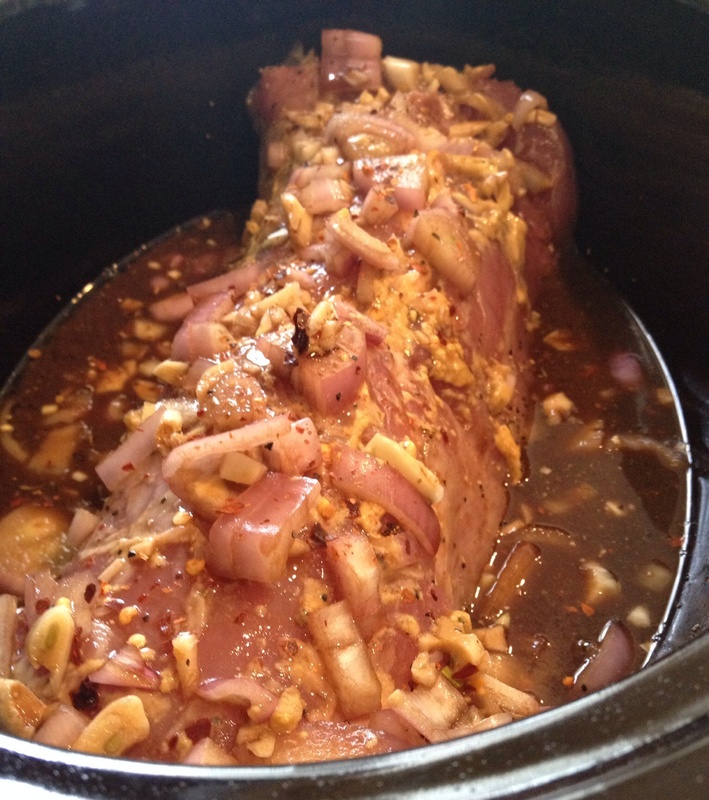 Adjust Seasonings and add Herbs, Salt, Pepper, etc as needed. Serve Immediately. Garnish. DEVOUR. 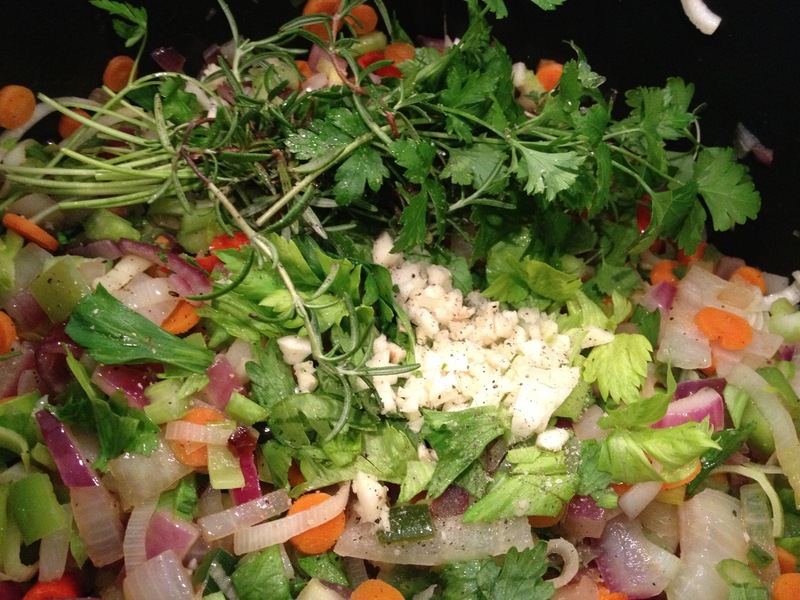 If you are LUCKY enough to have any soup leftover, I have a suggestion for a quick healthy presto-chango. Simply reheat your soup on the stove. 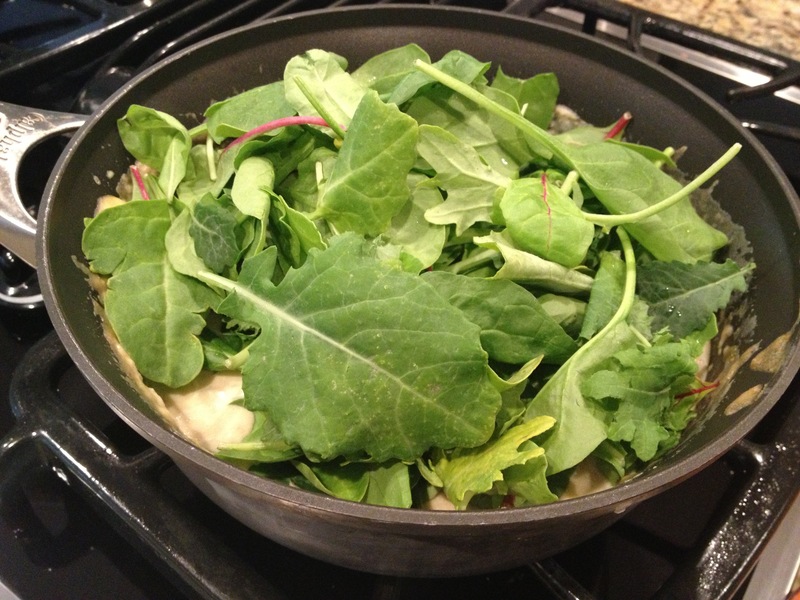 Once the soup is warm, add in a handful of baby greens. I used a mix of kale, spinach & chard. You can use one or a mixture. Stir to combine and let the greens wilt a bit in the warm soup. 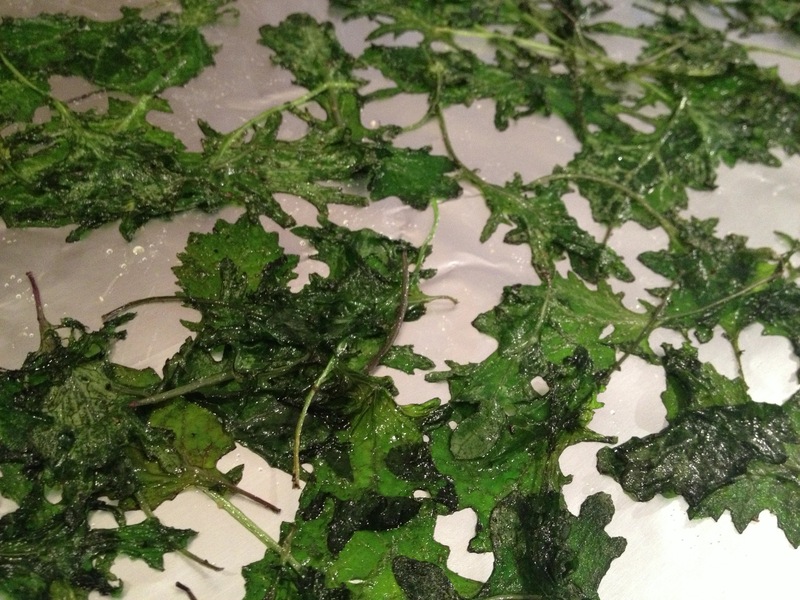 I also did the baby kale in the oven, as shown previously, and used a TON of that for topping. Now THATS a spoonful of rich & creamy soup! It doesn’t even taste like the same soup!!! I hope you make this and enjoy it as much as we did! Rachel is a wonderful friend and amazing in the kitchen! I learn so much from food to organic gardening from her!!! I just wish she lived closer. 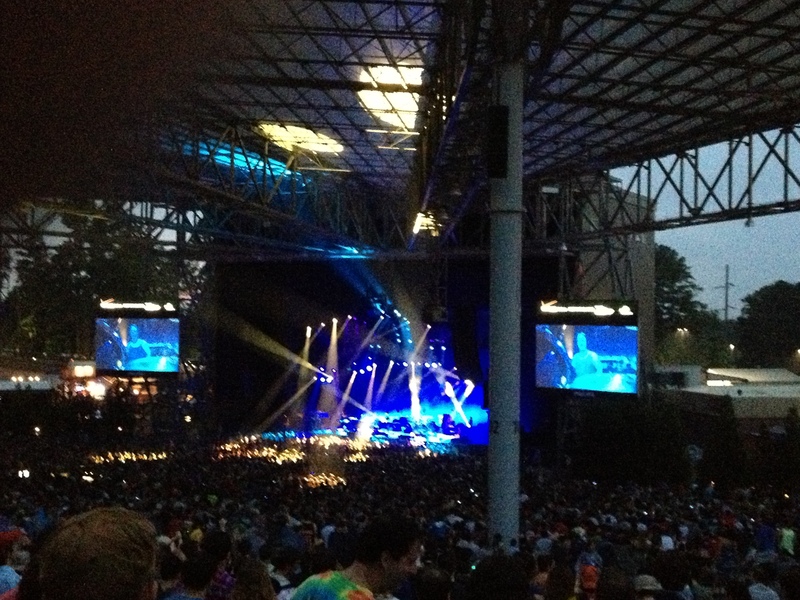 We met in Alpharetta, GA for few nights to go to a couple of Phish shows. She knew I had just moved and didn’t really have a garden yet, so she brought along all sorts of goodies from her own! Just because we were staying out of town in a hotel, did NOT mean that we had to sacrifice our love of cooking and eat out the whole time. Actually, we cooked in the entire time for ALL OF OUR MEALS!!! And we ate so, so, so, soooooo good. So, take some goodies from home and liven’ up your road trips a little! 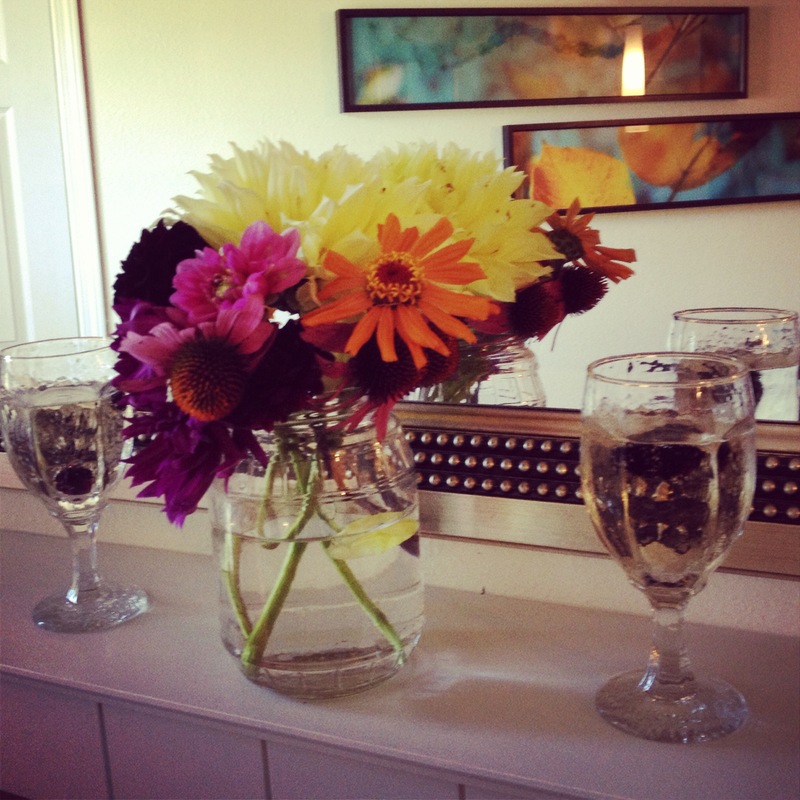 Rach even surprised me with a Fresh Picked Bouquet! We like to travel in style…. Ok, I think I’ve forgotten the whole reason for this post now. THE RECIPE!!! Whoops, getting back on track…. Of course, this is just a basic recipe. 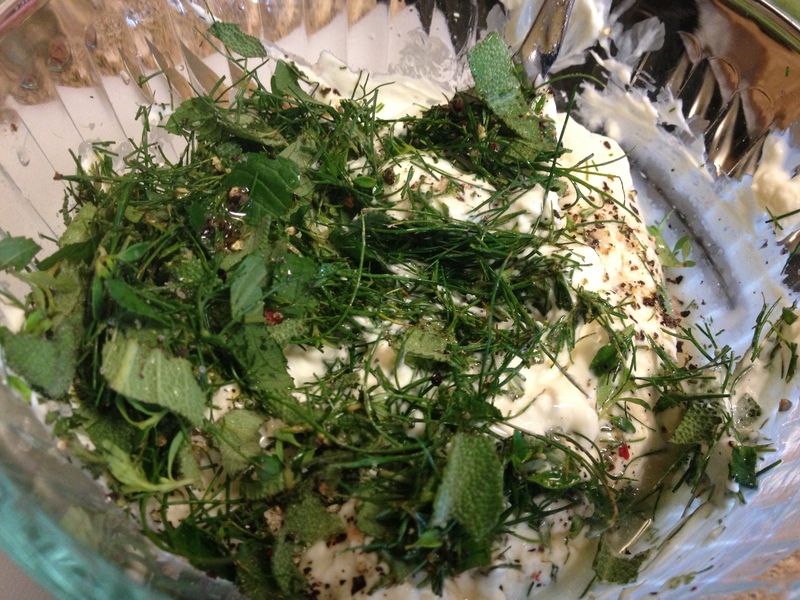 Herbed Cream Cheese can be changed up so many ways…leave something out, add something in, or just use 1 Simple Herb…Like Chives…and KISS (keep it simple stupid). Look around and see what ingredients you have fresh and need to use, and go from there. 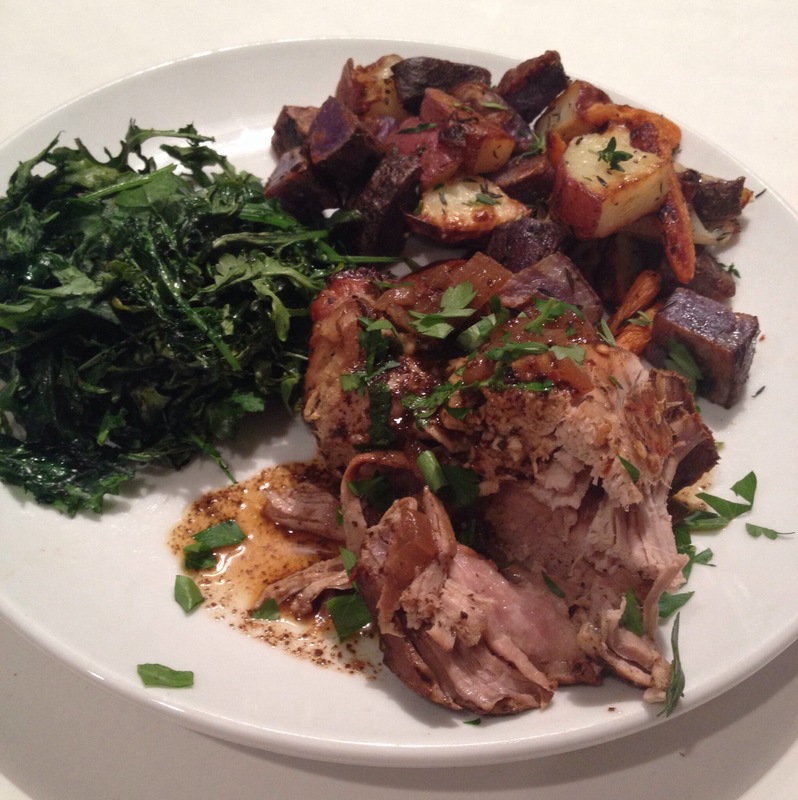 We compiled a variety of herbs in this particular recipe, because Rach had brought so much to choose from. Maybe at the end I’ll try and give you a few suggestions…but basically: add or omit: Garlic, Lemon, Zest, Pepper, Jalapeños, Onions, Shallots etc to taste. 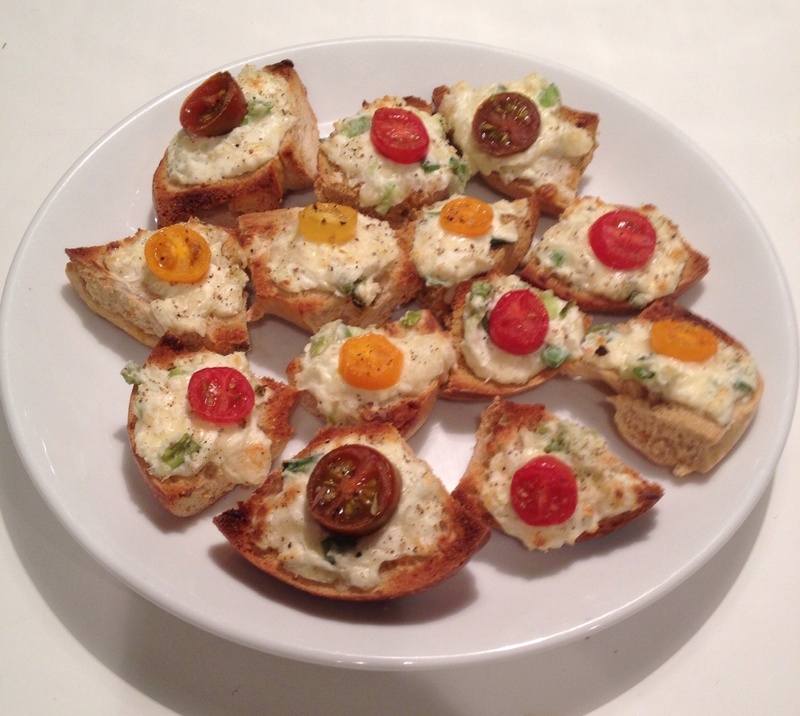 When you are cooking, you want to make something YOU LIKE! If you hate Mint, and we do have it in this one, JUST LEAVE IT OUT. It’s as simple as that to make something your own. So here goes…. We went for a rustic, chunky cream cheese. We wanted to be able to taste the bits of garlic and onion and spicy jalapeño, because we were going to use it right away instead of refrigerate it. The longer it sits, the more time the flavors have to marry! 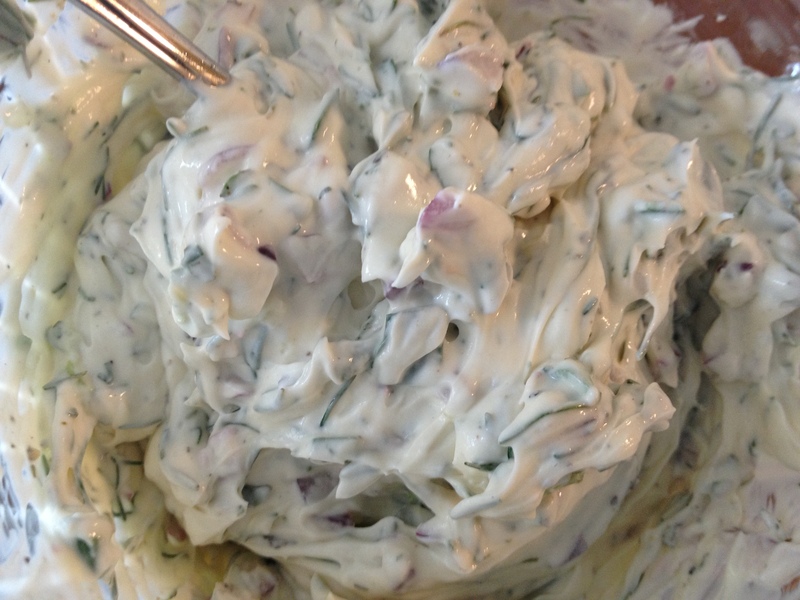 If you want a smoother consistency, you can always put into a food processor and chop the herbs and garlic finer and then pulse the cream cheese to combine. You could also use a microplane grater for the garlic and onion and get smaller bits and lots of the juices for flavor. That would work as well. 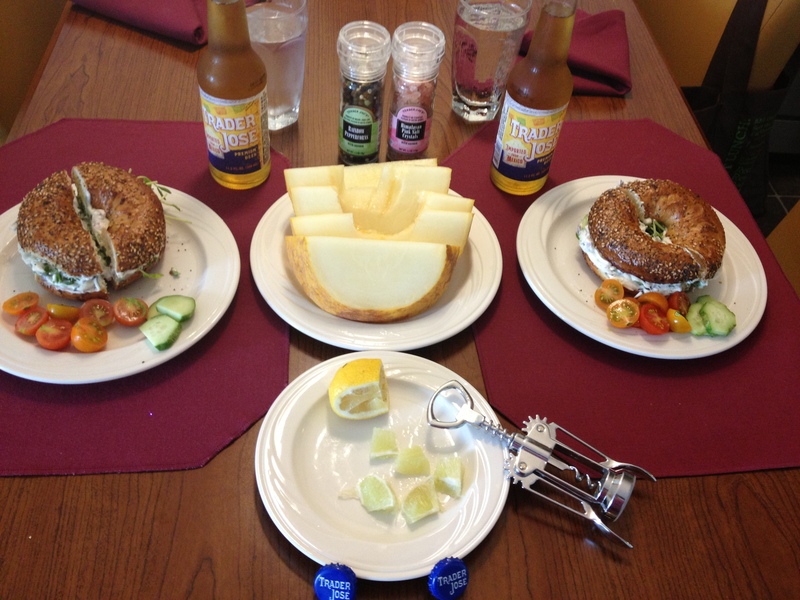 Like I said, we were in a hotel and did not have the foresight to bring along a good knife. TIP: If going on a road trip, BRING A GOOD KNIFE!!! Lesson Learned. Lucky for us, all fingers remained intact! It’s so fun to go on a road trip! You never know what’s gonna happen. But, you can be sure that you make good choices while traveling by making your own food. And, it was so much fun for us to be able to cook together! Not much we’d rather be doing!!! Although we did have some craziness, see above pics and below pics of the Ring Around the Sun, we sure had some good damn food for a hotel room! 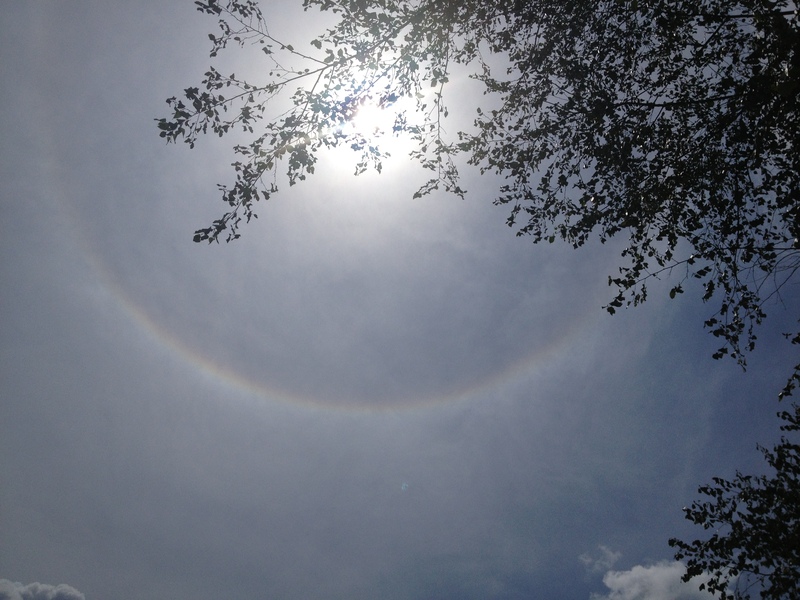 For awhile I really thought I was the only one seeing this….at least I got the pics for PROOF!!! 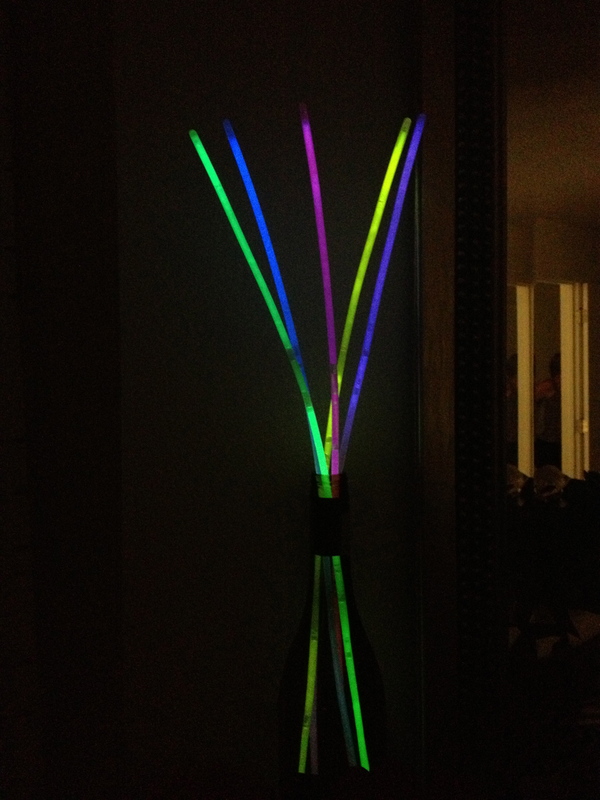 Totally worth it to decorate your hotel room if your staying a few days! Ok, let me simplify your life a little bit with this super quick, few ingredient, BIG FLAVOR dish. 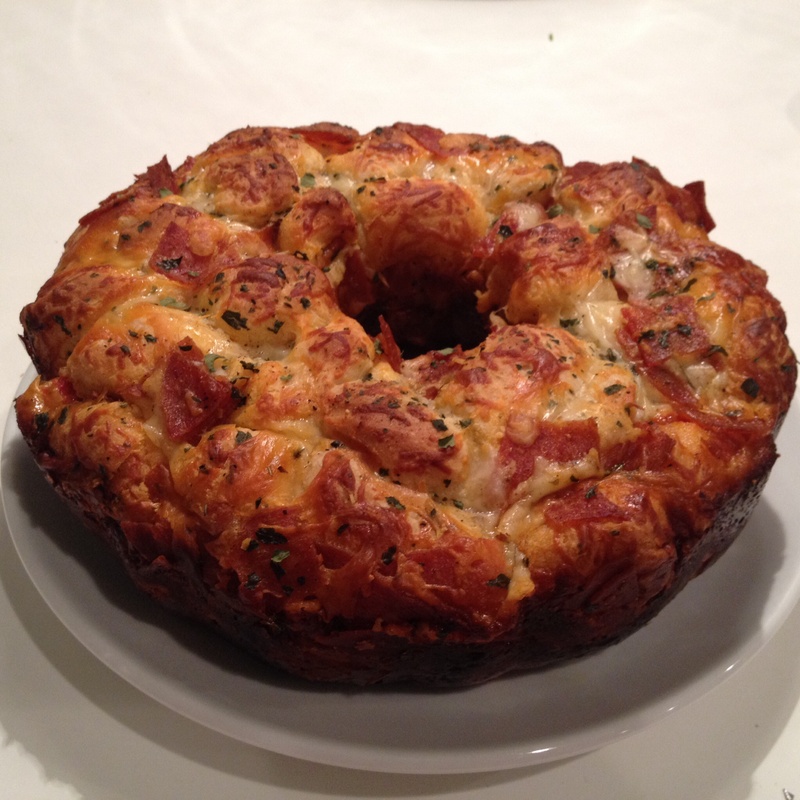 Seriously, when I made this the other night, the Hubs said “This is SO GOOD. You need to write this one down.” And I was all like….”Ha! It was so easy, I don’t even NEED to write it down. Anyone can remember this!” That’s why all you working and back to school parents are gonna thank me for this one! So darn easy. You don’t even really need to measure anything. 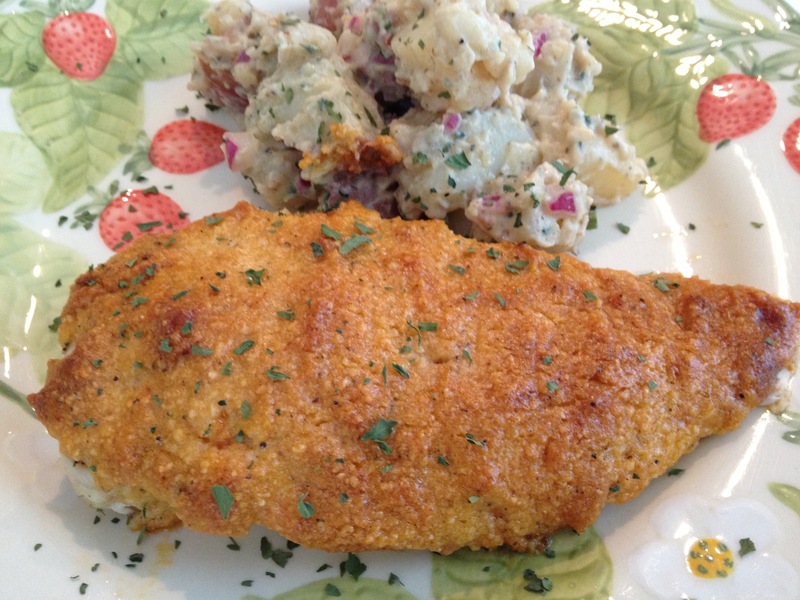 I used 2 chicken breasts, you can use as many as you need if you are feeding a crowd, or just one if you are cooking for yourself! 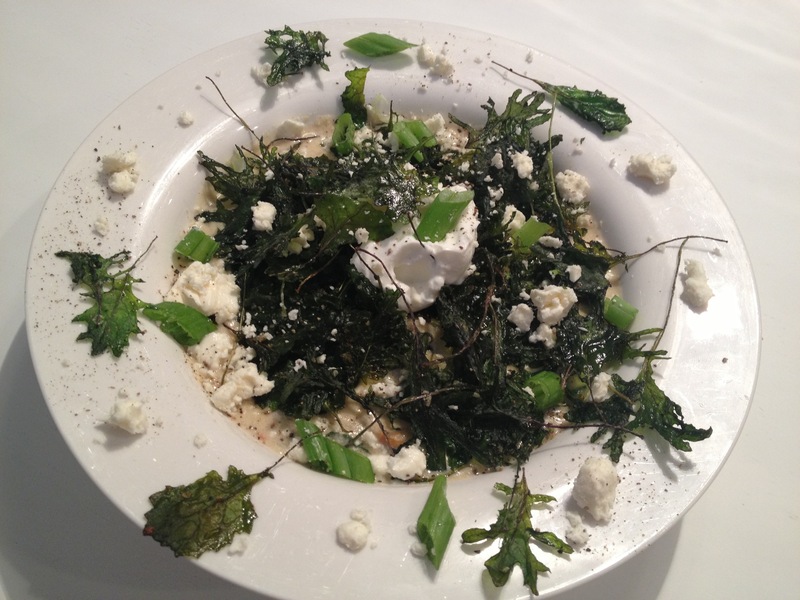 This would be a great dish to serve at a dinner party!!! I will give you the general amount for 2 portions. Adjust Ingredients Accordingly. 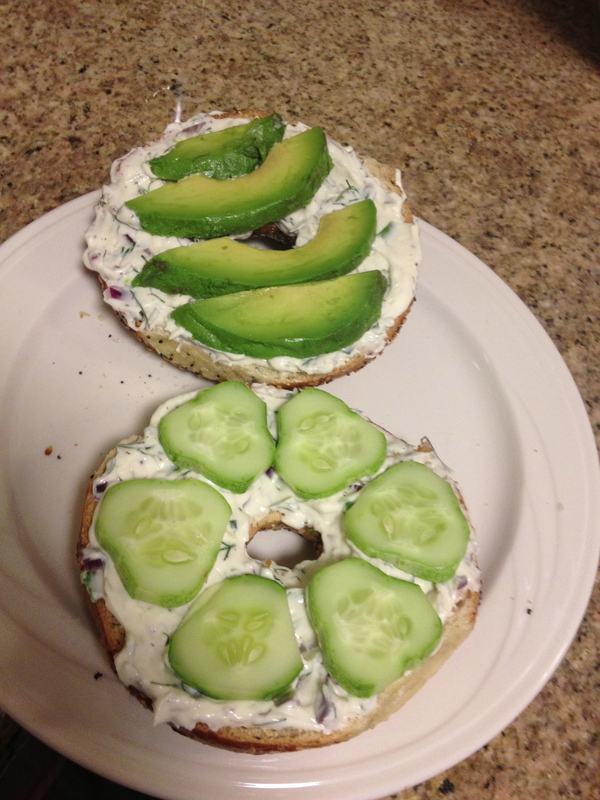 Top with Sriracha to taste! 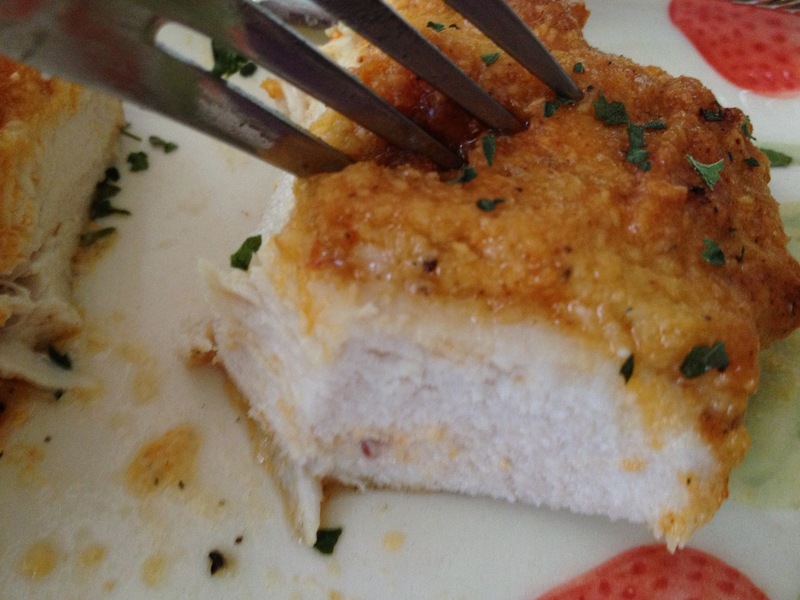 Coat Chicken with Parm, Mayo, Sriracha Mixture. Should be pretty thick! Bake 325 for 45 mins. Or until Juices run clear and Crust is Golden Brown. If adding the Sriracha onto the Chicken packs too much heat, omit this step and only use the Sriracha in the Crust Mixture! 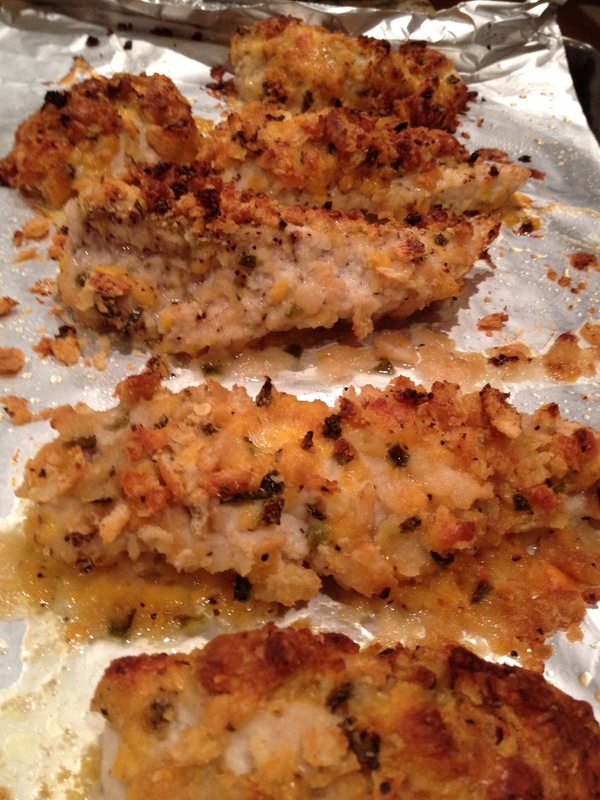 Crust Mixture should be thick enough to stick to the chicken! 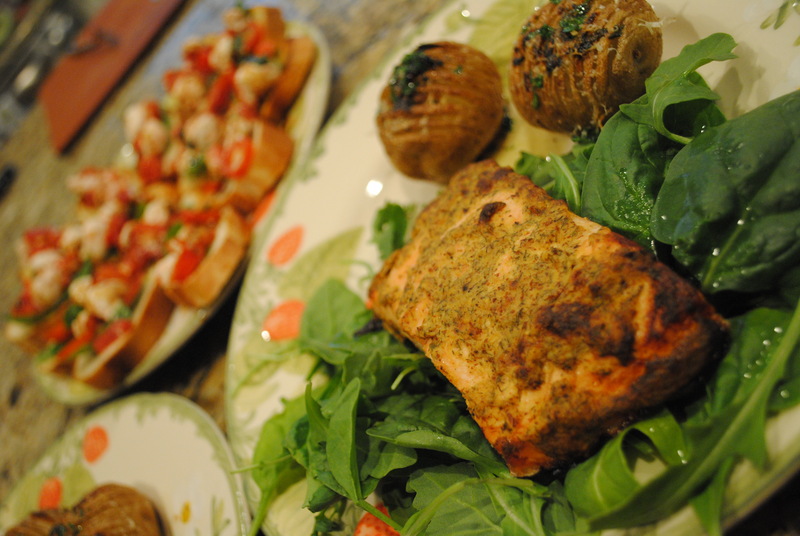 A simple and delicious meal for a busy weeknight. I bet you can even prepare the chicken the night before or that mornign and refrigerate until ready to pop in the oven that night!!!! I’m also thinking this would be good for fish as well! I’ll do some experimenting and let you know! 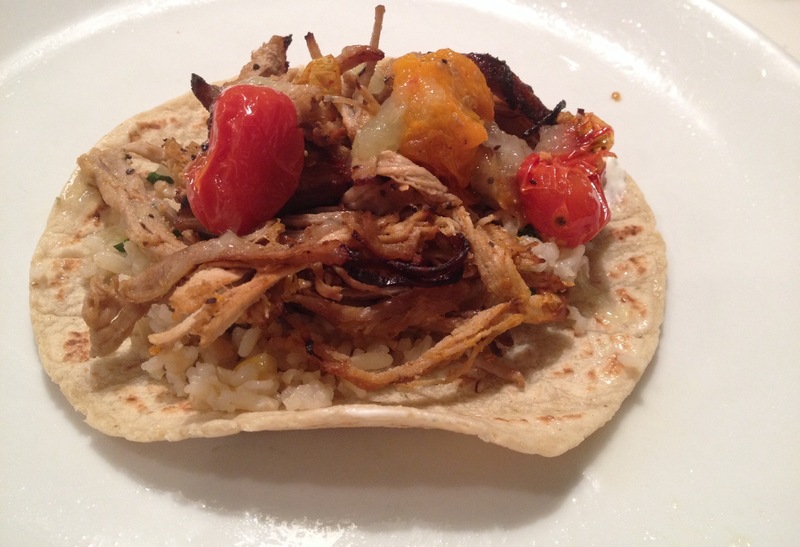 Tonight’s dinner was simple to make, not too many ingredients, and pretty healthy (well, except for that small amount…. OK, hearty amount, of butter!) But the rest…healthy, healthy, healthy!!! Let’s start with the Salmon. Easiest item on the menu. OK. Like I said, pretty simple, eh??? Now, onto those potatoes. These were simply AMAZING!!! 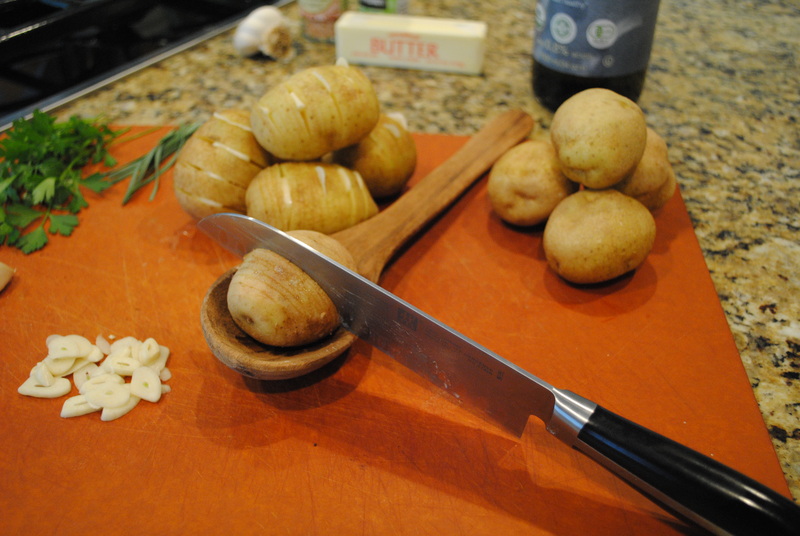 Now, slice your garlic superthin and insert 4-6 cloves in each potato. Repeat until you have enough potatoes to fill up your dish. The outside should get crisp and delicious! 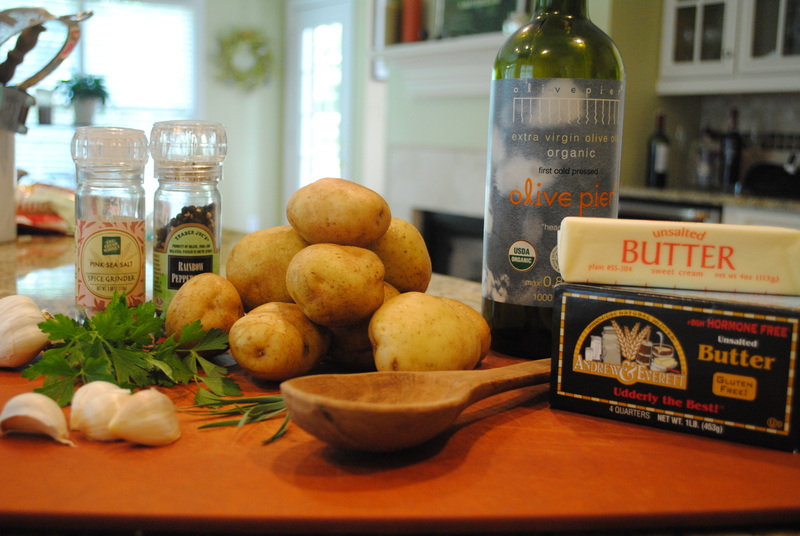 TIP: Before Serving, Spoon Reserved Butter Mixture with Herbs Mixed In Overtop Potatoes. Creates a bright green finish! Now, for one last tip. And listen up, this is a good one. 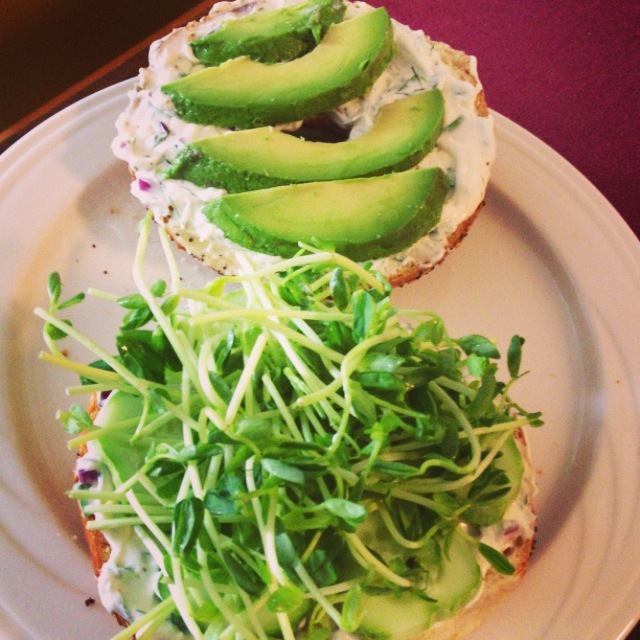 It’s going to change the way you make crostini for the rest of your life. 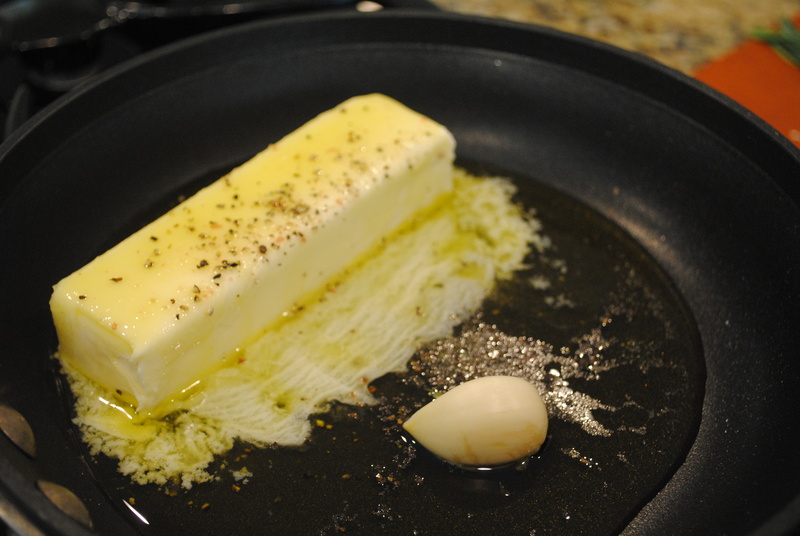 What to do with that itty bitty clove of garlic that has been bathing in the butter/oil/herb mixture? 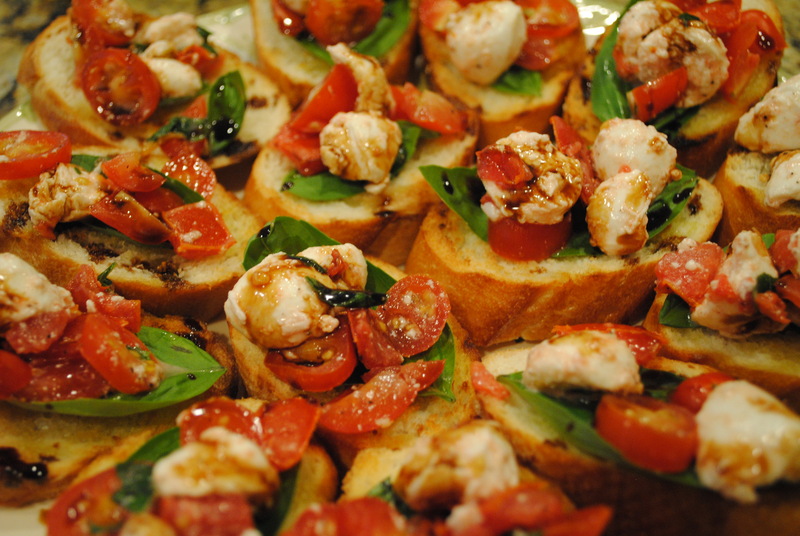 USE IT to make a Bangin’ Bruschetta!!! 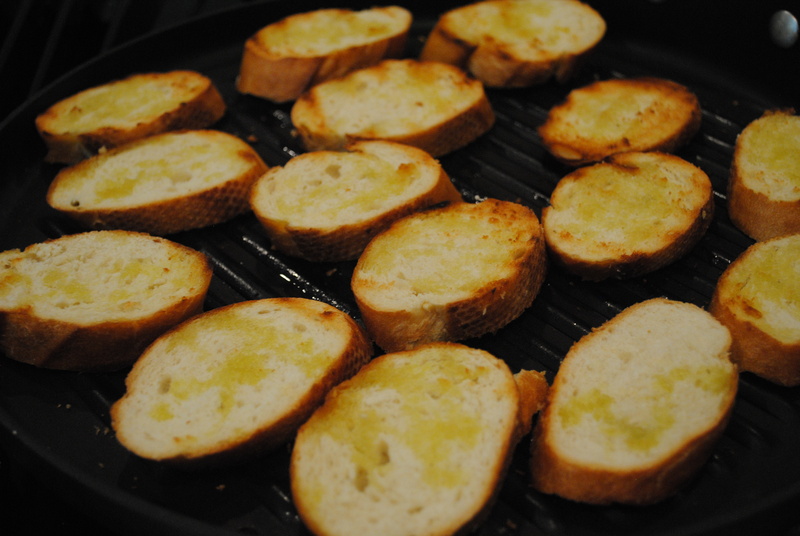 After both sides are done, RUB THE GARLIC CLOVE all over the hot side of the crostini. The side that just came off the pan. 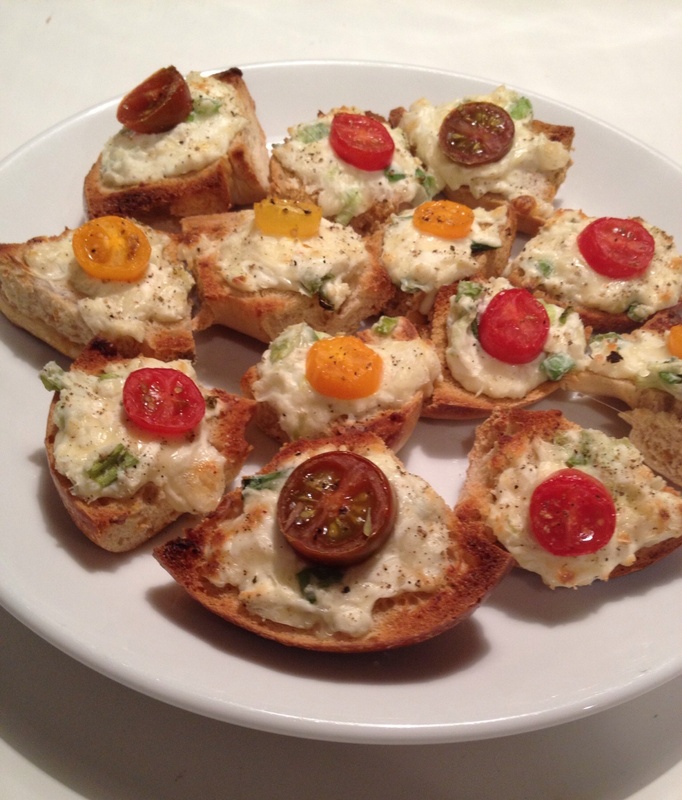 This releases a subtle garlic flavor on the crostini without having to bite into a huge chunk of garlic. You will thank me later for this one!!!! Now. 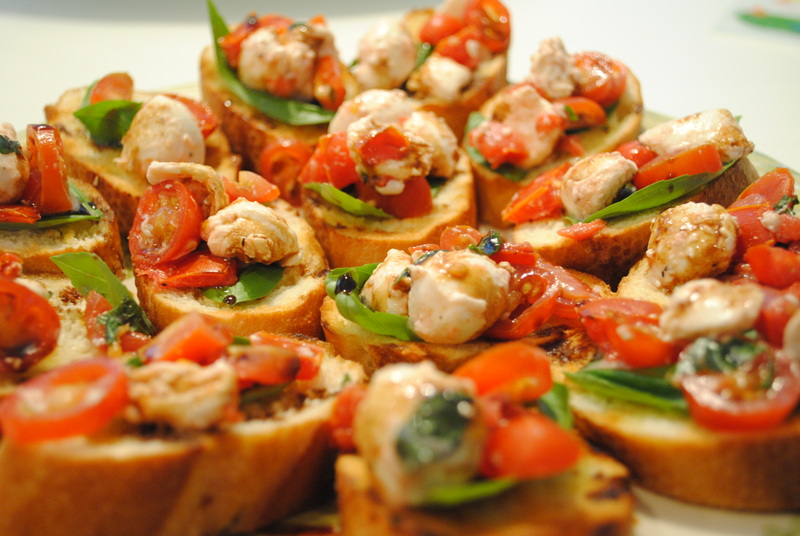 let’s kick it up one last notch and make it into a healthy Bruschetta.